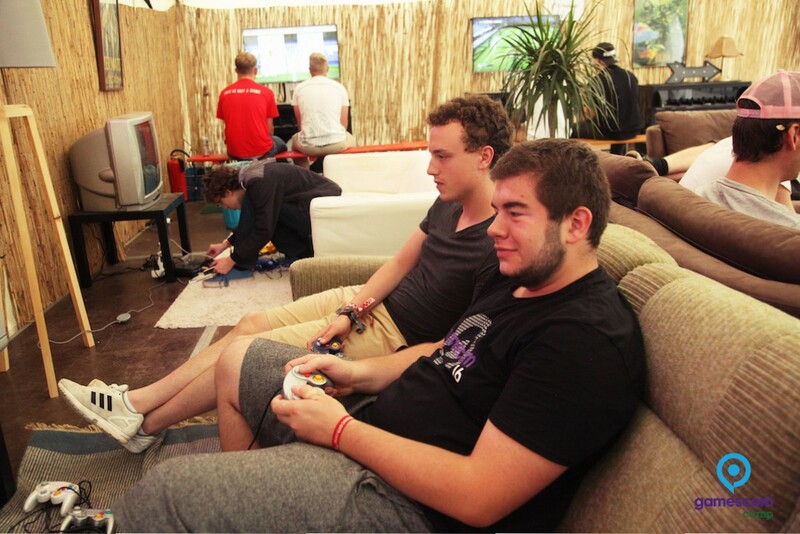 The gamescomCamp isn’t only a convenient and inexpensive place to sleep for visitors of the gamescom. 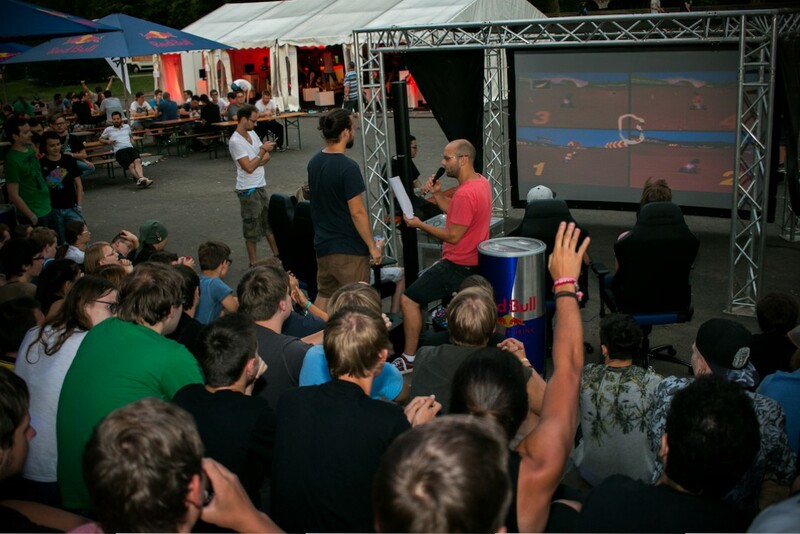 It’s also Europe’s largest camping for gaming fans, a meeting point for like-minded people to meet in real life. 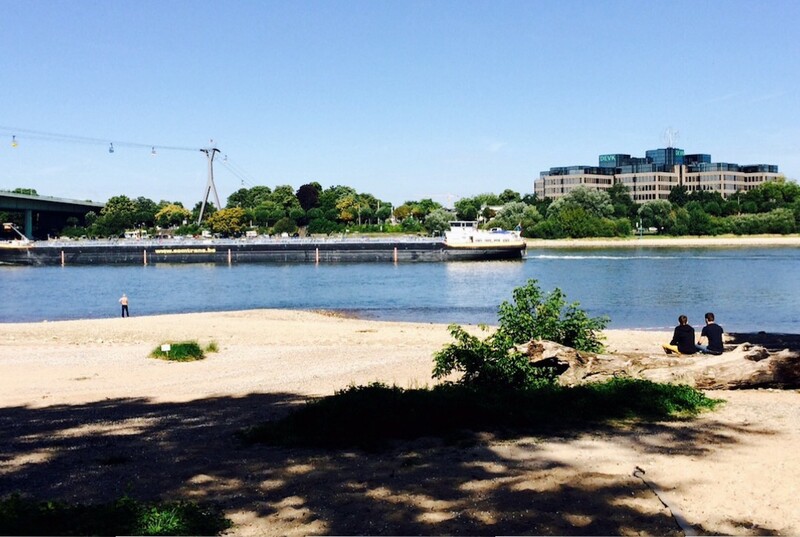 In walking distance from the fairground Kölnmesse, the Jugendpark is located directly at the Rhine River on a promontory and with it’s lush green lawn and old trees it’s the ideal natural reservoir to cool down from the sometimes hectic day-to-day at the fair. 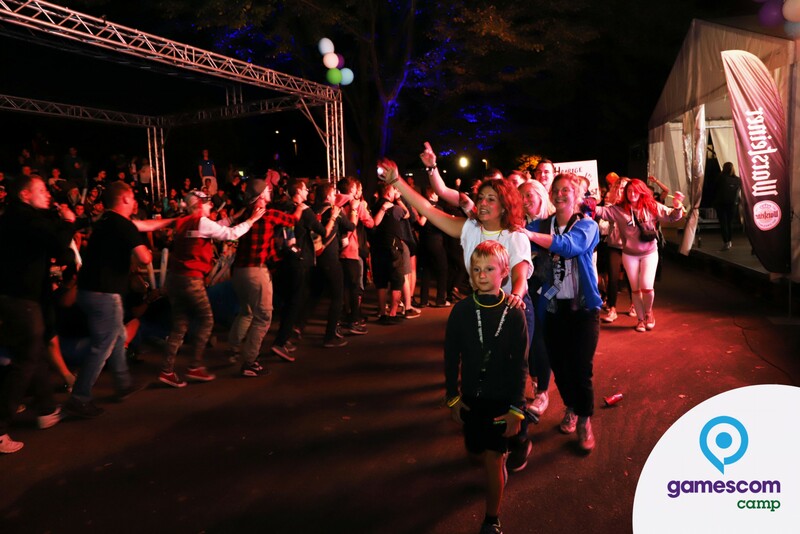 Whether you prefer to hang out at the camp fire, the free wifi tent, or at billard in the cafe: there’s something to do for everyone – Celebrate the Games! 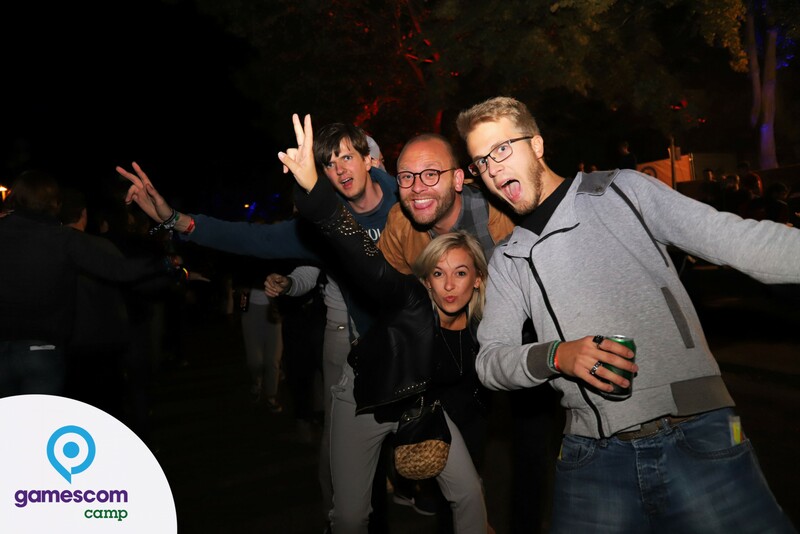 Watch the Aftermovie 2018 now! 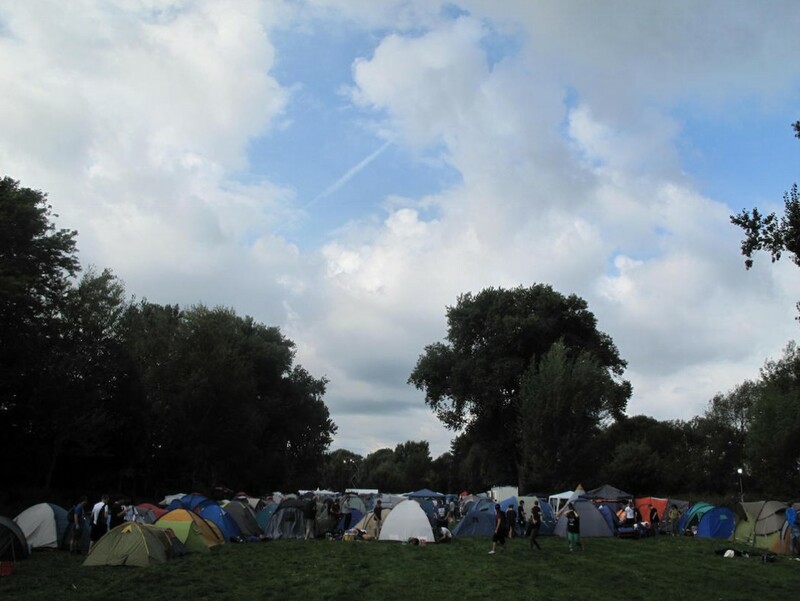 Campsite: The campsite opens on Monday 08/19/2019 at 2:00 pm trough Sunday 08/25/2019 16:00 pm. It remains open 24 hours a day. 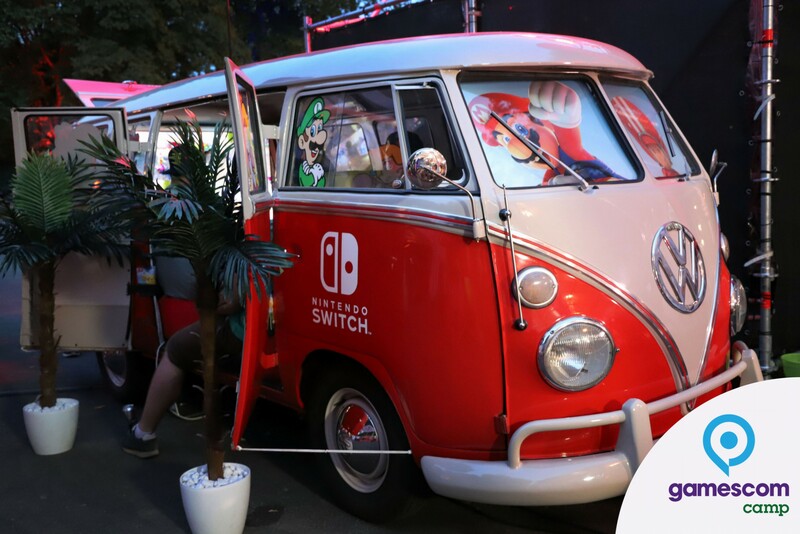 gamescom: The fair at the koelnmesse is open for visitors on Wednesday 08/21/19 until Saturday 08/24/19. 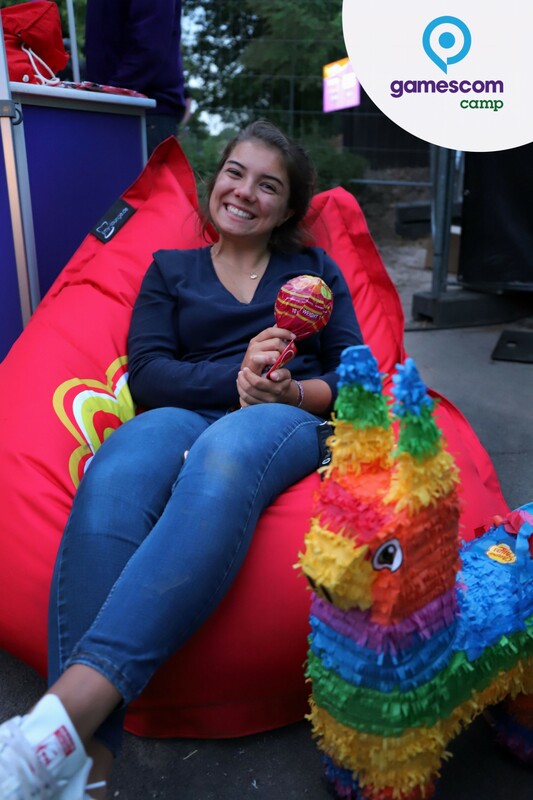 On Tuesday 08/20/19 the fair is only open for media- and business visitors. 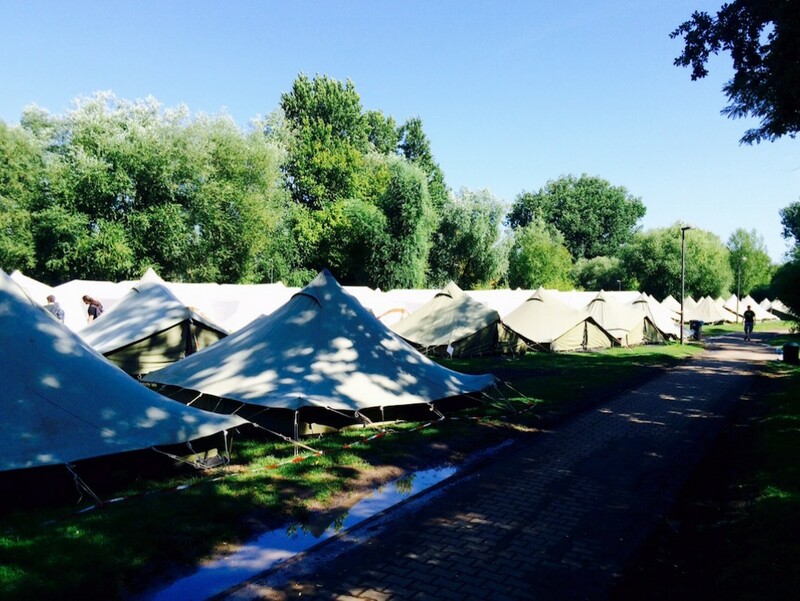 We are offering several options for your overnight stay in the camp. 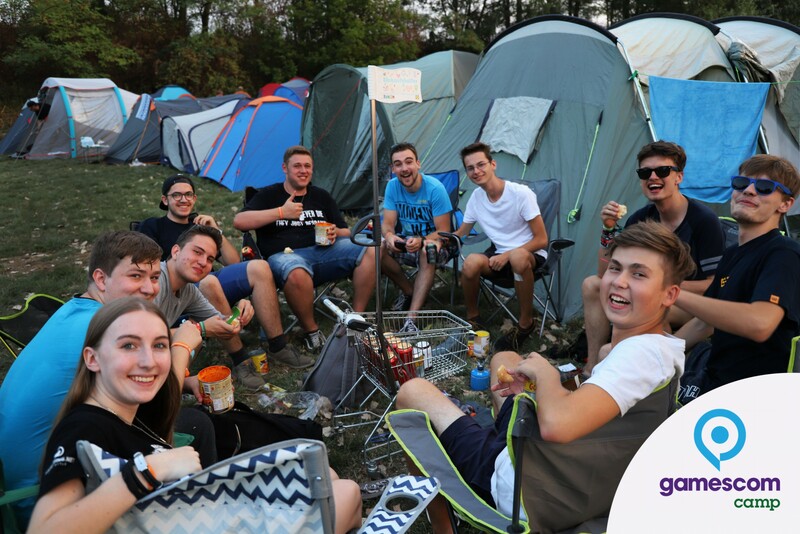 No matter if you'd like to stay for one night or more, by yourself or in a group with friends, with or without your own tent. All your options are listed unter "Tickets". 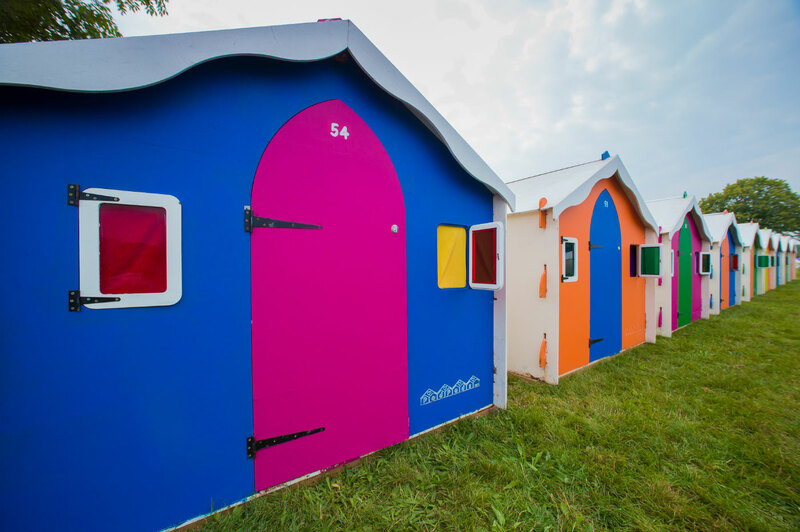 To make your stay at the camp as pleasant as possible, we're also offering solid and mobile flush toilets, spacious hot showers and more infrastructure. 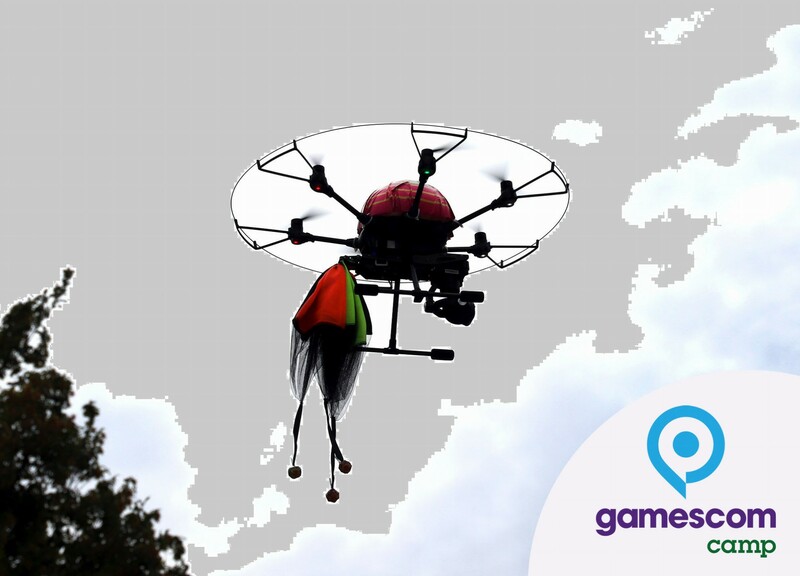 You don’t have your own camping equipment or simply don’t feel like dragging it along? No problem! 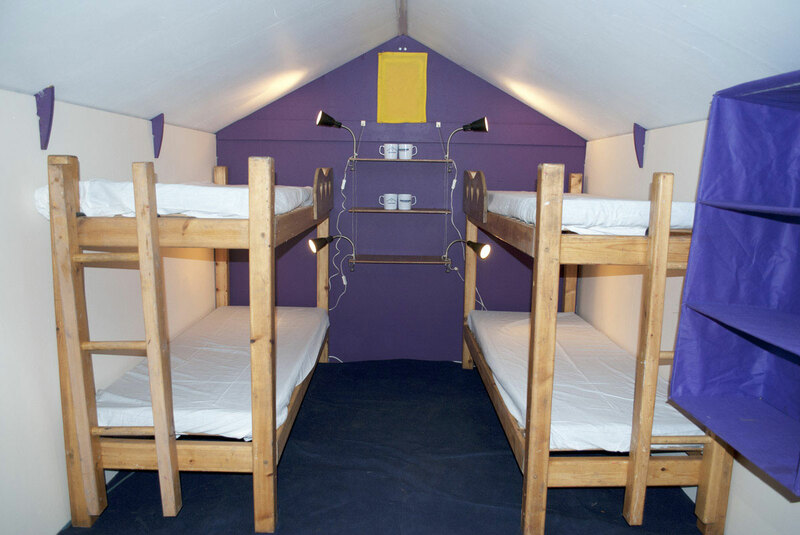 We offer cots in multiple-person tents (8 persons). 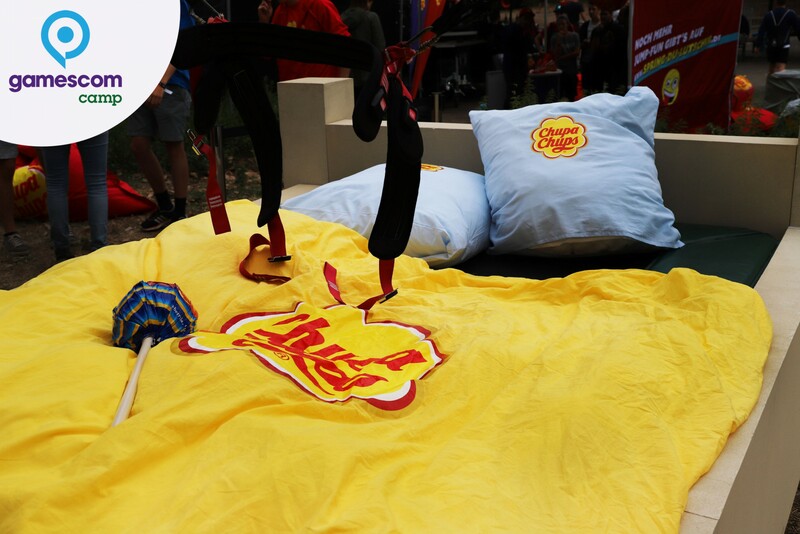 All you have to bring along is a sleeping bag + pillow. 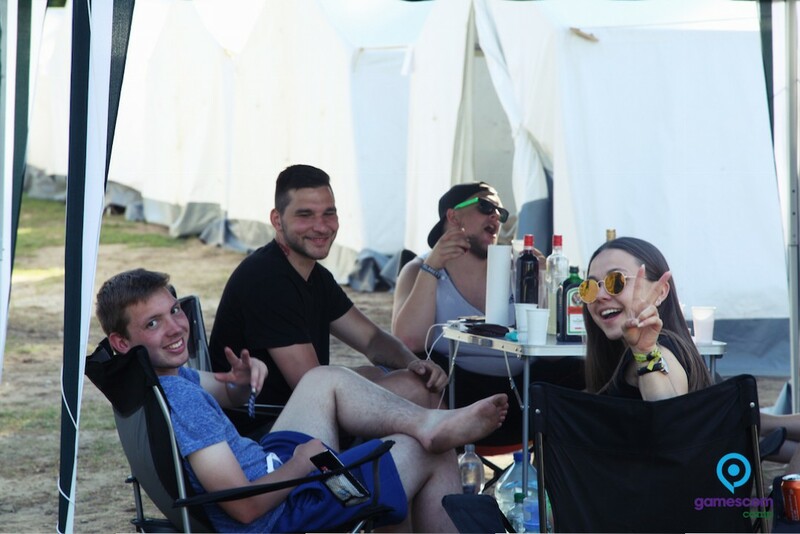 Since the amount of multiple-person tents is limited, we recommend making a reservation (you will be asked about this option during the booking procedure). 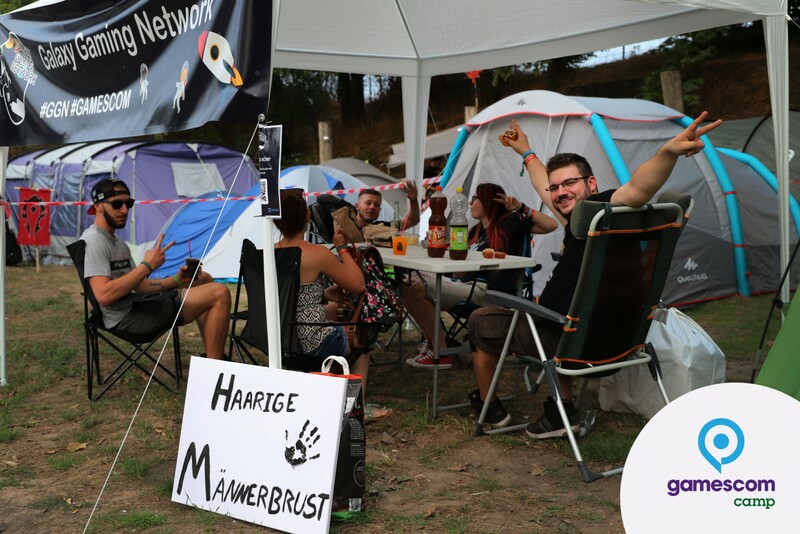 For those who rather spend the evenings in front of the computer, we offer free WiFi access in and around the “Jugendhaus” and the Wi-Fi Tent. Don’t have a tent yet or need anything else for camping? No problem! 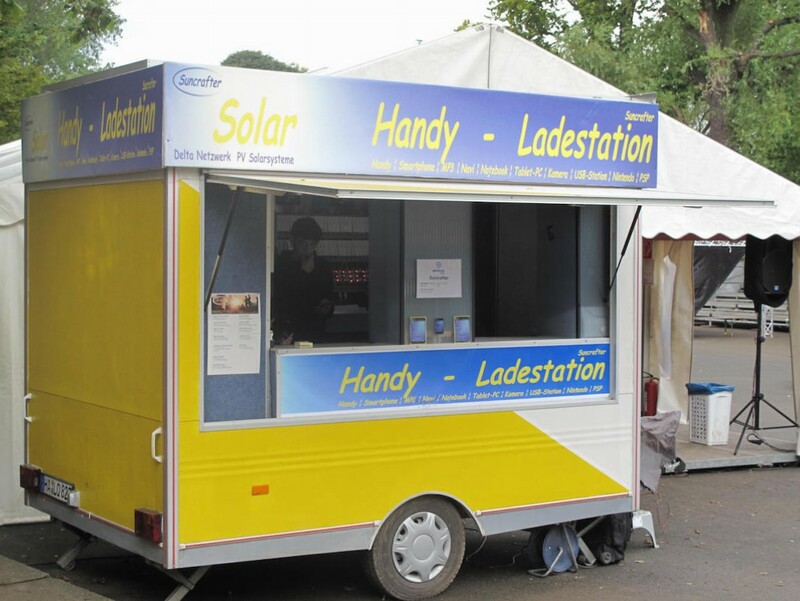 Our Partner McTREK has a wide range of products and can provide you with anything you need for camping at fair prices. 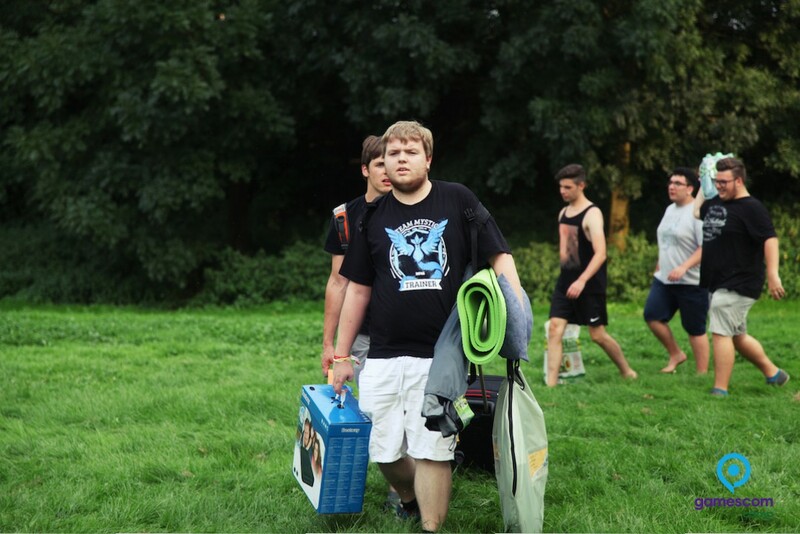 Your benefit: McTREK delivers everything without any fees directly to the camp! 8. 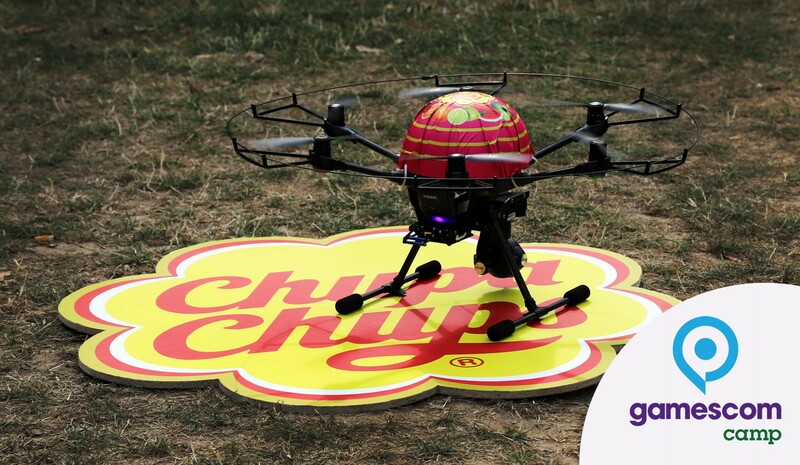 Accept the general terms and conditions (AGB) and done! Information is subject to availability, changes in price, technical modification and error. All offers are available while stocks last. 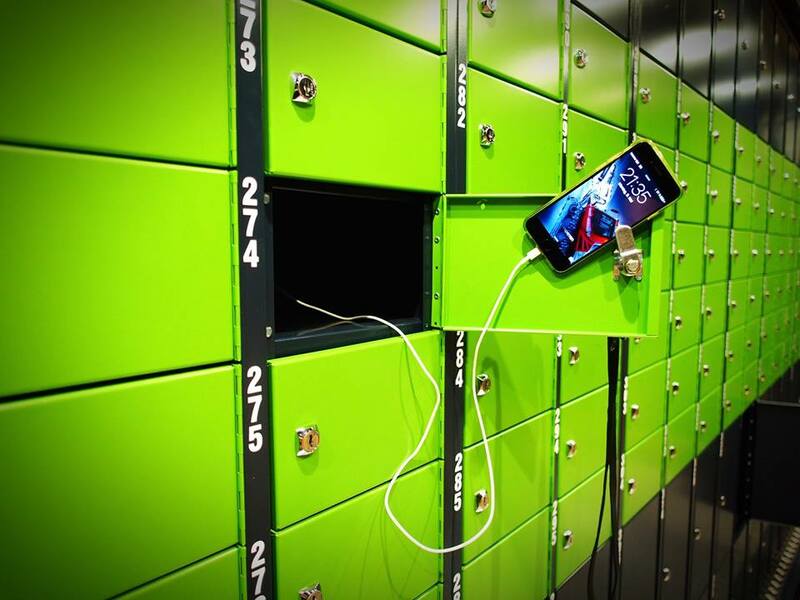 We’re offering lockers by Big Box Berlin in 2 sizes (M & L) which are including electricity to charge your Phone or other devices. 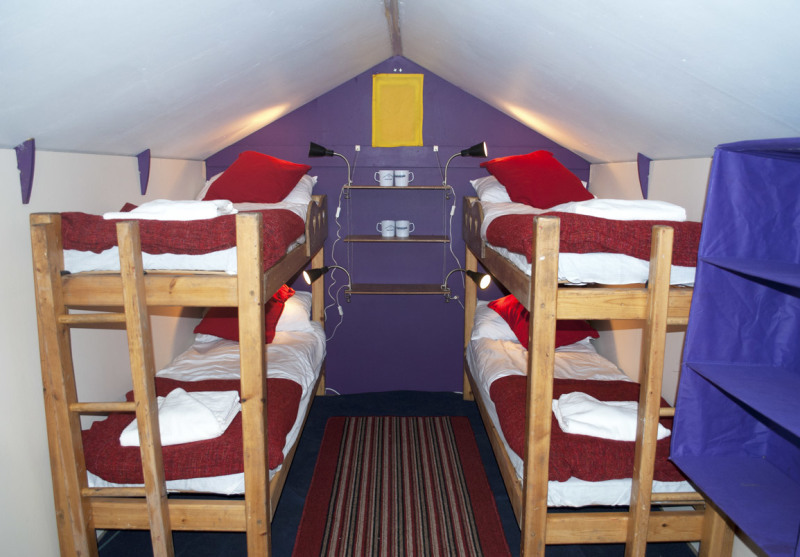 Info for the booking: You can book the Lockers as an additional item in the booking process for the time of your stay. For each participant the locker can be chosen. 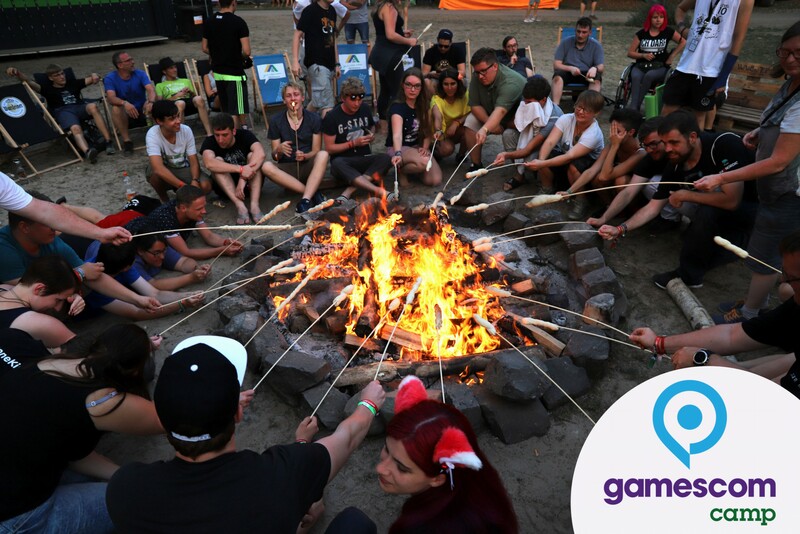 At gamescomCamp we celebrate every day during the week in our camp. 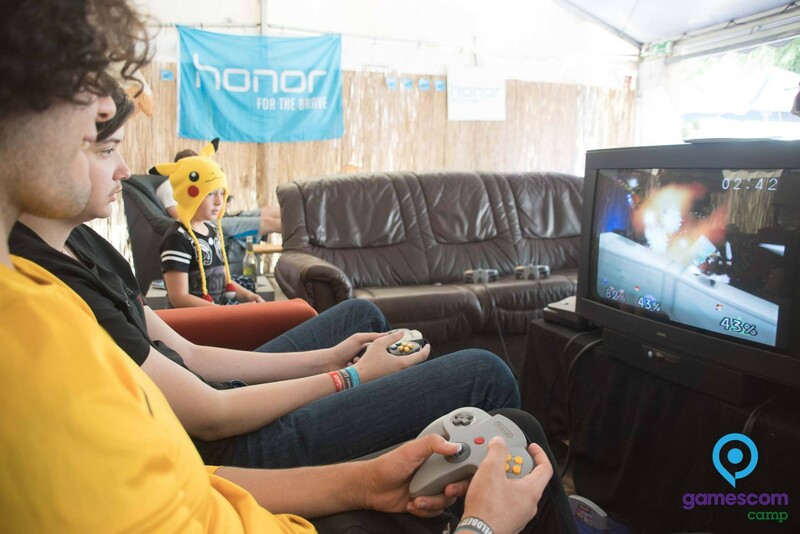 There will be several chill-out options in the outdoor area, camp fire and community gaming. Get to know your co-campers and take one, two or five drinks with them. 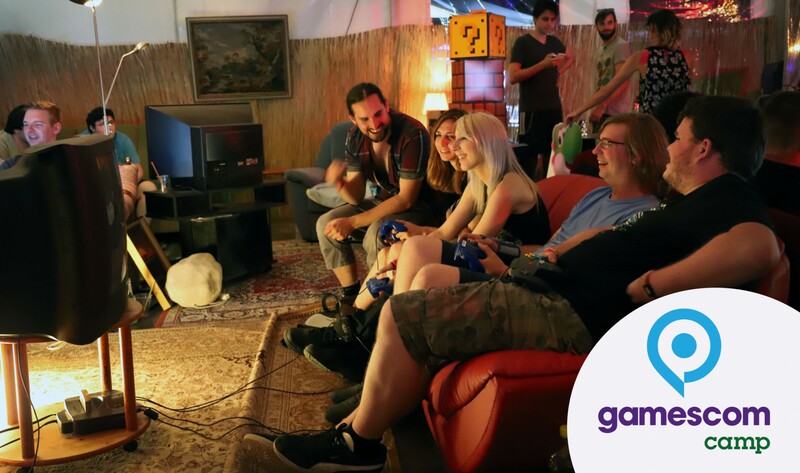 Come and experience some festival feeling at gamescomCamp! 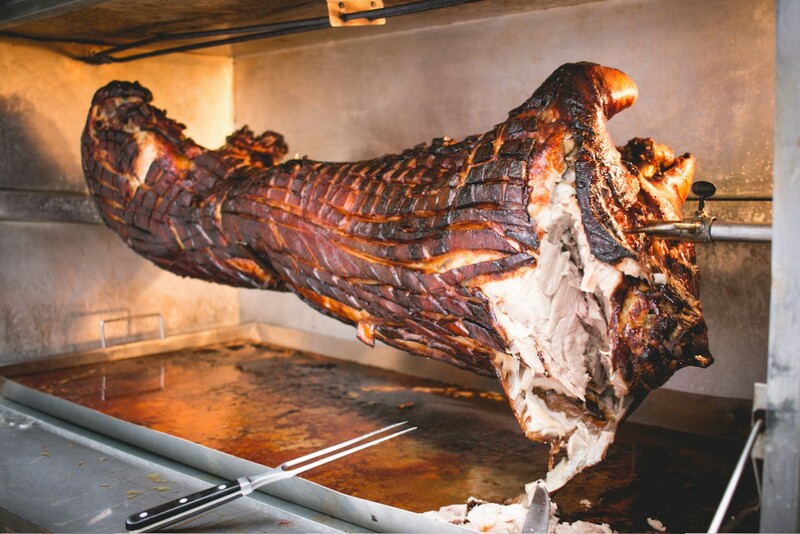 Since a day at the fair can be quite exhausting, relaxation time should not be held on the back burner. 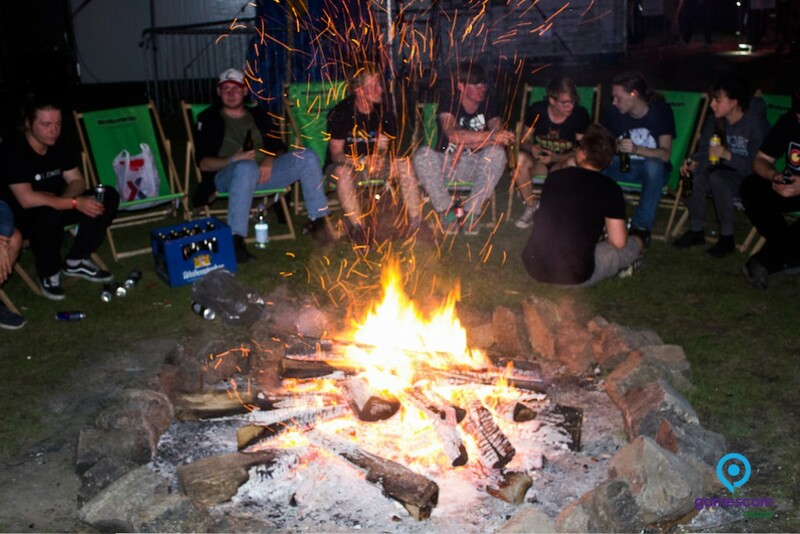 In the large open-air arena located on the fenced-in campsite, relaxing music and delicious street food awaits you at the bar or the camp fire, to give you the opportunity to chill out and exchange impressions with like-minded fellow visitors. 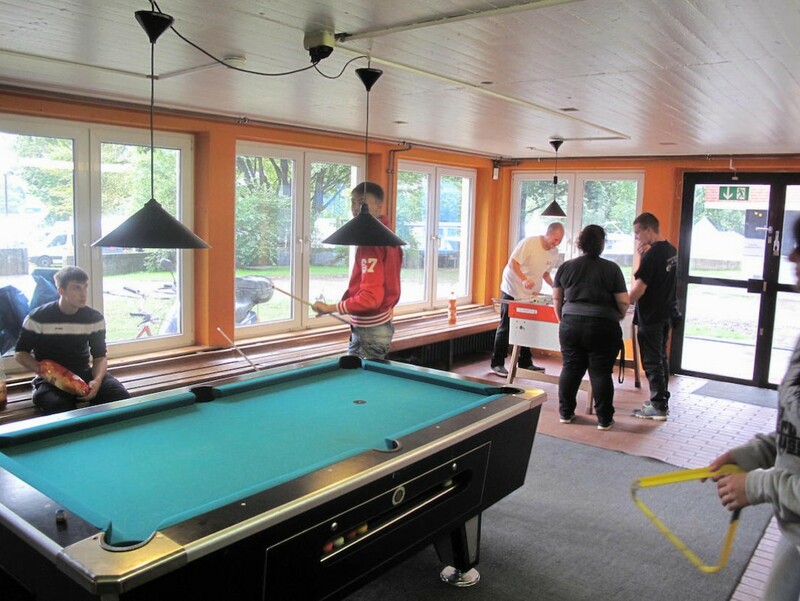 With an additional Action Area for basketball, billard and table football, the gamescomCamp lives up to its name. 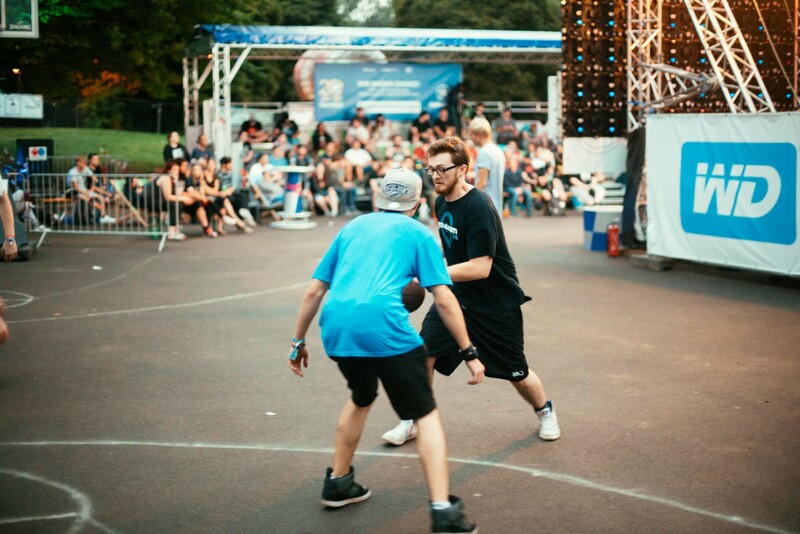 In exchange for a deposit, you can rent frisbees, basketballs and other sporting gear. 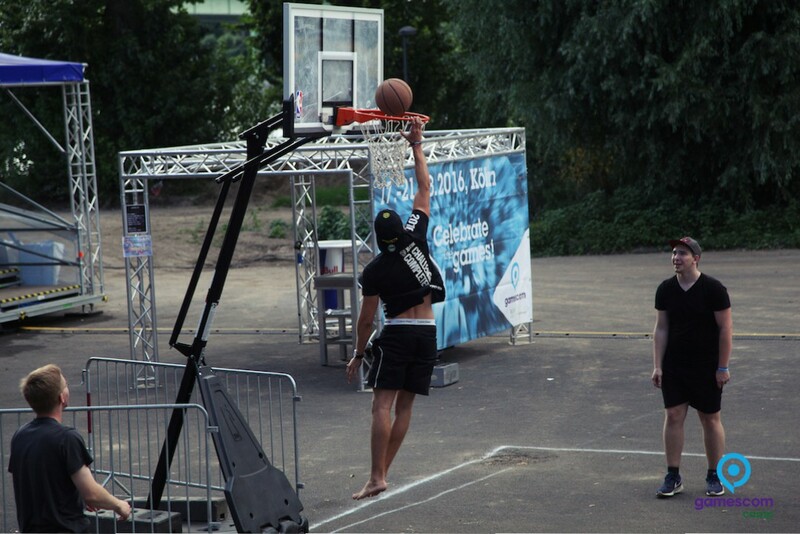 As you see, theres enough sports activities besides the visual action from the fair. 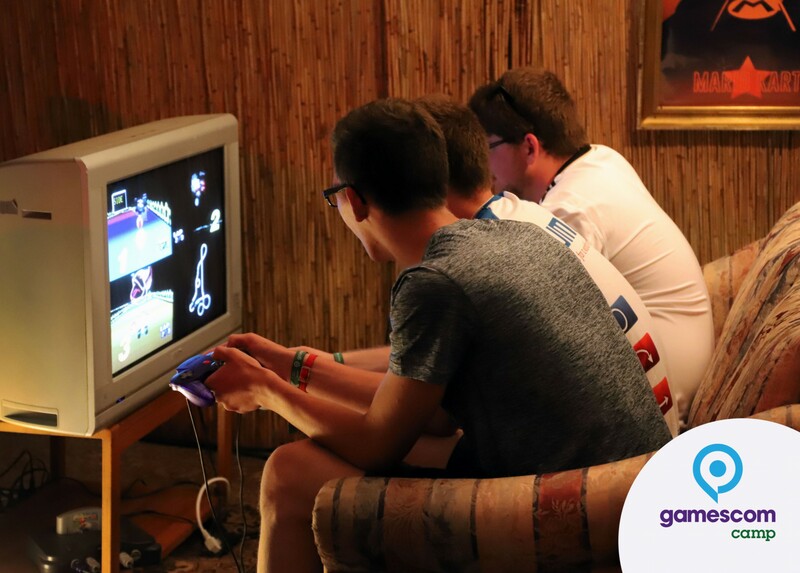 If you like to celebrating the games we offer retro gaming and analog community table games. 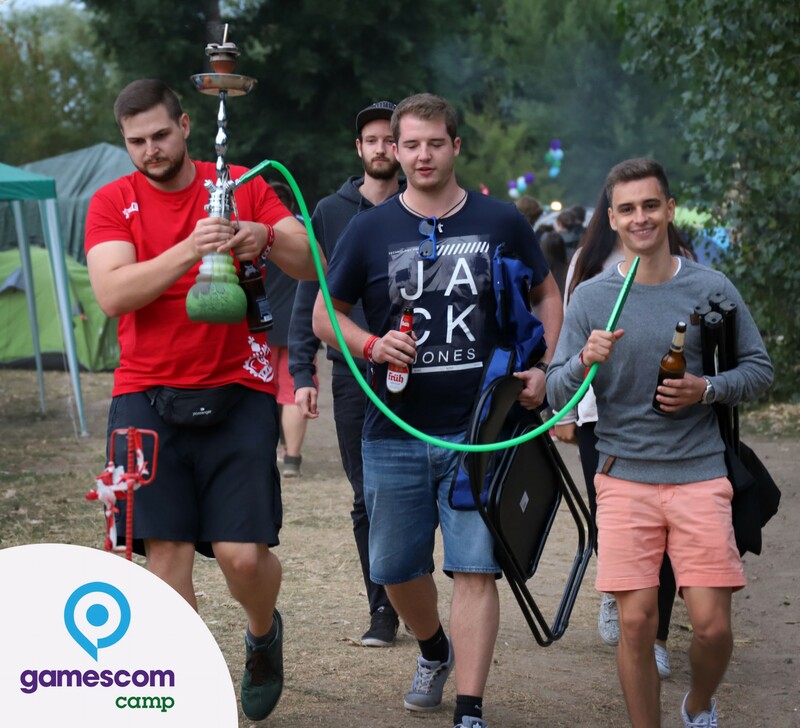 Of course you can bring your own food & drinks to the camp. Optionally we are offering a breakfast buffet between 7 am and 11 am which can be purchased in presale or be paid at the buffet in cash. You can choose between bread, bread rolls, cereals, corn flakes, jam, Nutella, sausage and cheese, tea, coffee, milk and juice. 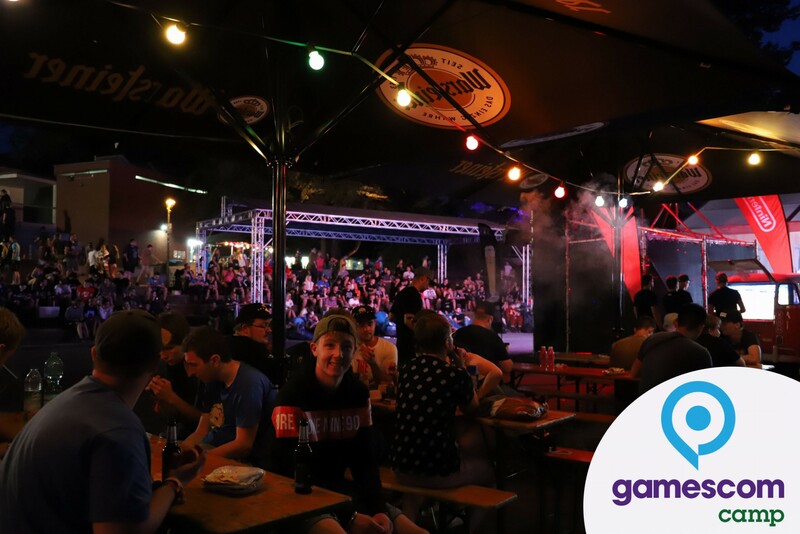 Between 6 pm and 10 pm, we offer street food and snacks in our outdoor-gastronomy located in the chill-out zone, supporting cozy conclusions of the evenings following action filled days at the gamescom. 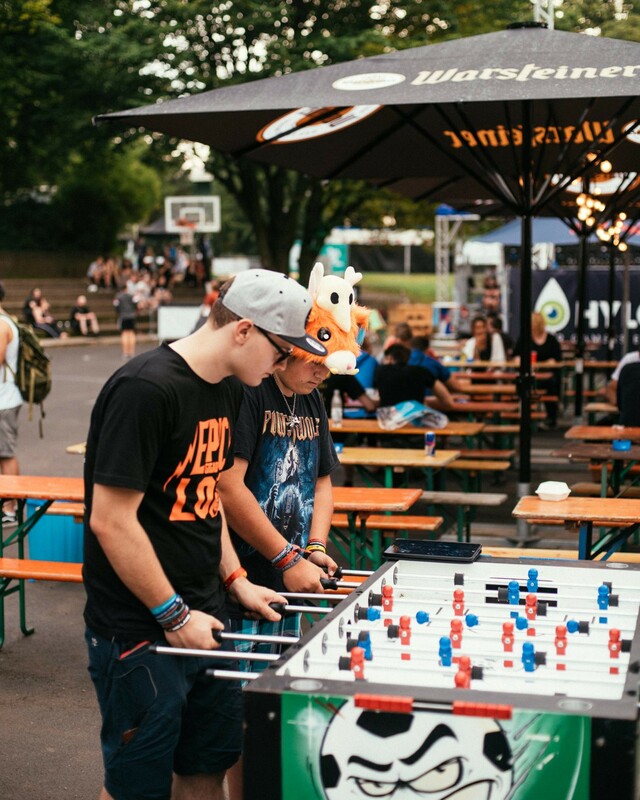 On weekends and during the week there are numerous bars, cafes and clubs in the center of Cologne, just waiting for your visit. 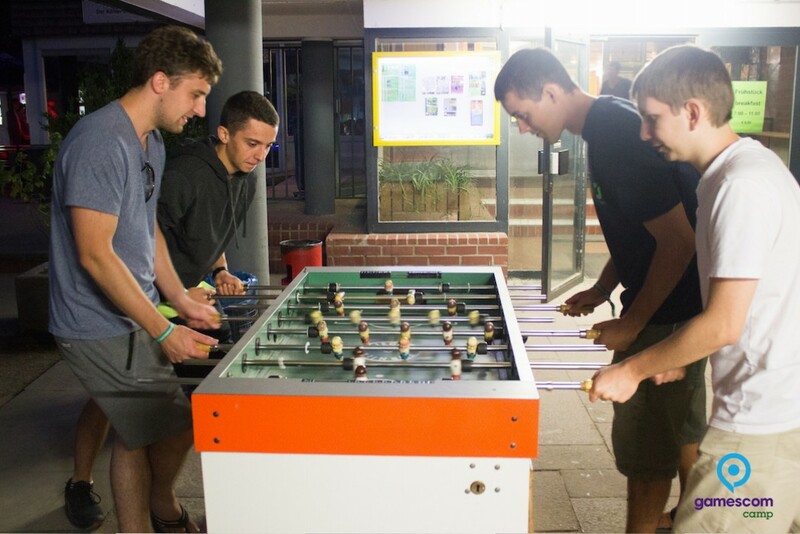 Since the Jugendpark is quite centrally located, you can plunge into a very short time in the nightlife of Cologne. Simply ask our team and we're happy to help you find what fits you best! From 4 nights on we give a discount. Includes: Sleeping Bag, Pillow, Blanket, Sleeping Mask, Ear Plugs. Lockers come in 2 sizes for 3 Euro or 5 Euro for a usage of 24h. NO SALE at the Camp! All prices quoted are including VAT. They do not include the presale system costs and the regular cultural tax of 5% in Cologne (also called “bed tax”). 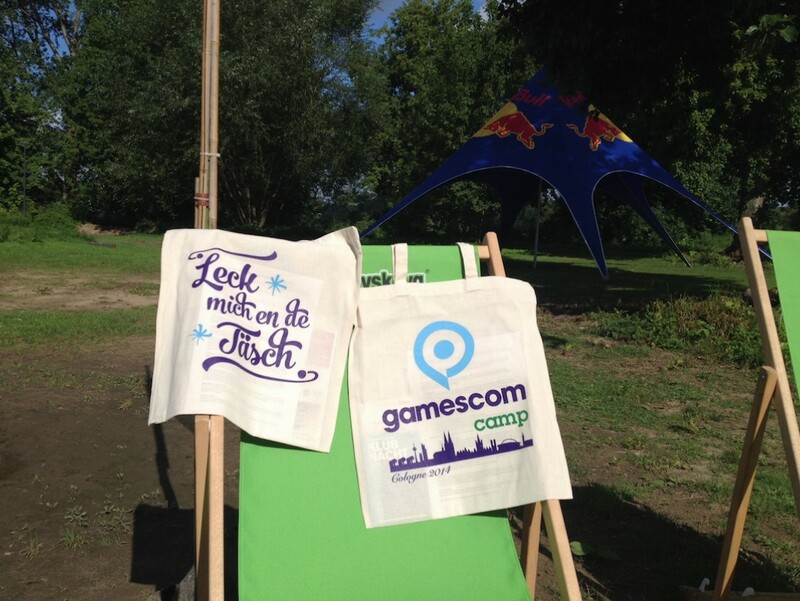 Of course there is also the option to purchase the Camp-Tickets at the gamescomCamp check-in (while supplies last!). 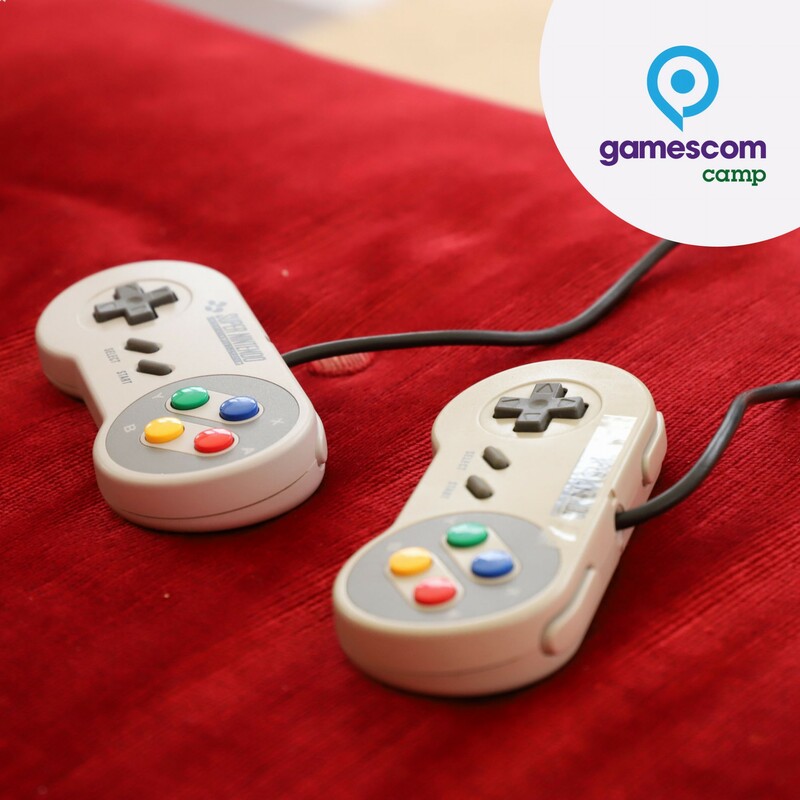 We recommend buying your gamescomCamp Ticket in advance, as our capacities are exhausted quickly! Children and teenagers have to be at least 16 years of age in order to be allowed to camp here. 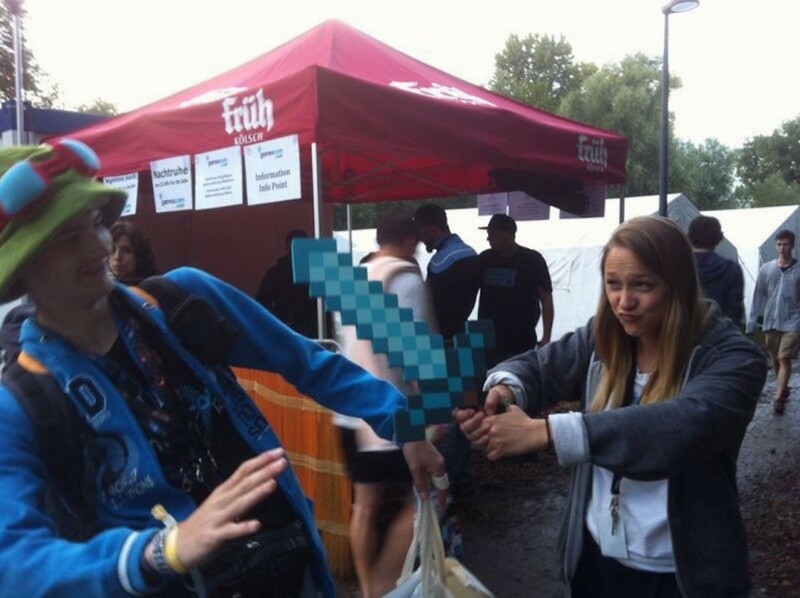 It is required though that an adult has to place the tent-reserveration for you. 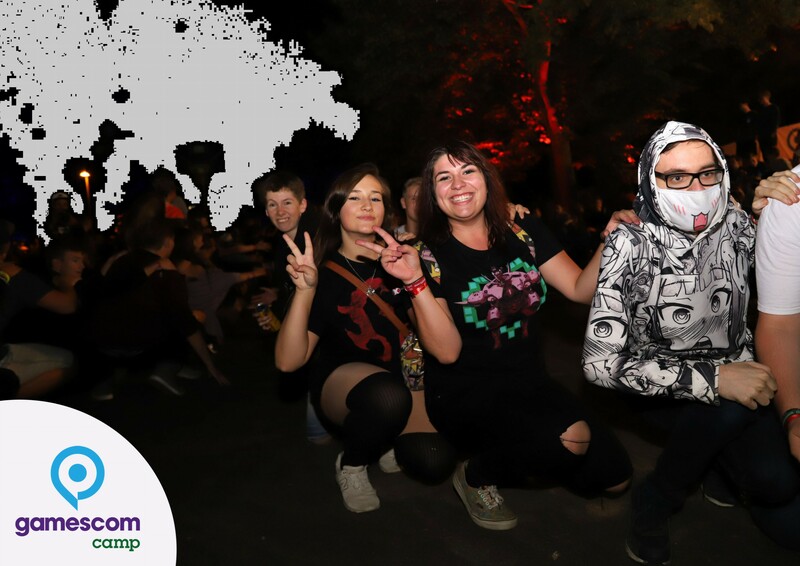 Children and teenagers under the age of 16 can only enter the premises of the camp if they’re accompanied by a person of full age who has been entitled to custody by the legal guardian for the time of the camp. A documentary proof should be carried along at any time. To download the necessary form, please click here. Kids, that are under the age of 7, are allowed to stay in the camp for free accompanied by a person of full age who has been entitled to custody by the legal guardian. 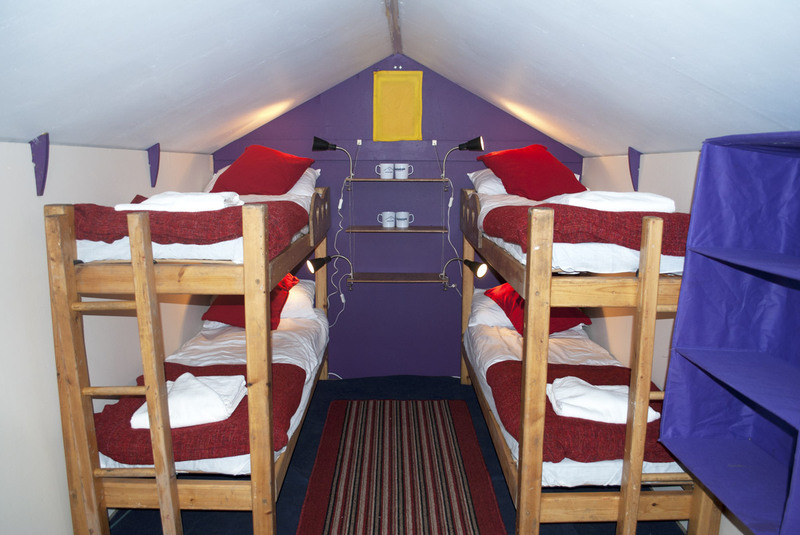 Excluded are the Camp-Houses, Tent4Friends and the cots in a multi person tent. 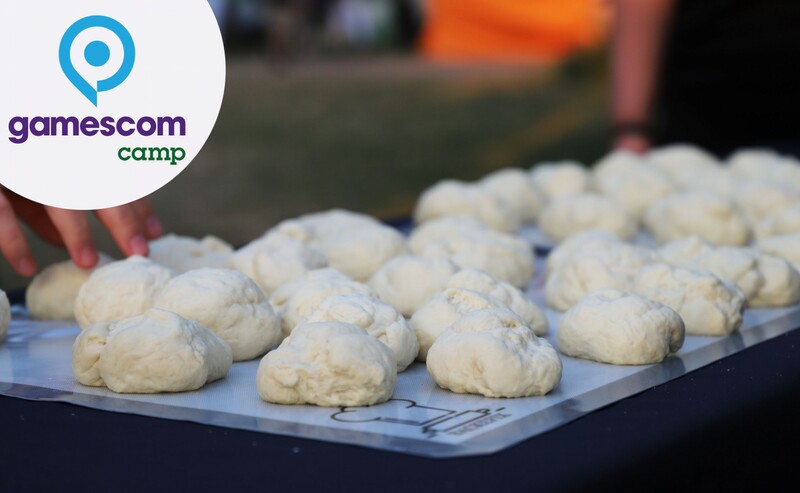 The camping ground rules to print out and sign are in this PDF (open here). 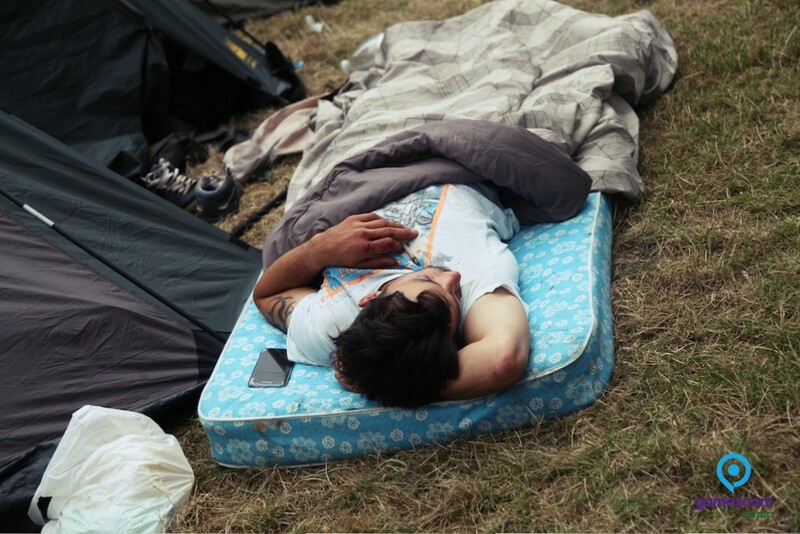 If you have booked a cot in a multi-person tent or a Camp-House please also sign these rules (open here). 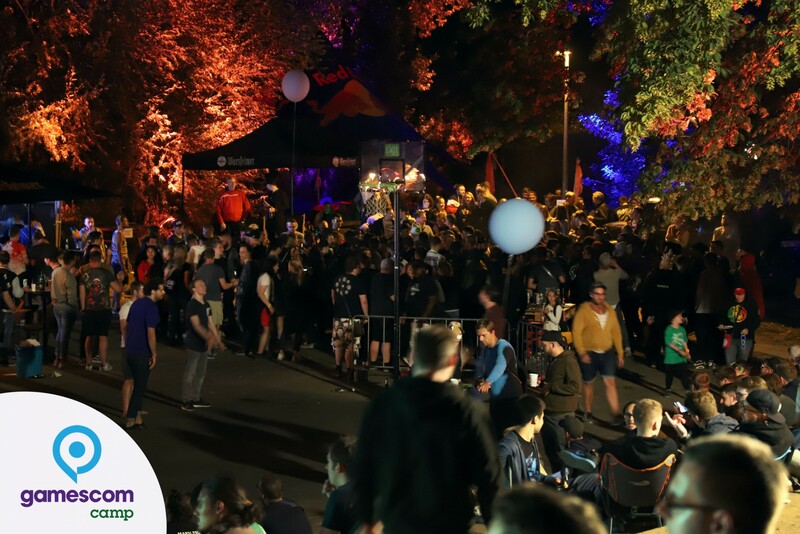 To make the check-in faster, please have your ID ready upon check-in, your E-ticket with the barcode, the signed camping ground rules and 5€ garbage disposal deposit. 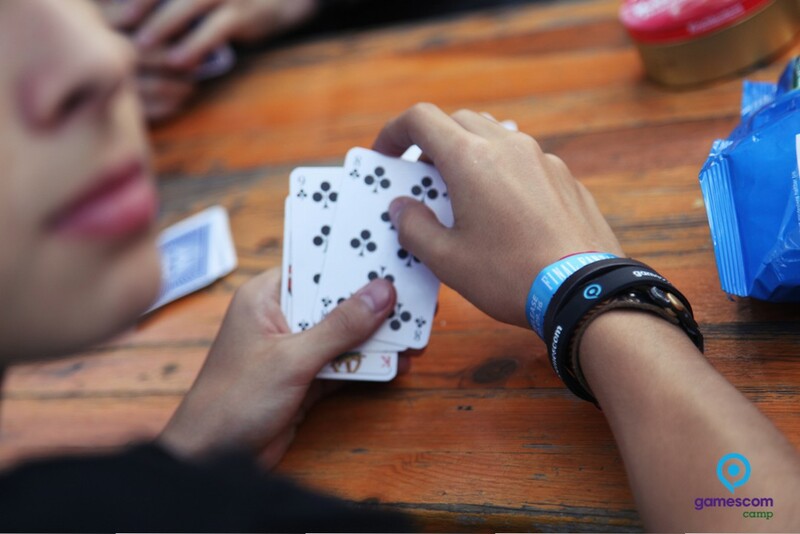 At the check-in you will get all wristbands for access to the camp..
Is there a box office for tickets at the Camp? Those of you who decide to come at short notice can still buy a ticket at the Camp Check-In (as long as tickets are available). At the campsite we can only accept cash payments. 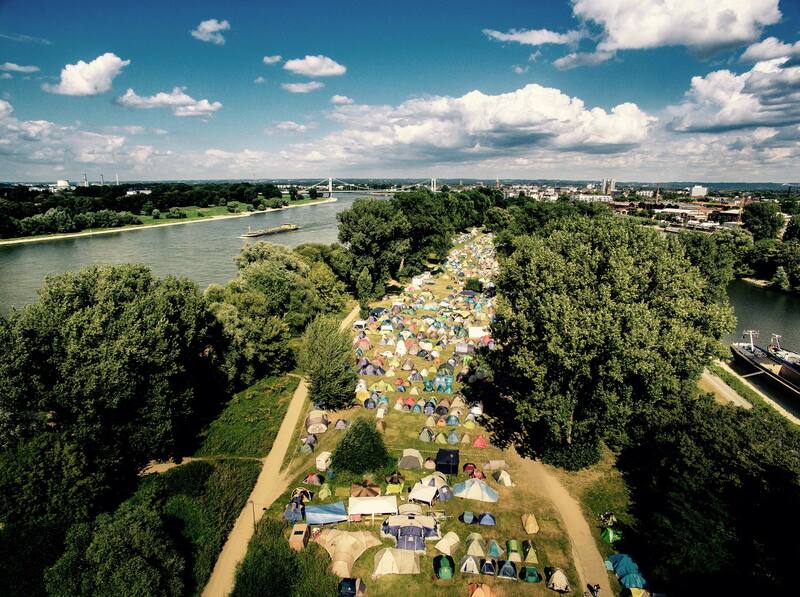 We advise you to buy your camping tickets in advance. If we’re sold out, the campsite box office may be closed. I arrive by car, where can I park and what is to be followed? 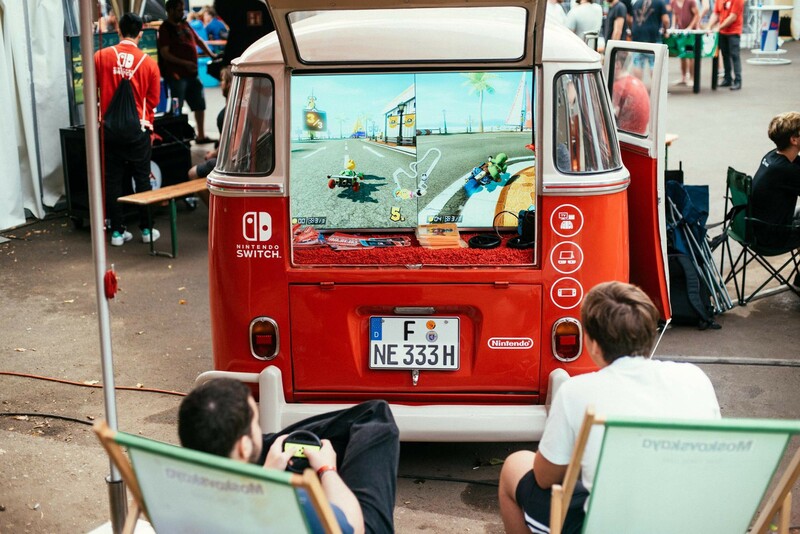 Right by the Cologne Jugendpark there is a parking lot for gamescomCamp guests. 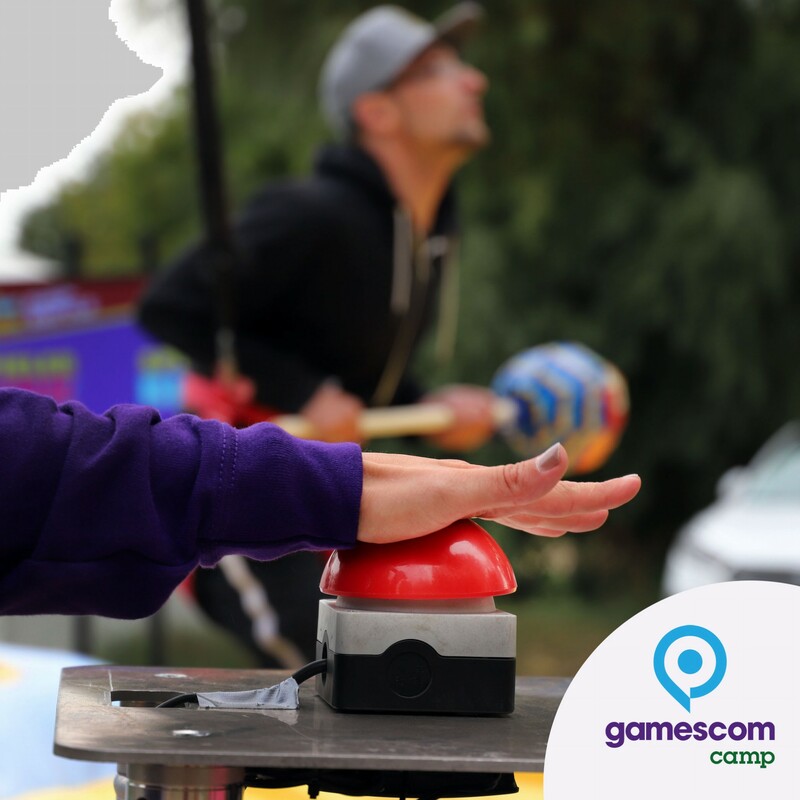 Since the parking lot is right next to the fairgrounds, it must be operated by us, so that ordinary gamescom visitors can’t use the car park. Our parking rates are 5.00 € per day. This parking fee is to be paid in cash at the entrance. 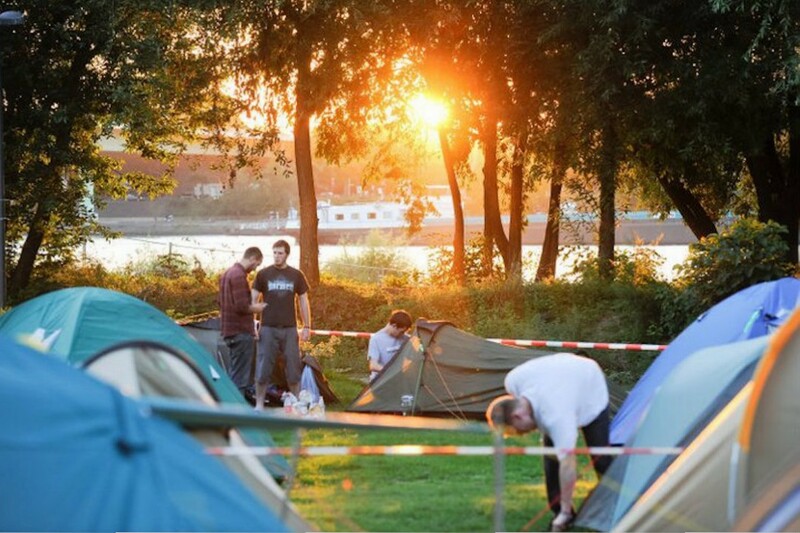 Overnight-stays at the gamescomCamp are only possible under canvas. The car park is open 24 hours and is NOT guarded at night. There is no parking warranty! Can i reserve a specific camping spot? You can't reserve a specific camp spot in advance. 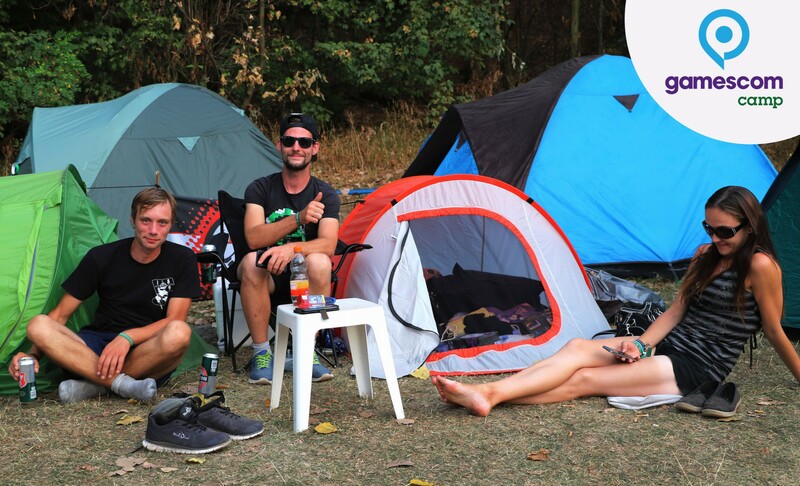 Once you arrive, our team is happy to find the right camping spot for your tent. 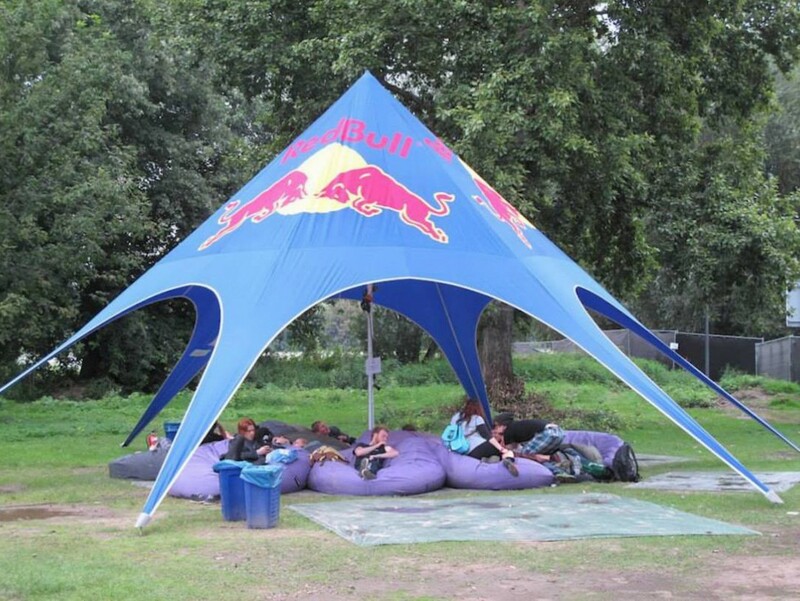 How big may my tent be? 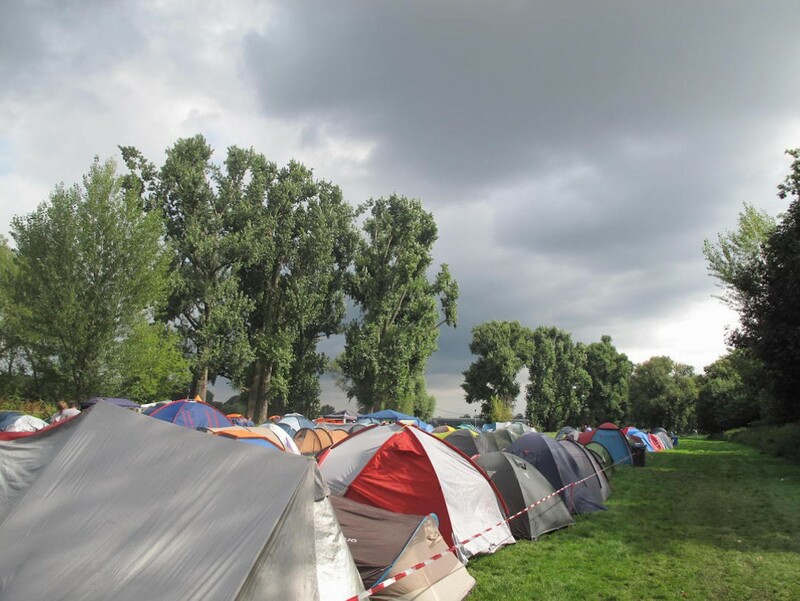 The size of the tent may not exceed 2 square meters of tent area per person. 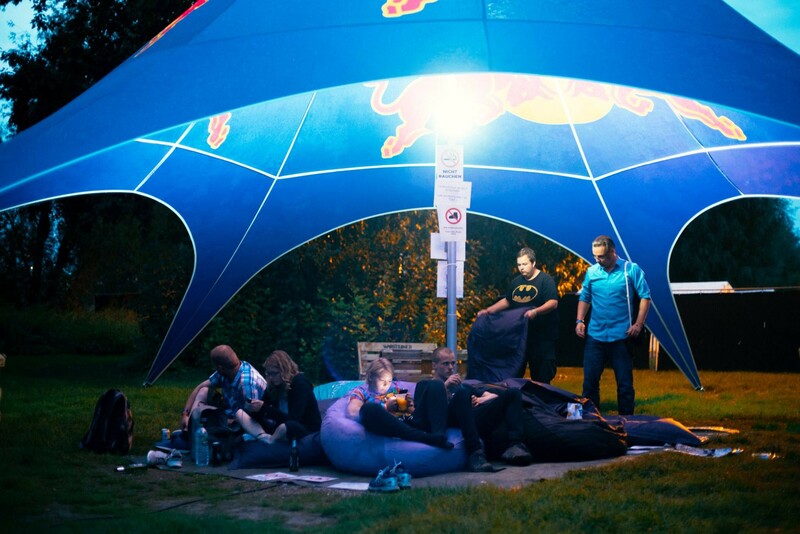 Of course the 2 square meter per person will get added depending on the tent's size and number of people. This means, you can bring a tent of e.g. 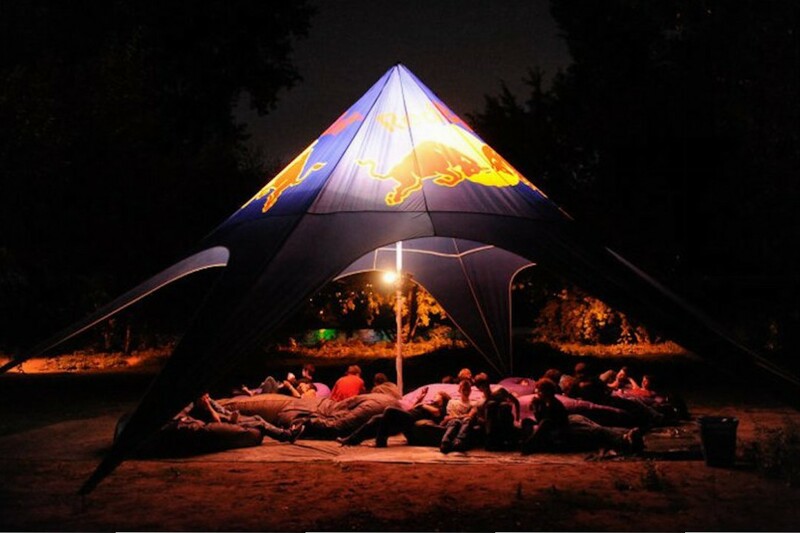 6 square meters, if there's 6 people sleeping in the tent. 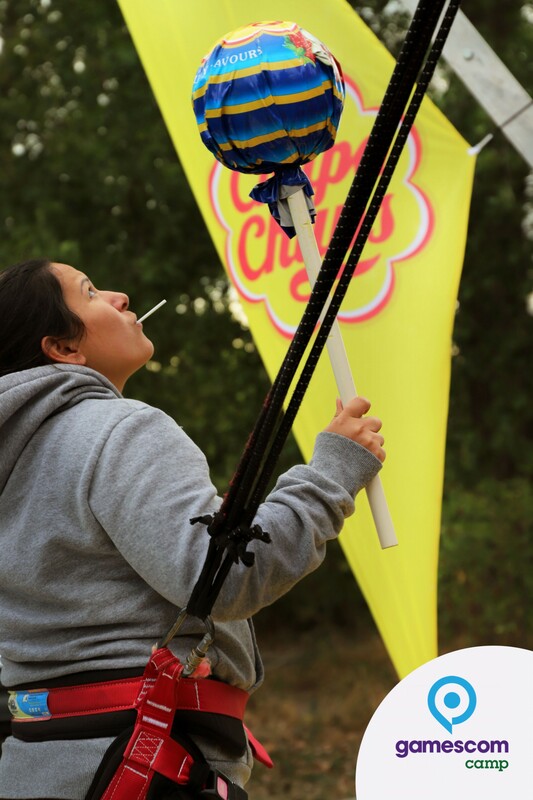 Awnings, additional tents or anything similar may only be set up after prior approval by Camp staff. 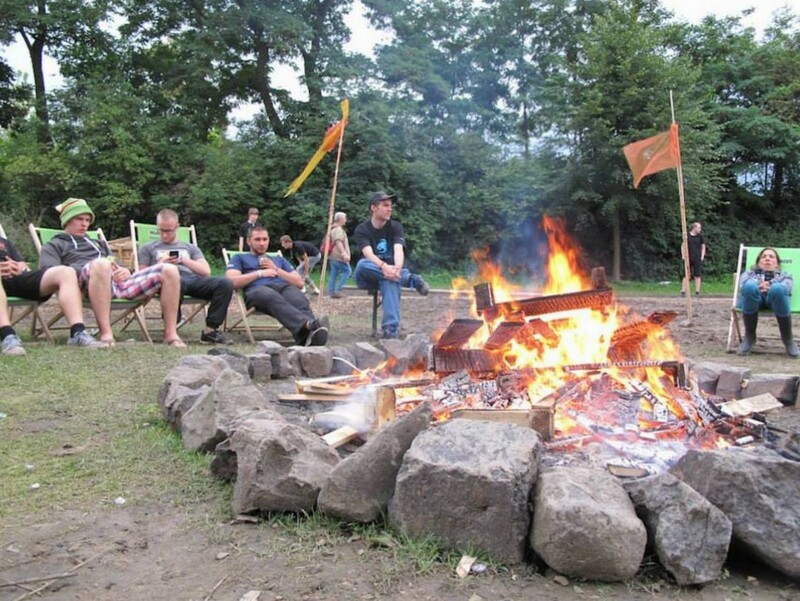 Are barbecues allowed at the campsite? May I use a camping stove? You’re only permitted to barbecue on designated areas if you bring an adequate grill with supporting feet. 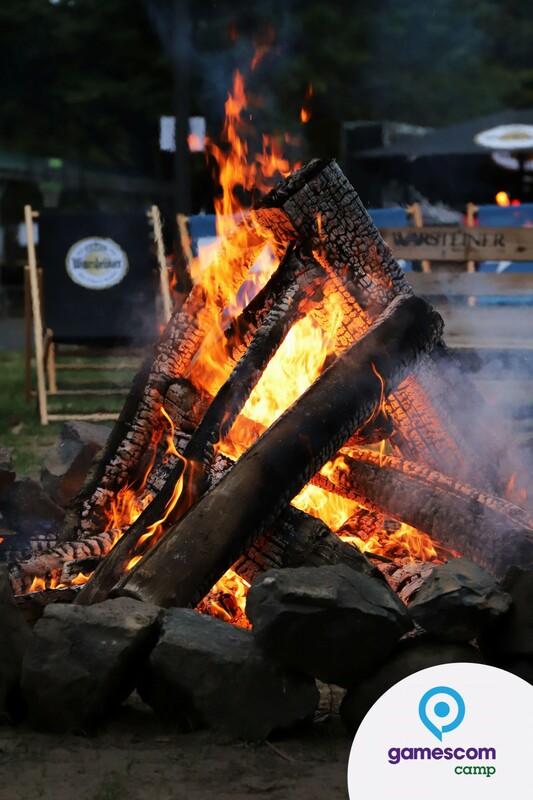 After your barbecue, you must dispose of the remaining charcoal at the provided waste containers near the entrance. Due to security reasons the use of single-serving grills or the sparking of fire on the lawn is prohibited. Any kind of activity that might damage the lawn is to be omitted. 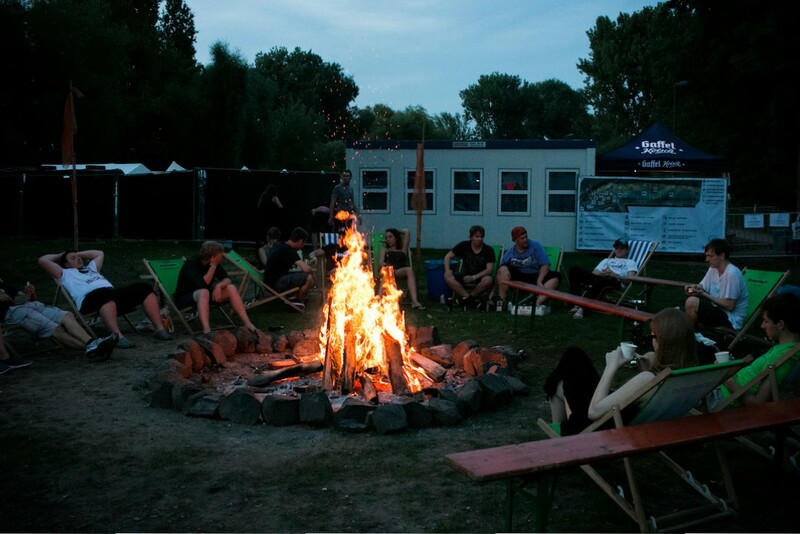 However, in the community area there is a fireplace where we can start a fire every evening. 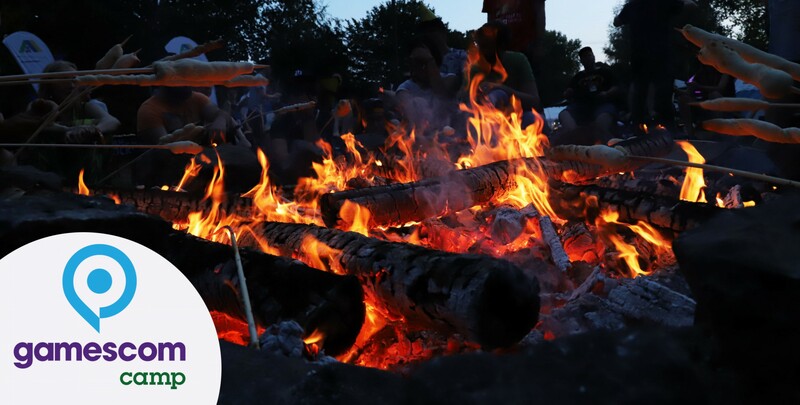 A camping stove with a gas cartridge can be used as along as it's a product from a certified producer and the gas cartridge isn't bigger than 0,5L of gas. 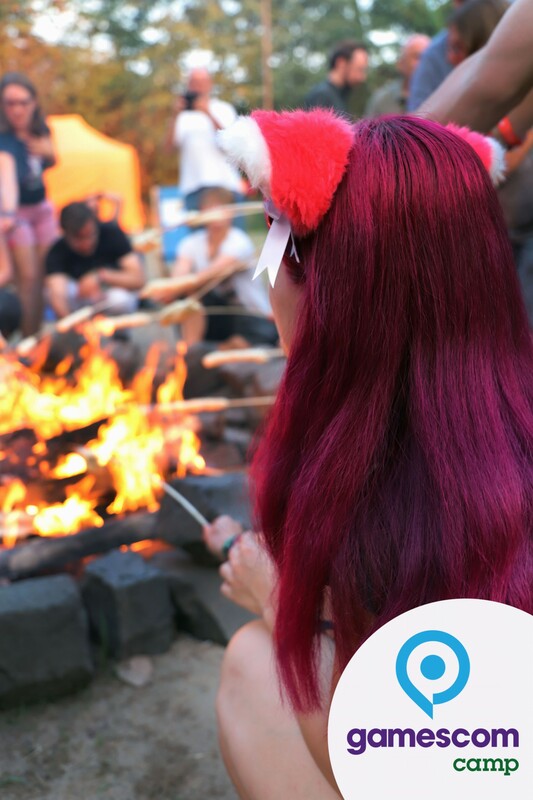 In the proximity of the camp yo can use the free WIFI Hotspot 24 hours. 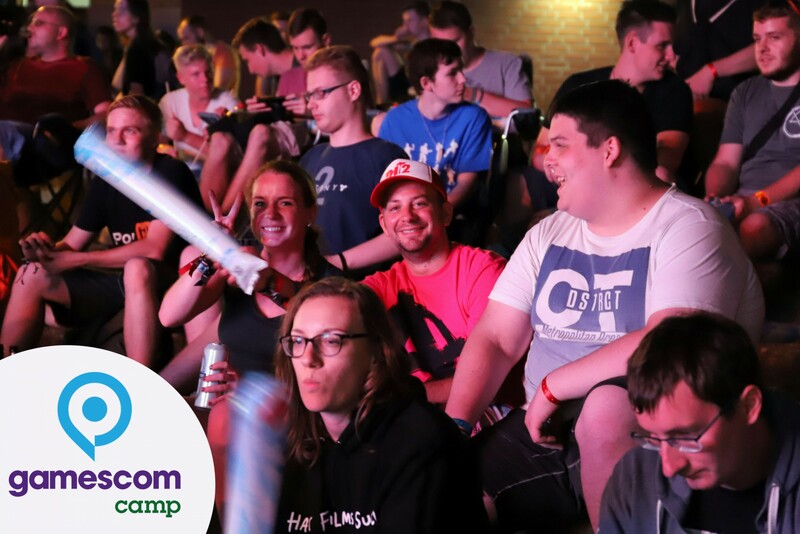 All details on how to log in you'll get at the camps check-in. 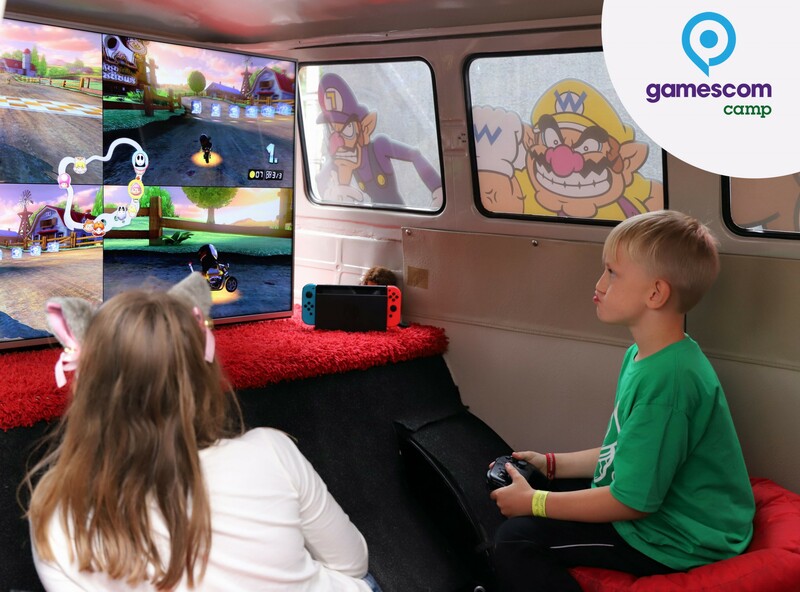 Can i bring my kids or what's the age restriction? 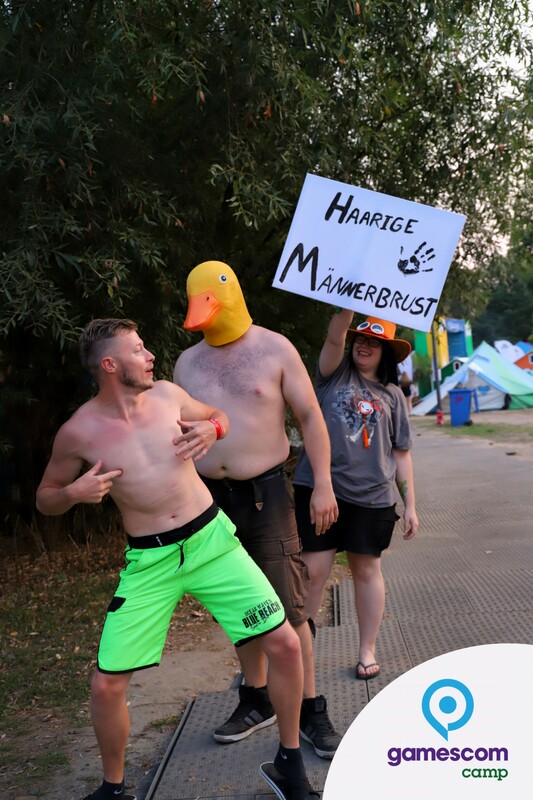 Are animals allowed at the the campsite? Animals are not allowed at the camp. Besides, it would be great stress and very noisy for the beloved pets. 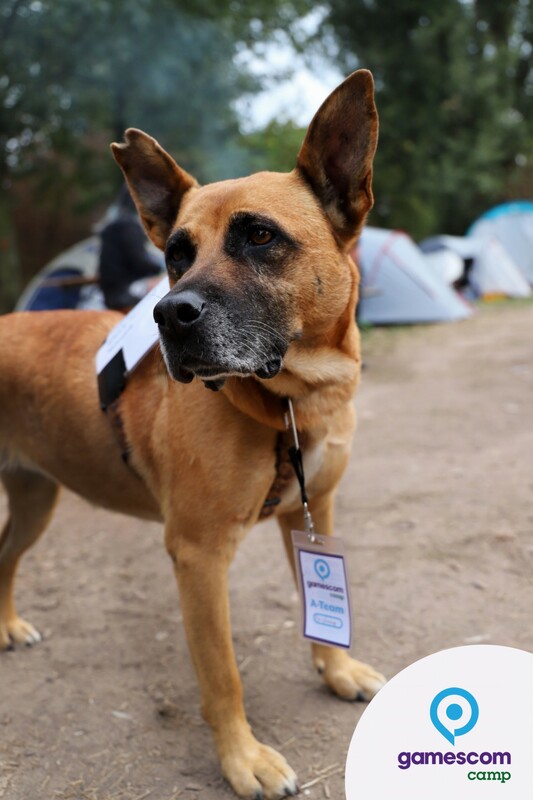 The campsite is fenced in, and is protected by trained security 24 hours around the clock. Nonetheless you should never leave your valuables unattended. 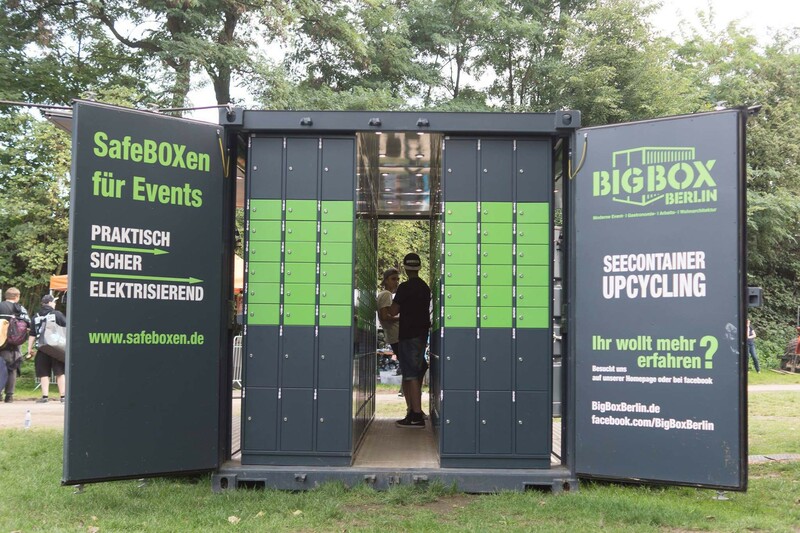 This year we provide you lockers from Big Boy Berlin which got different sizes and the best is you can charge your phone inside. Can i also store larger bags? 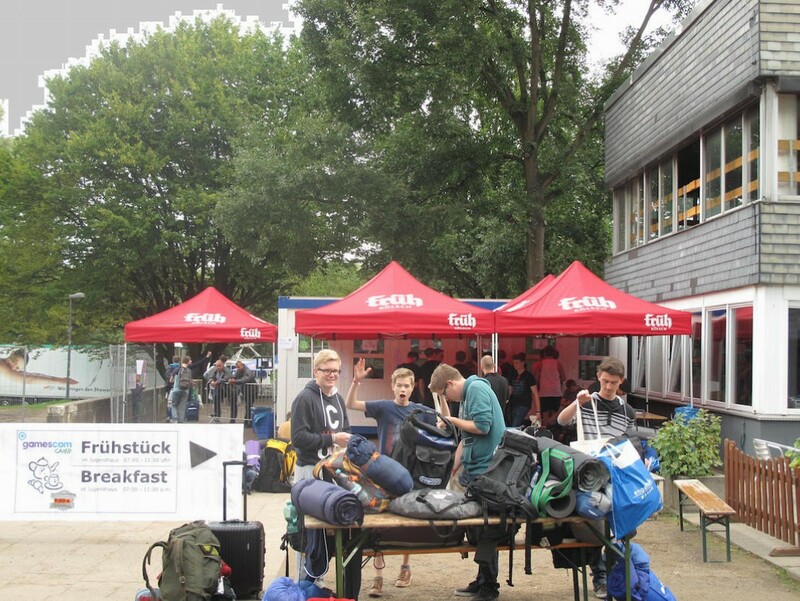 At the camp we cannot provide lockers for valuables nor cloak nor baggage rooms. 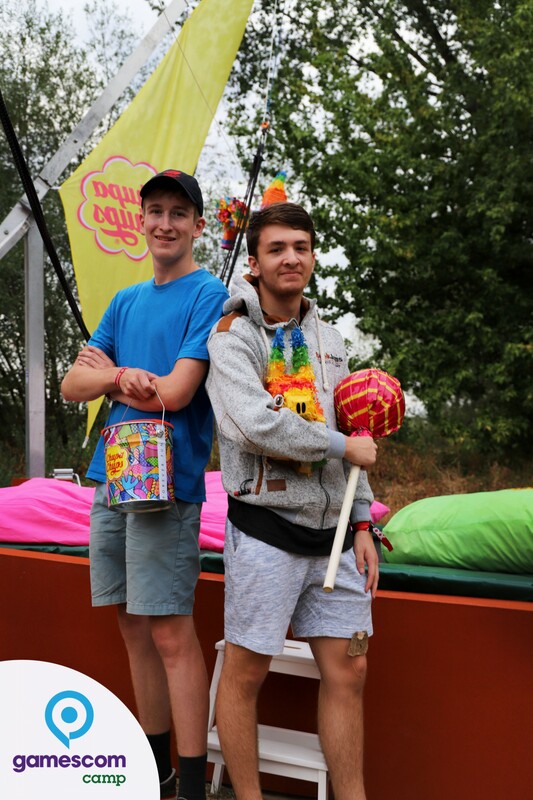 If you wish to visit the fairground after your checkout you can leave your luggage at the numerous cloak rooms at the fairground entrance. 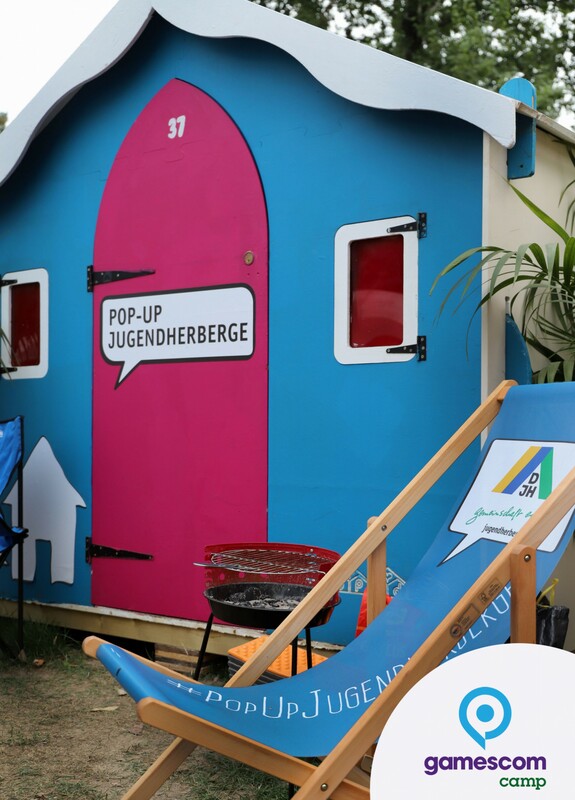 There is a kiosk at the camp. At the train station “Köln Messe/Deutz” you can find several different restaurants, and the next shopping promenade is the “Deutzer Freiheit”. On Deutz-Mülheimer Str. 140 there's a LIDL Discounter. The “Jugendpark” is a protected landscape. 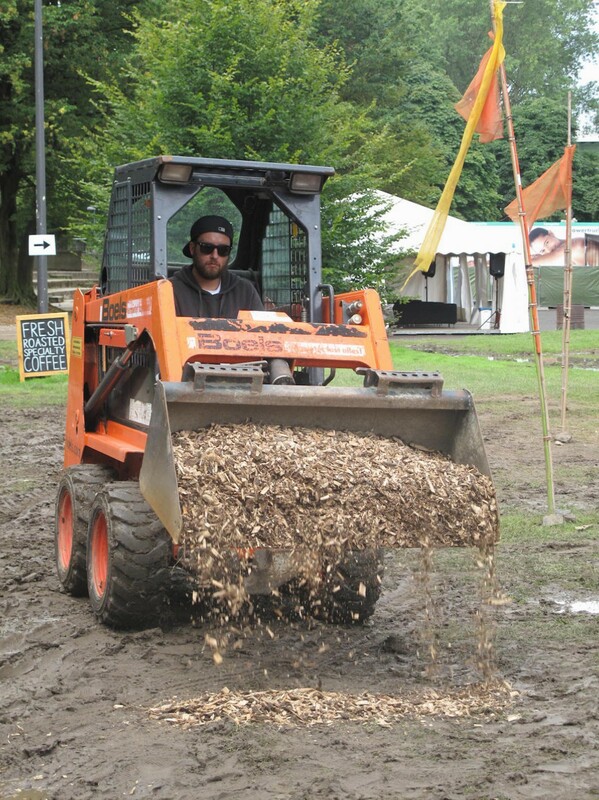 Further, we constantly want to keep the camp clean for all visitors’ comfort. This is why every group has to pay a so-called garbage deposit fee of 5 € and in return receives a garbage bag and a coupon. We will refund the deposit when you hand out your entire trash including the coupon on the day of your departure. From the train station “Köln Messe/Deutz” either take the 15 minute walk along the Auenweg, or hop on one of these bus lines: 150, 250, 260 and get off at the stop “Thermalbad”. The bus line 150 runs every 30 minutes from 9:15 am to 22:45 pm. From Colognes main train station, either take the urban railway (S-Bahn) to the next stop/train station “Köln Messe/Deutz” (see further directions above), or take the metro line 17, 18 or 19, get off at “Zoo/Flora” and then cross the “Zoobrücke” by foot or take the cable car. 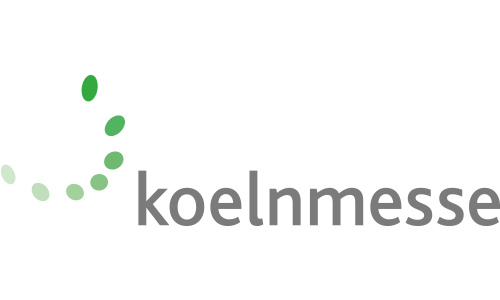 Regardless the direction which you are entering Cologne from, please follow the green signs for “koelnmesse”. The guideposts are also posted on the city expressways. 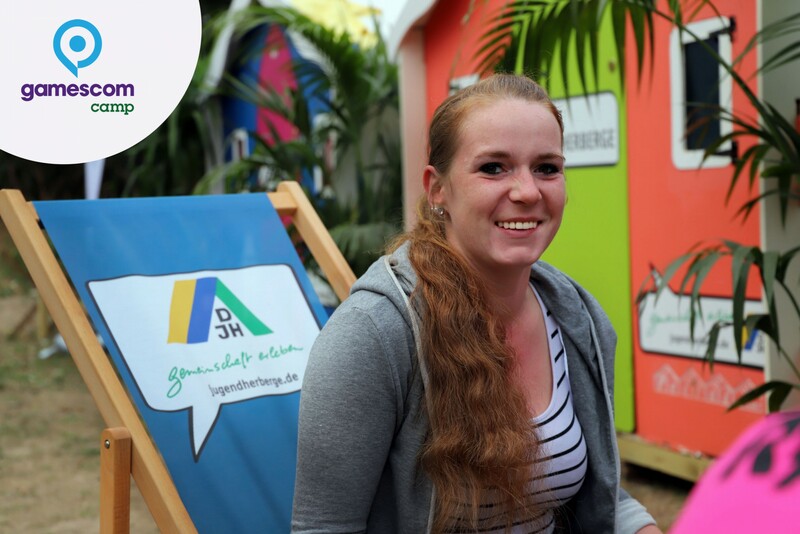 From the “koelnmesse” resp. the train station “Köln Messe/Deutz”, please look out for the guideposts “Thermalbad/Claudius Therme”. 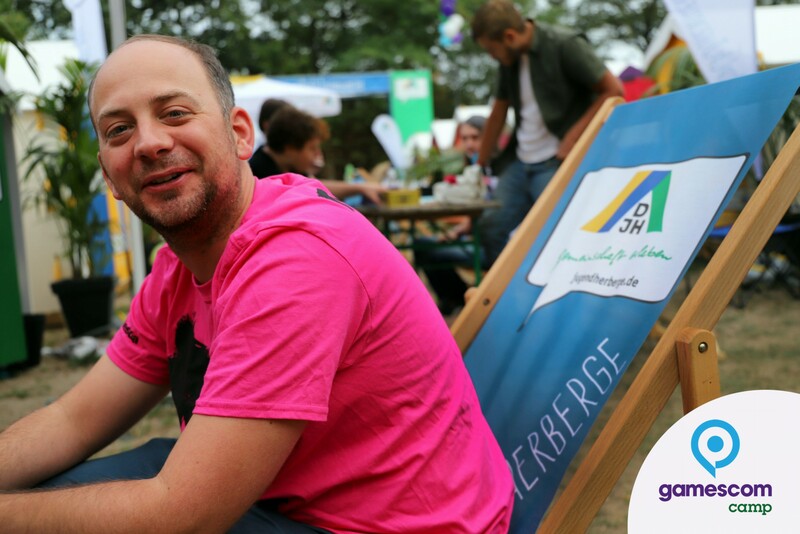 As soon as you enter Sachsenbergstraße (coming from Auenweg), the “Thermalbad” is located on your left-hand side. 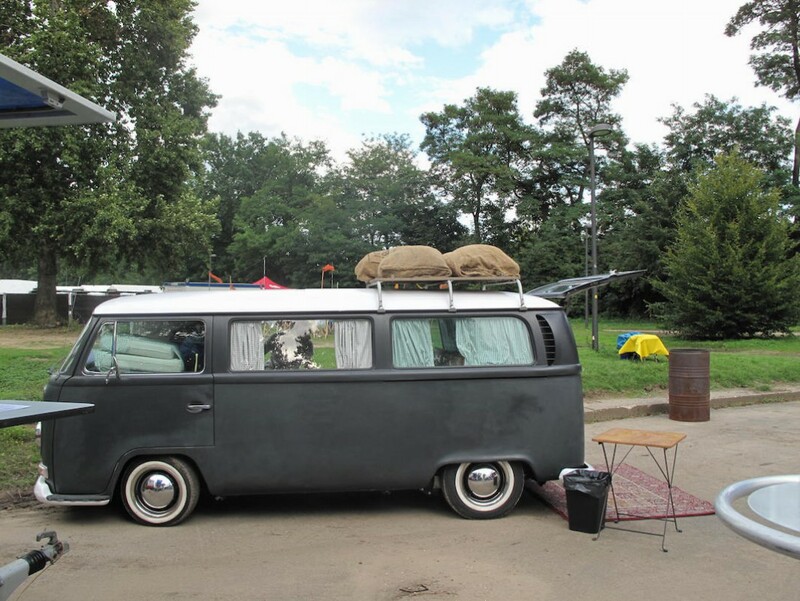 If you keep straight ahead, you will automatically arrive at the camp’s parking lot. 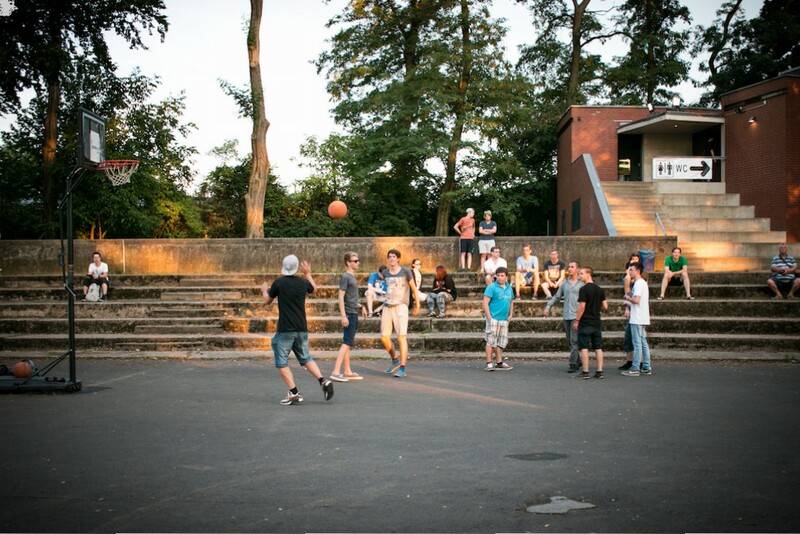 The “Jugendpark” and the camp are entered in the right-hand back section of the parking lot. 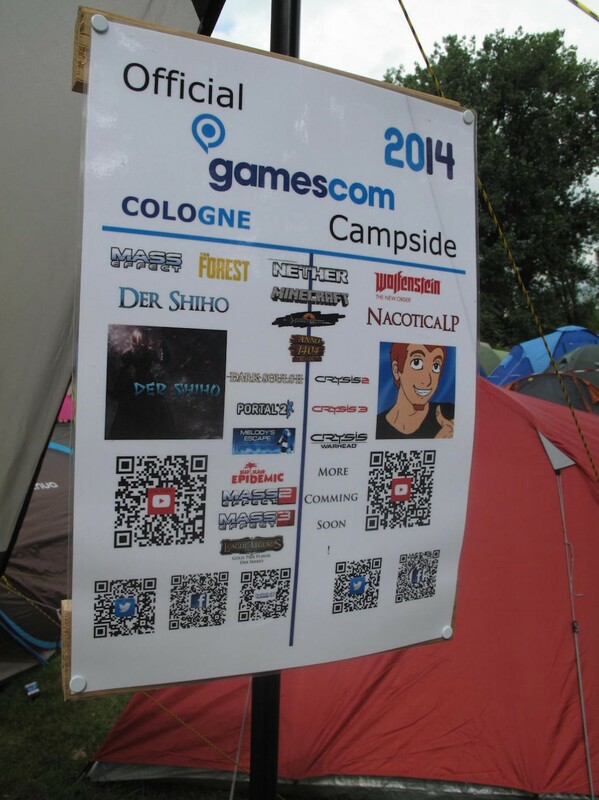 The gamescomCamp is signposted from the train station “Köln Messe/Deutz” on. The northern visitors entrance of the “koelnmesse” can be reached within a walking distance of only 10 minutes; the train station “Köln Messe/Deutz” within 12 minutes. 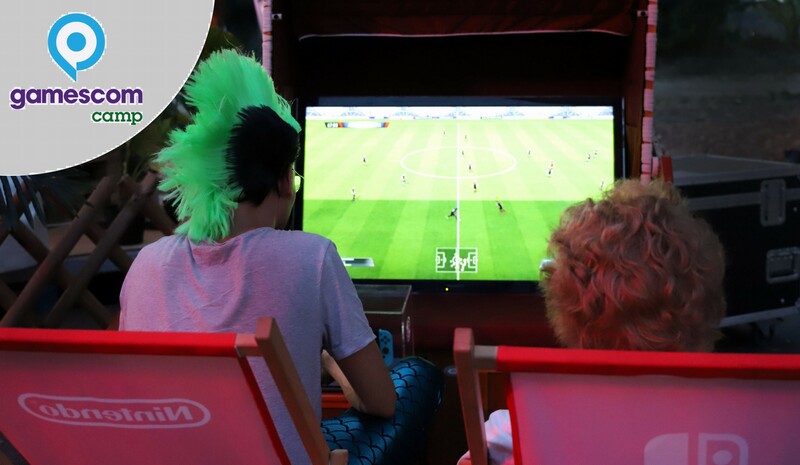 There is also a bus that can be hopped from there to the “Jugendpark” (for more information, please scroll down to “Approach”). The Cologne cathedral/dome and downtown Cologne are on the opposite side of the river, and can be reached within 15 minutes by walking along the riverside and crossing the “Hohenzollernbrücke”. 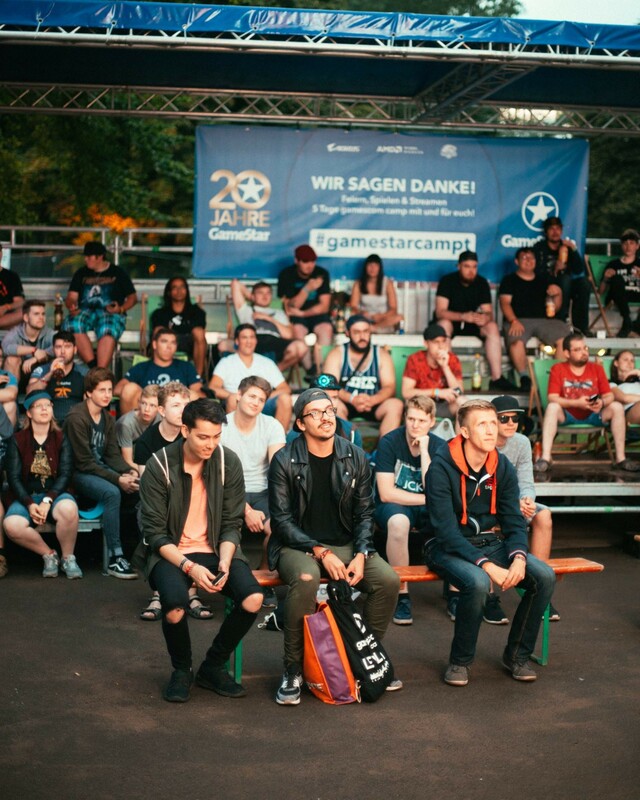 Your welcome-package includes sufficient directions to and around the gamescom, for public transportation, other hotspots of the gamescom supporting events as well as direction to the Cologne dome. 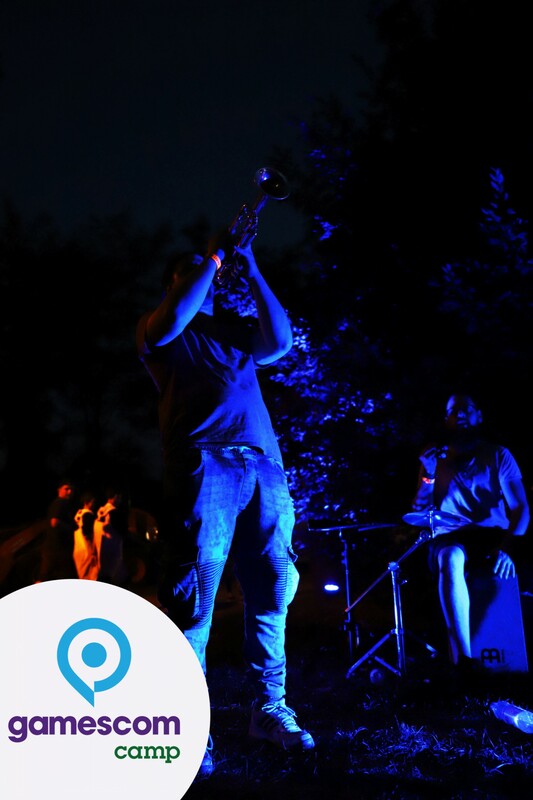 You have subscribed successfully to our newsletter. To confirm your registration, we have send a confirmation e-mail to you. Wir, die PollerWiesen Hoffmann und Peiki GmbH als Webseitenbetreiber übernehmen keine Gewähr für die Aktualität, Korrektheit oder Vollständigkeit der bereitgestellten Informationen. 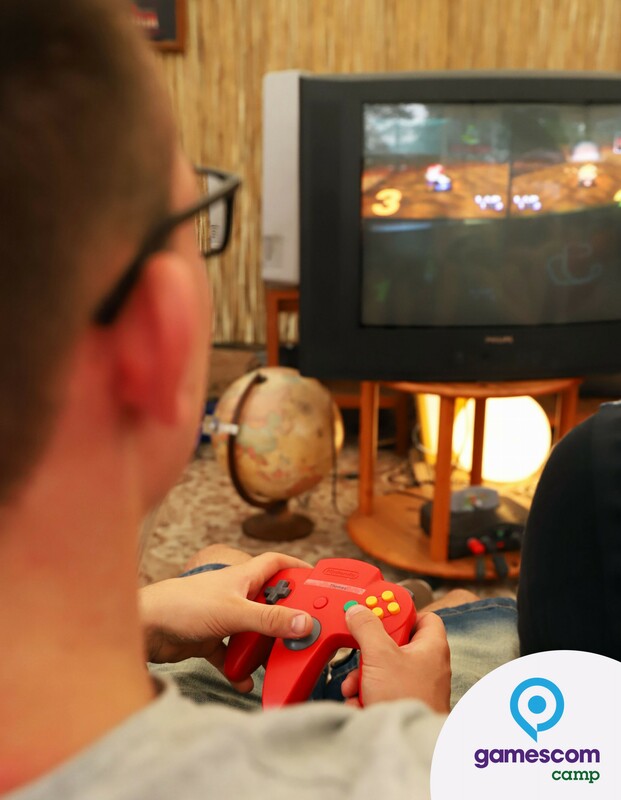 Programmänderungen bleiben dem Veranstalter und den beteiligten Galerien vorbehalten. Haftungsansprüche gegen uns, welche sich auf Schäden materieller oder ideeller Art beziehen, die durch die Nutzung oder Nichtnutzung der dargebotenen Informationen bzw. durch die Nutzung fehlerhafter und unvollständiger Informationen verursacht wurden, sind grundsätzlich ausgeschlossen, sofern von unserer Seite kein nachweislich vorsätzliches oder grob fahrlässiges Verschulden vorliegt. Bei direkten oder indirekten Verweisen auf fremde Internetseiten („Links“), die außerhalb unseres Verantwortungsbereiches liegen, würde eine Haftungsverpflichtung ausschließlich in dem Fall in Kraft treten, in dem wir von den Inhalten Kenntnis haben und es uns technisch möglich und zumutbar wäre, die Nutzung im Fall rechtswidriger Inhalte zu verhindern. 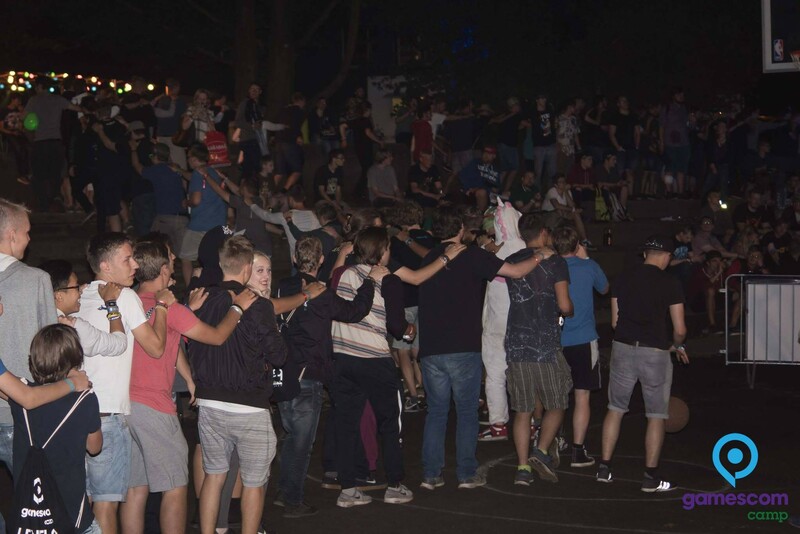 Wir erklären hiermit ausdrücklich, dass zum Zeitpunkt der Linksetzung keine illegalen Inhalte auf den zu verlinkenden Seiten erkennbar waren. 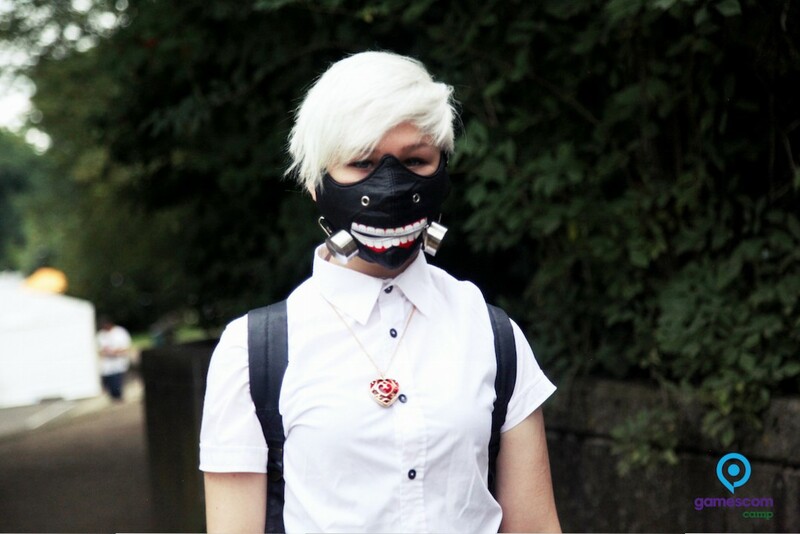 Auf die aktuelle und zukünftige Gestaltung, die Inhalte oder die Urheberschaft der gelinkten und verknüpften Seiten haben wir keinerlei Einfluss. 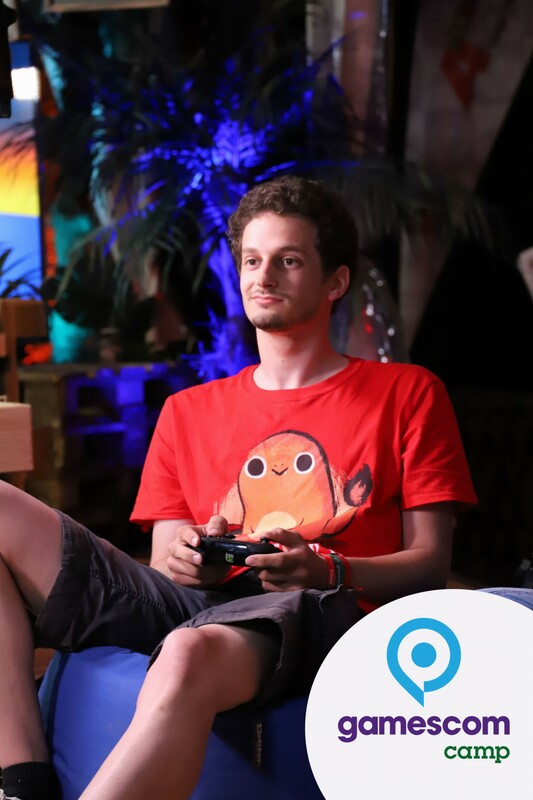 Deshalb distanzieren wir uns hiermit ausdrücklich von allen Inhalten aller gelinkten und verknüpften Seiten, die nach der Linksetzung verändert wurden. 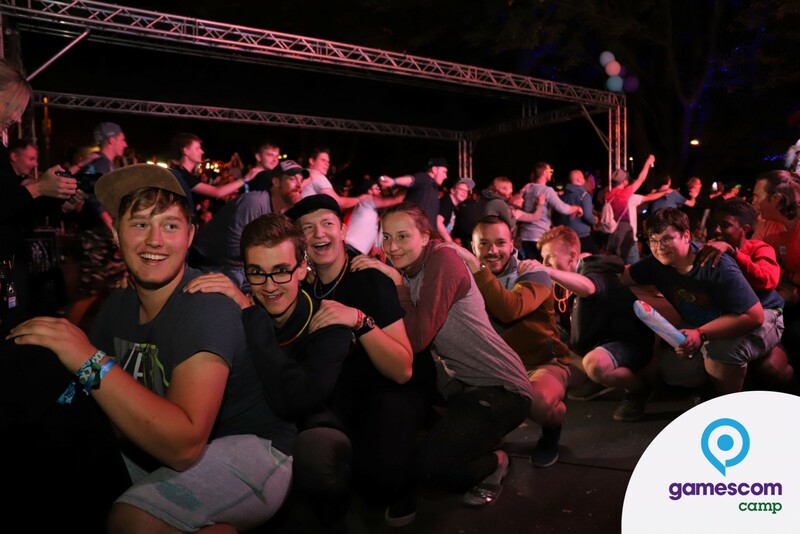 Diese Feststellung gilt für alle innerhalb des eigenen Internetangebotes gesetzten Links und Verweise. Für illegale, fehlerhafte oder unvollständige Inhalte und insbesondere für Schäden, die aus der Nutzung oder Nichtnutzung solcherart dargebotener Informationen entstehen, haftet allein der Anbieter der Seite, auf welche verwiesen wurde, nicht derjenige, der über Links auf die jeweilige Veröffentlichung lediglich verweist. 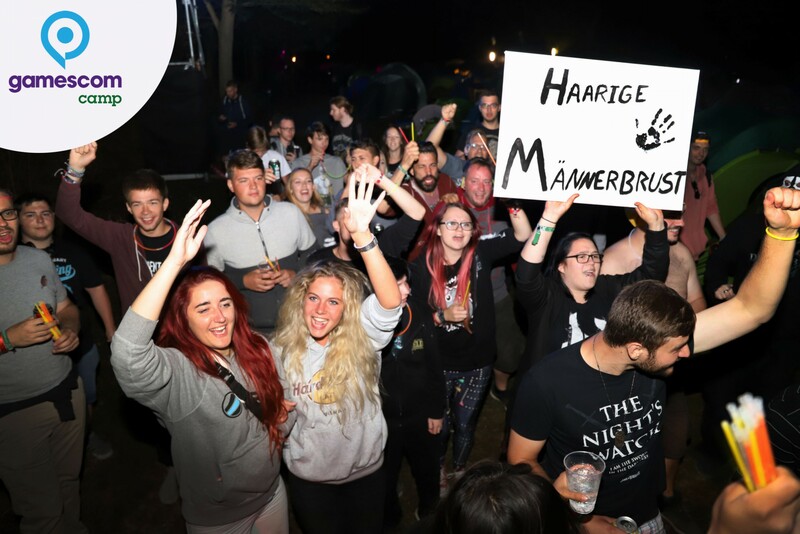 Wir sind bestrebt, in allen Publikationen die Urheberrechte der verwendeten Grafiken, Fotos und Texte zu beachten. 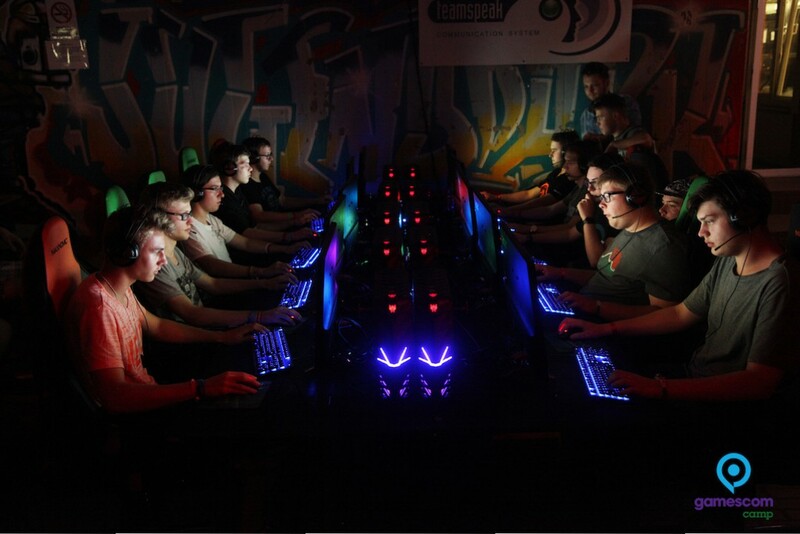 Alle innerhalb des Internetangebotes genannten und ggf. durch Dritte geschützten Marken- und Warenzeichen unterliegen uneingeschränkt den Bestimmungen des jeweils gültigen Kennzeichenrechts und den Besitzrechten der jeweiligen eingetragenen Eigentümer. Allein aufgrund der bloßen Nennung ist nicht der Schluss zu ziehen, dass Markenzeichen nicht durch Rechte Dritter geschützt sind! Das Copyright für veröffentlichte, von uns erstellte Objekte, bleibt allein bei der PollerWiesen Hoffmann und Peiki GmbH. Eine Vervielfältigung oder Verwendung solcher Grafiken, Fotos und Texte in anderen elektronischen oder gedruckten Publikationen ist ohne unsere ausdrückliche Zustimmung nicht gestattet. 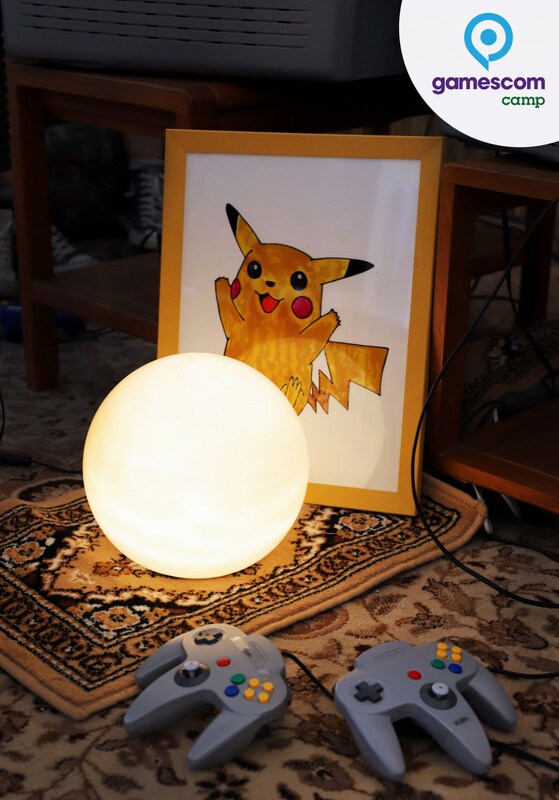 The following Terms and Conditions set forth the basic rules regarding the use of services offered by PollerWiesen to the Visitors via the internet. As of their inclusion, these Terms shall apply to all PollerWiesen services and to all other rights and obligations of both parties. The Visitor expressly agrees to these General Terms and Conditions of PollerWiesen by checking the respective box during the ordering process. to execute ticket orders. 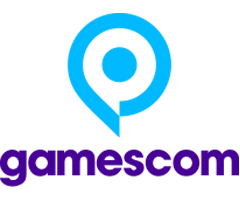 The use of the ticket shop is subject to separate terms and conditions which form the contractual basis of such transactions. 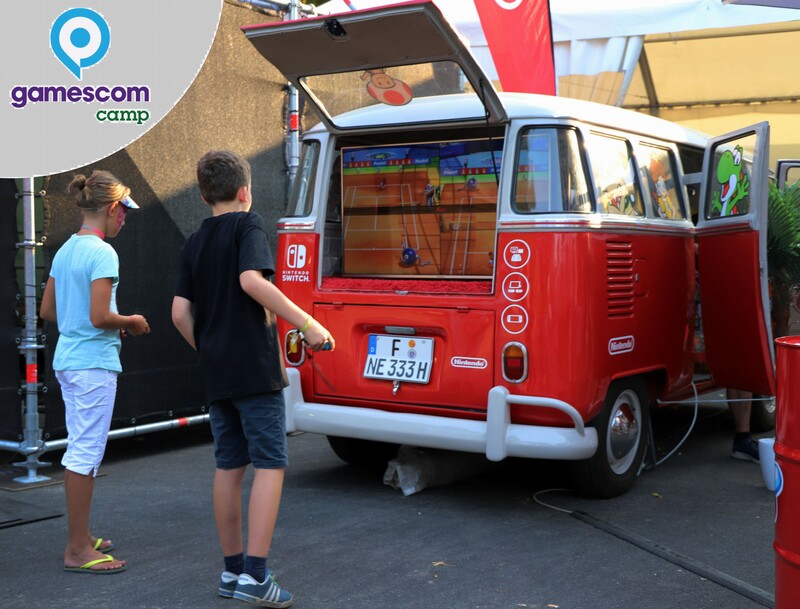 Every year during the time of the gamescom fair, PollerWiesen organizes the so-called gamescomCamp in cooperation with Koelnmesse GmbH in Cologne. 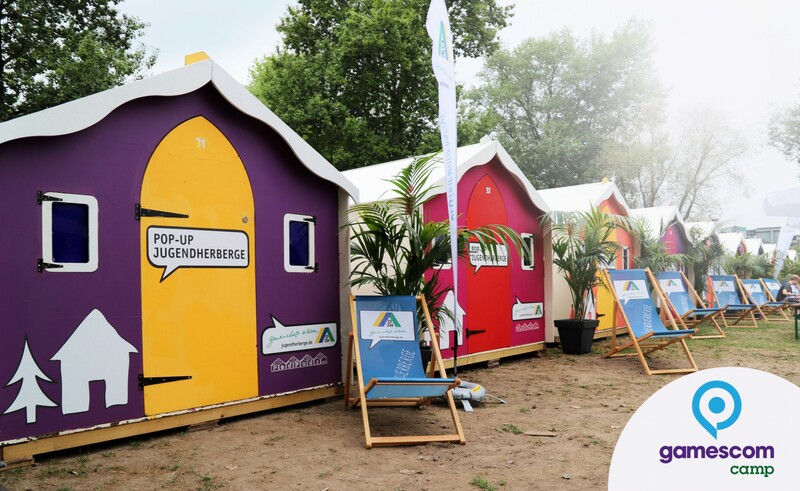 The gamescom Camp at Jungendpark Cologne offers accommodation, food and drinks as well as various activities and entertainment options for gamescom visitors. 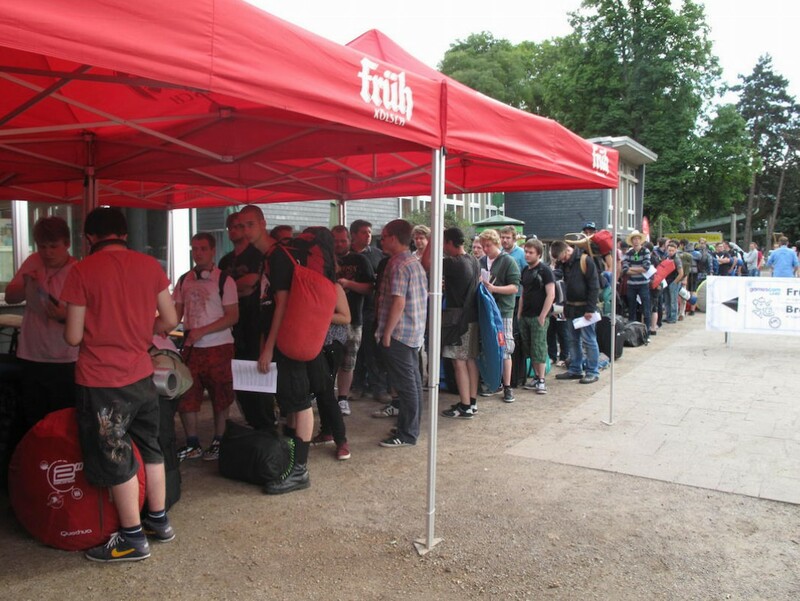 At www.gamescomcamp.de visitors of the gamescom fair can purchase tickets for overnight stays at the Camp. 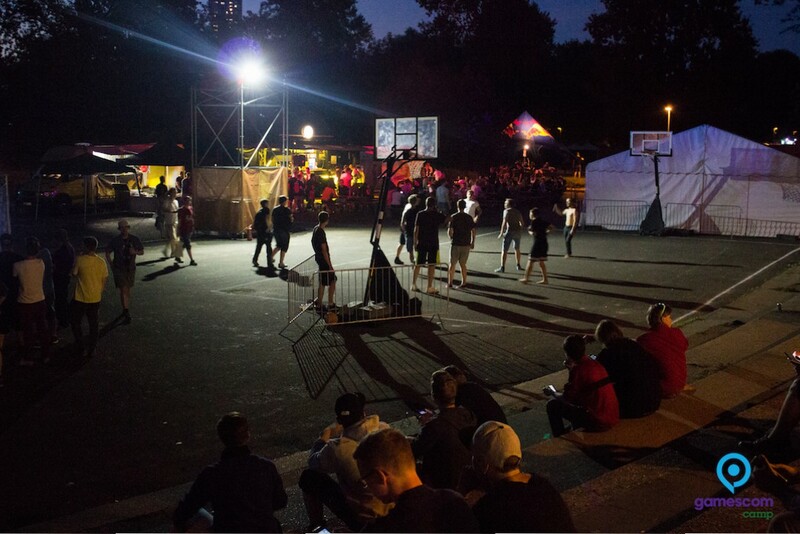 Visitors can choose between single- or multi-day tickets. The term of validity depends on the ticket type. 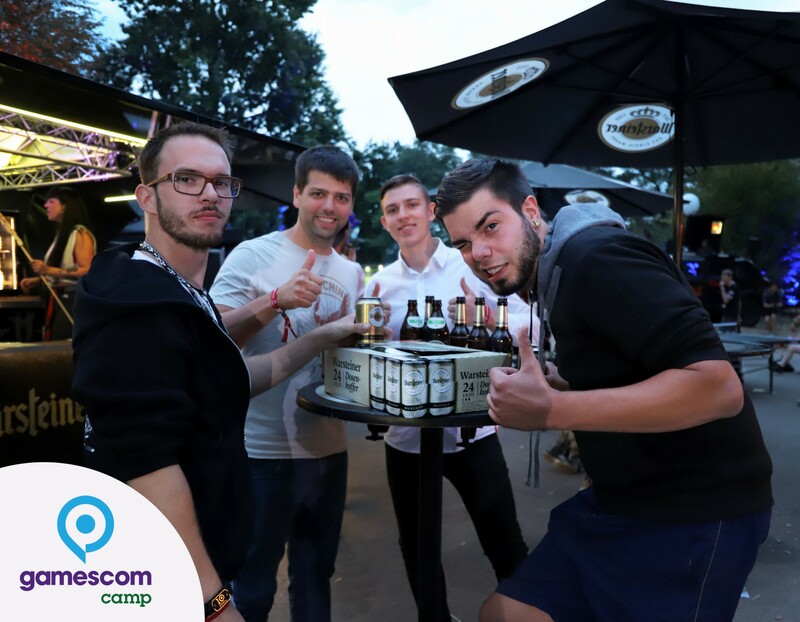 If a single day pass has been purchased; the valid day of the ticket is the date of the Visitor's arrival at the gamescom Camp which was provided by the visitor during the ordering process. 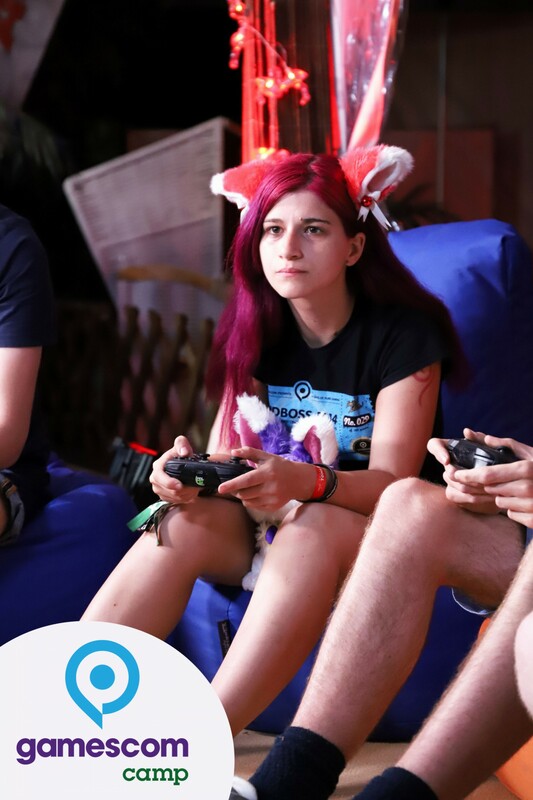 Tickets to the gamescom fair are not included in the Camp tickets. 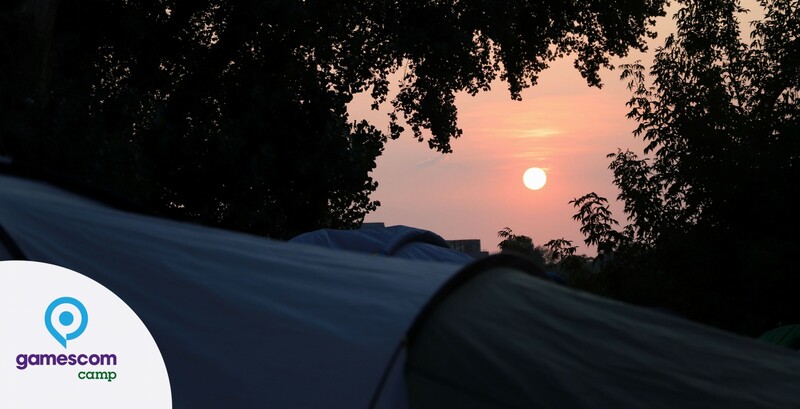 Camp tickets are limited to overnight accommodation only!With a Camp ticket, the Visitor is entitled to stay at the campsite during the respective valid date(s) with his/her own camping equipment. 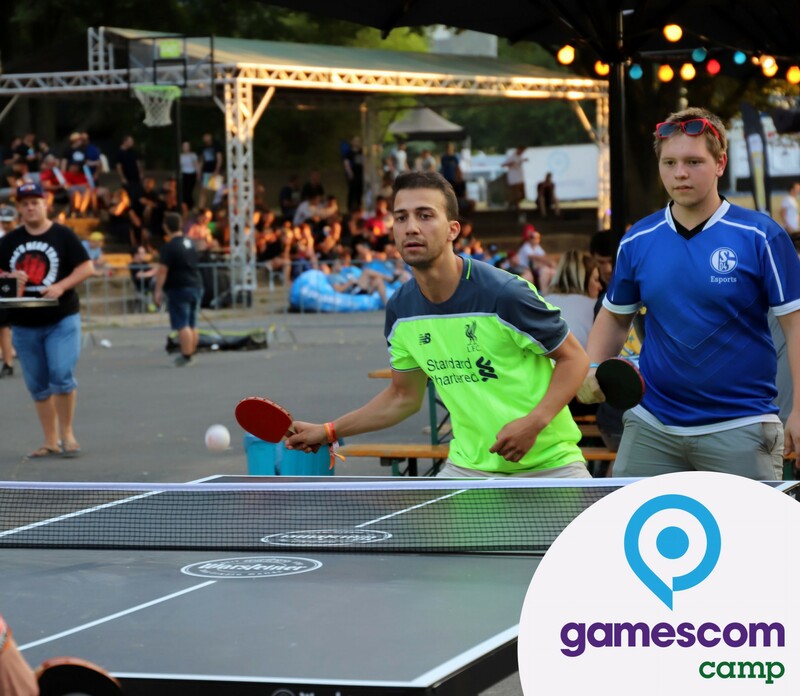 The Visitor may also use all sanitary facilities and participate in the gamescom Camp activities and entertainment program which are offered for free. 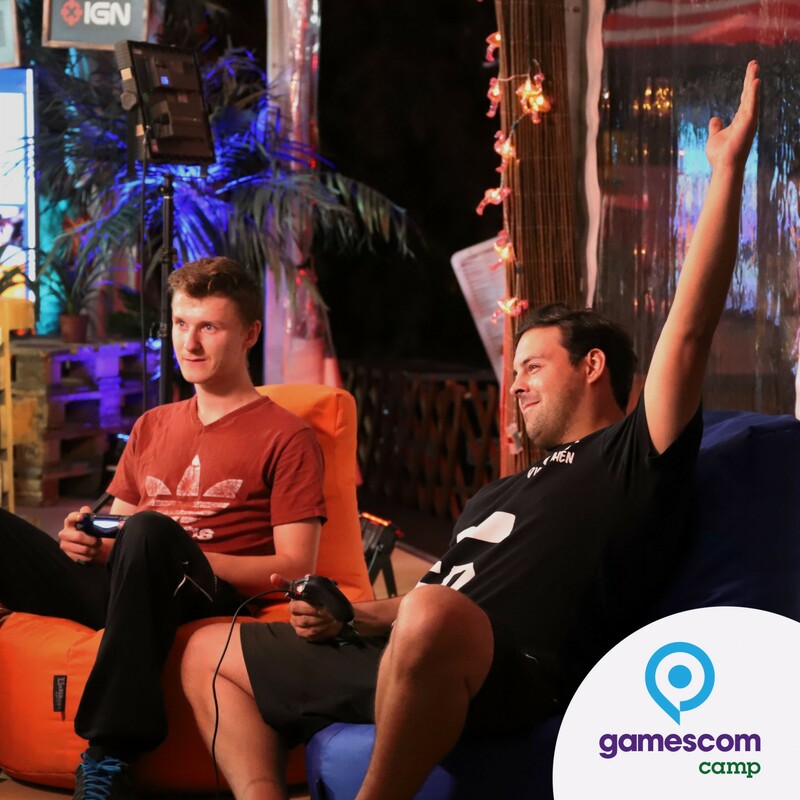 Details regarding the PollerWiesen gamescom Camp program can be found on the website at www.gamescomcamp.de. 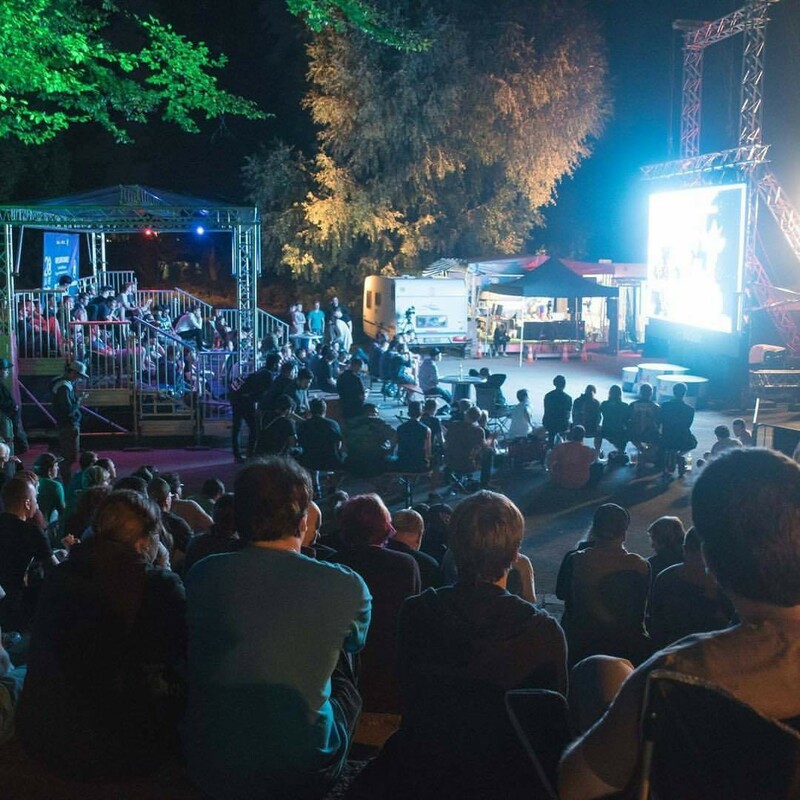 The Visitor acknowledges that PollerWiesen expressly reserves the right to change the activities and entertainment program. 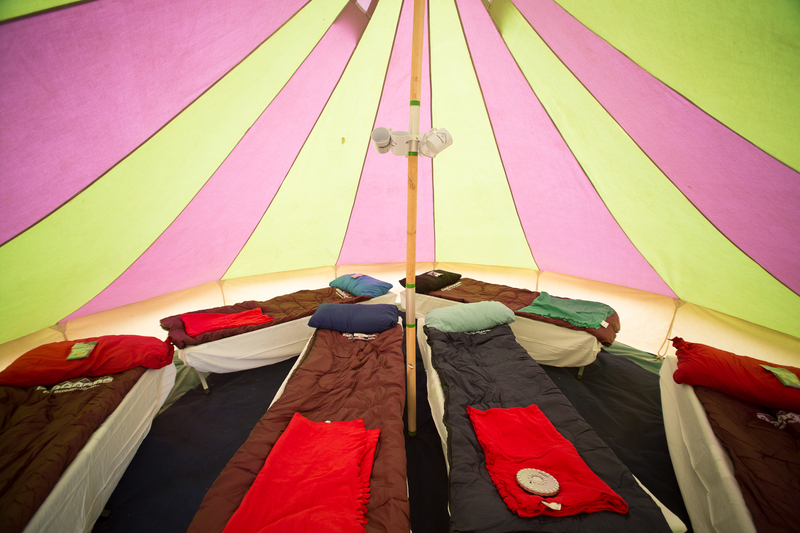 The Visitor has the option to add a cot located in a multi-person tent (without sleeping bag) to the ticket purchase, which will incur additional costs. 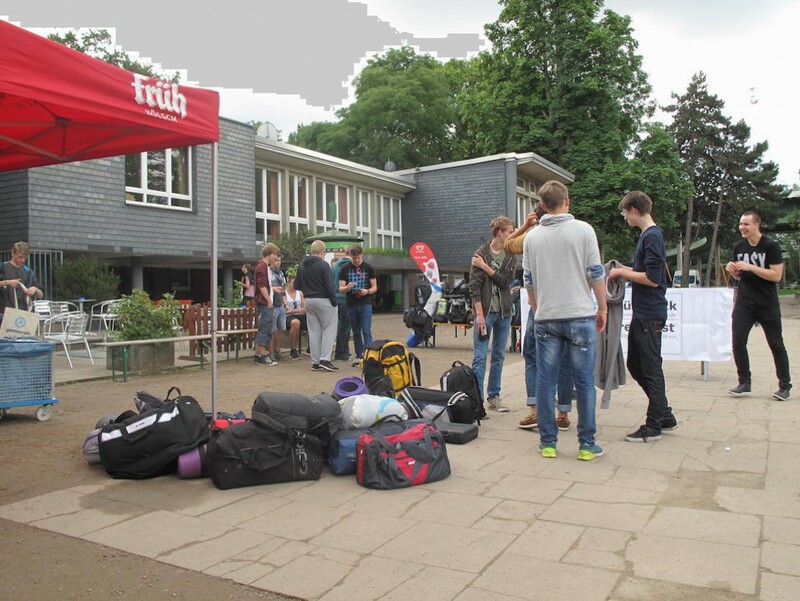 Alternatively, larger groups have the option to book a multi-person tent which comes fully set-up and prepared. 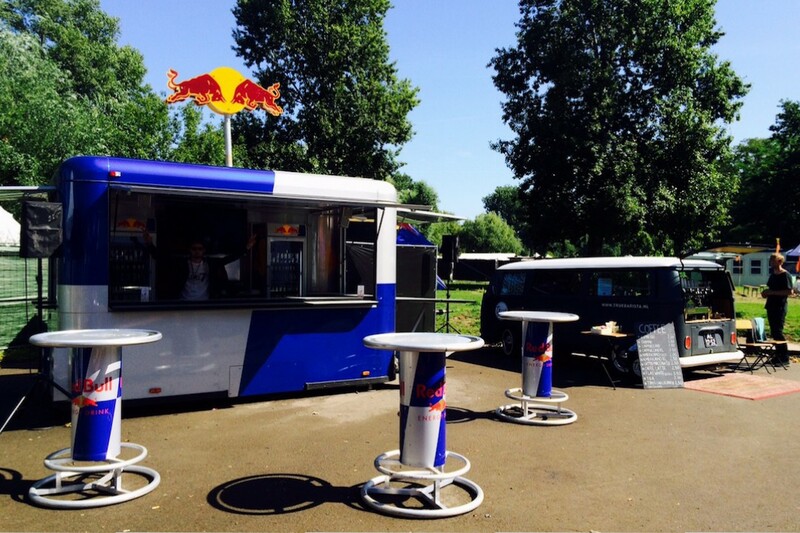 Visitors have the opportunity to buy food and drinks at the campsite. 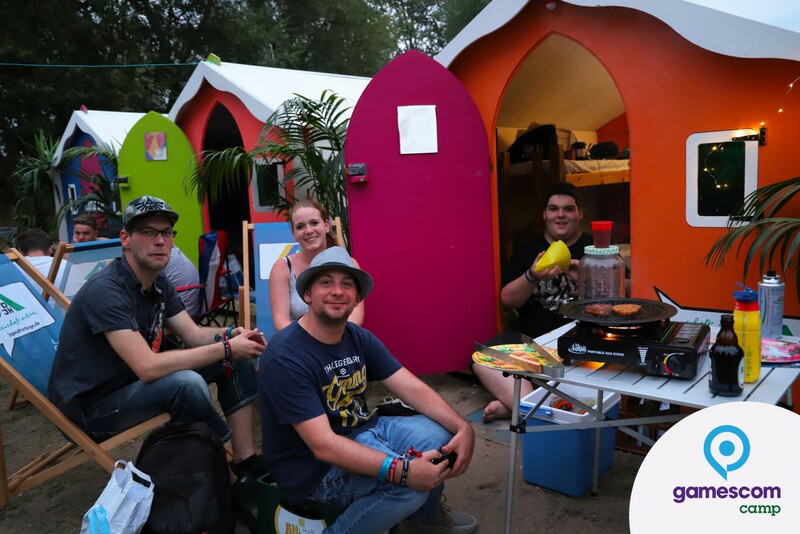 The purchase of Camp tickets and any other paid services offered by PollerWiesen are generally limited to Visitors of full age and full legal capacity. 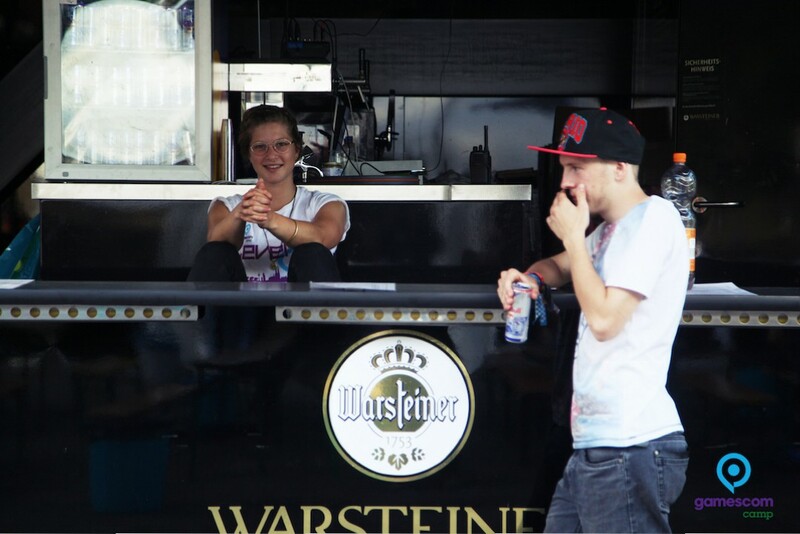 Minors may use the services offered by PollerWiesen if the ticket and any additional services are purchased by an adult. 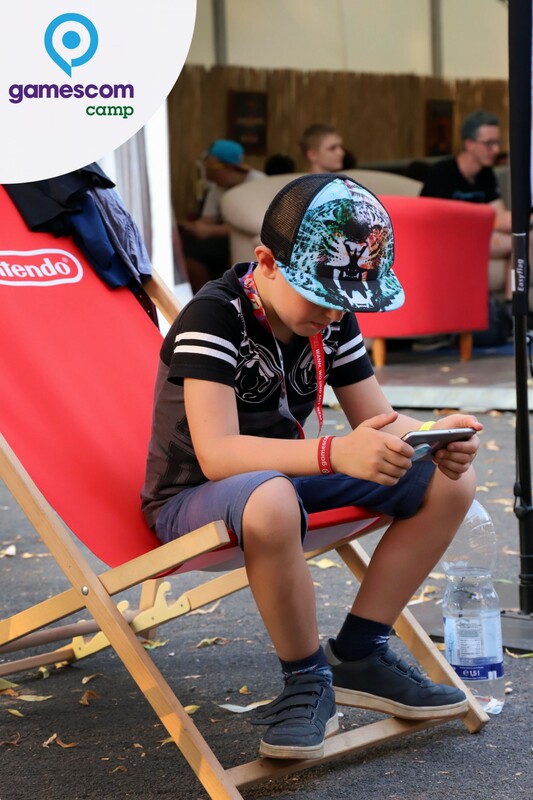 Visitors under the age of 16 are only allowed to stay at the gamescom Camp if they are accompanied by an adult. 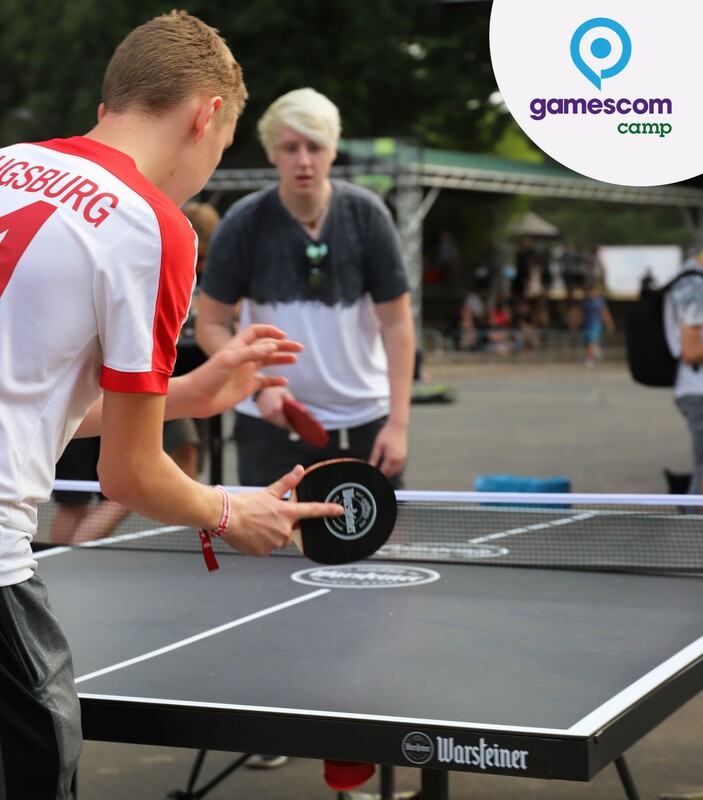 In addition, all visitors under the age of 16 are required to obtain the prior written consent of a legal guardian regarding their stay at the gamescom Camp. This written permission needs to be carried along the entire time of stay. 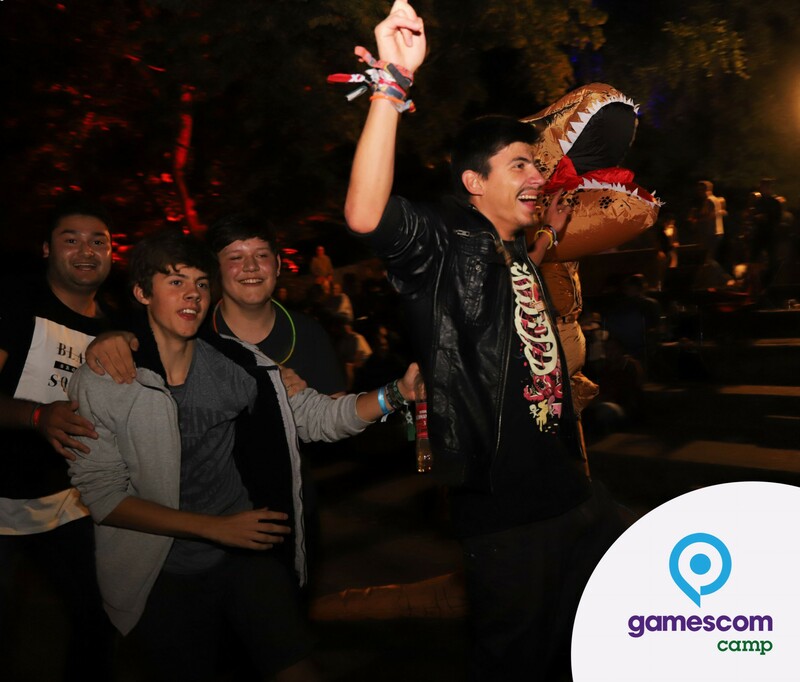 Without the respective document, access to the gamescom Camp will be denied to any person under the age of 16. 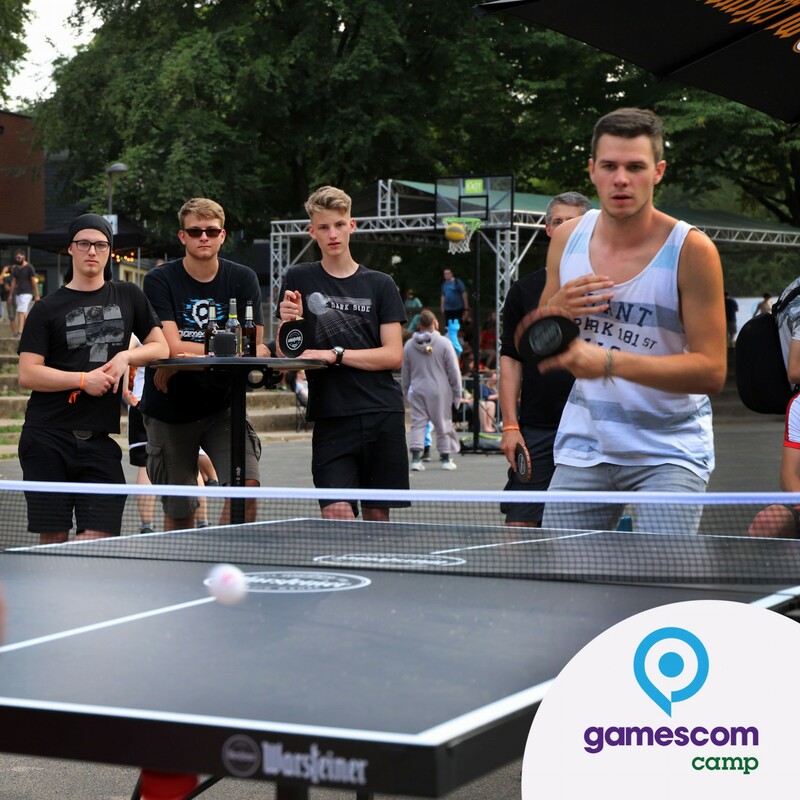 The Visitor has to arrive at the gamescom Camp on the valid day of the ticket during the regular opening hours of the Camp. 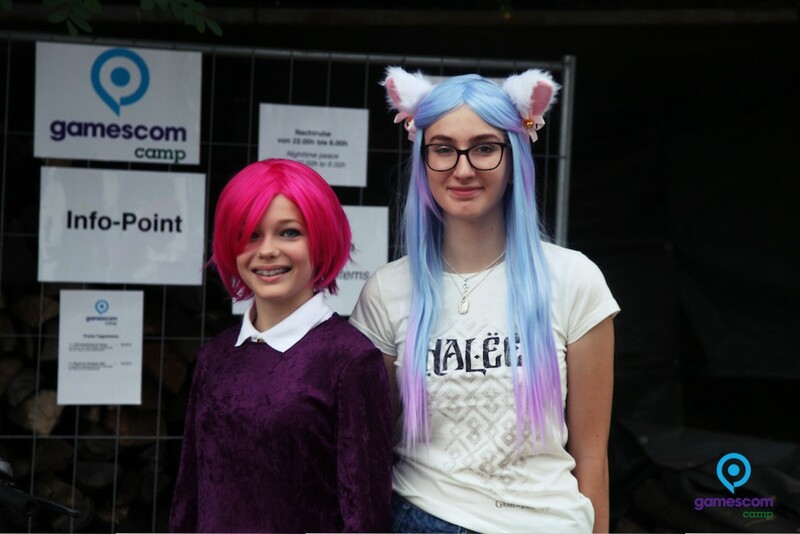 At first, every Visitor must register at the Camp reception. 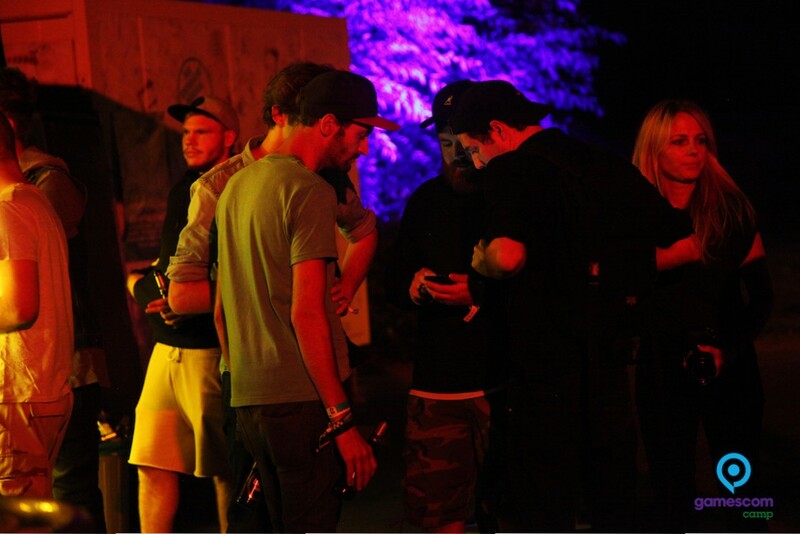 Without successful registration the Visitor will not be allowed to enter the Camp. 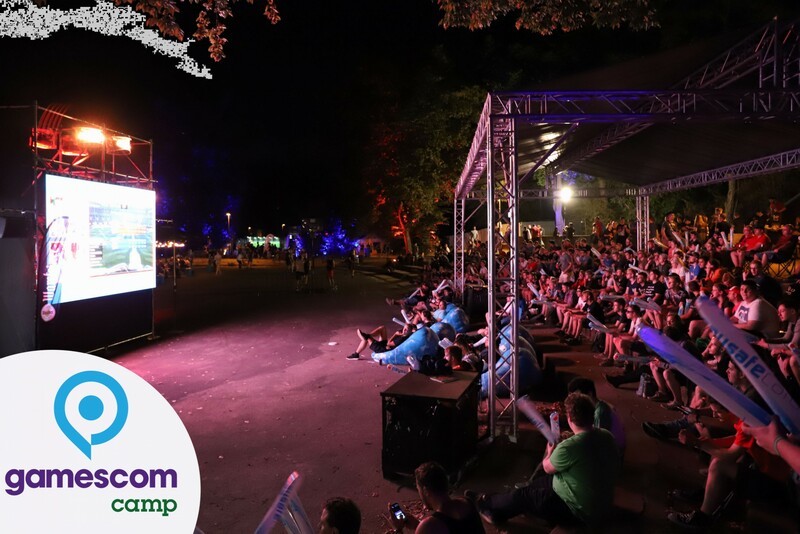 After a diligent review of the ticket, which was previously sent to the Visitor via email, he/she receives the Camp ticket and is assigned to a place for the night. 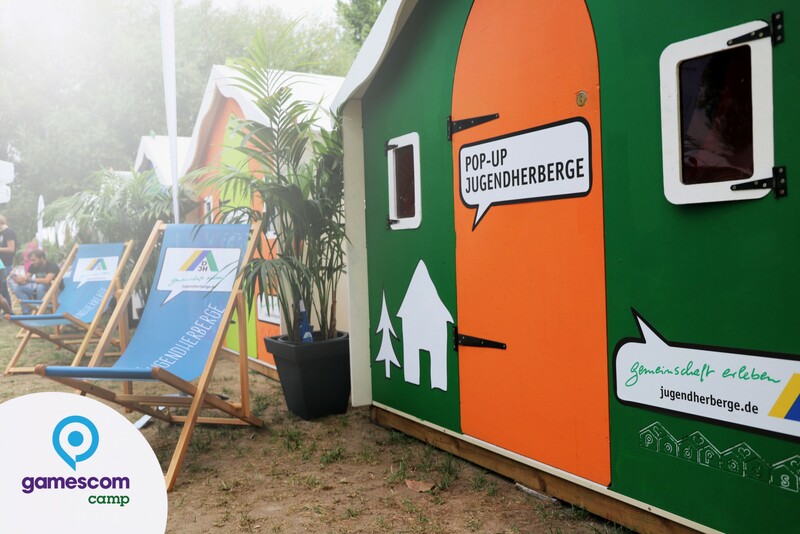 During the registration process, the Visitor also receives the PollerWiesen Camp rules which will apply throughout the entirety of his/her stay at the Camp. 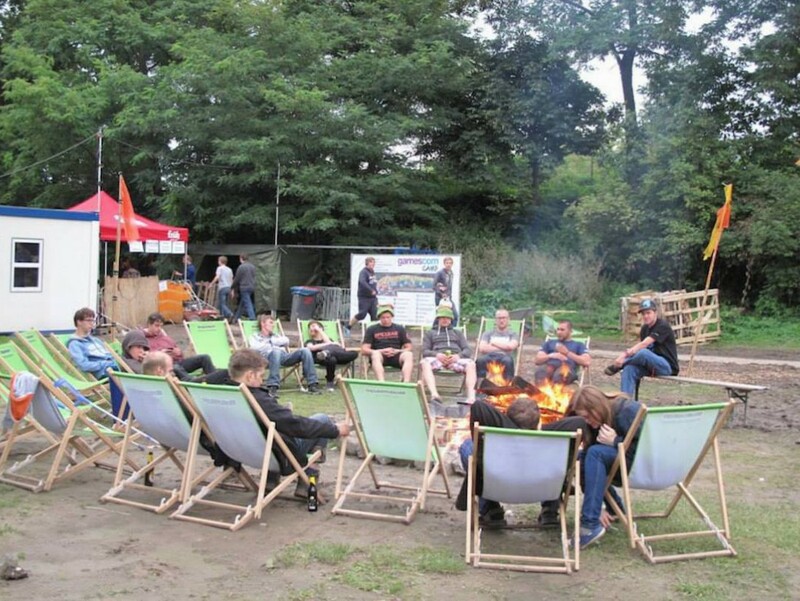 Visitors are obliged to follow the Camp rules at all times. 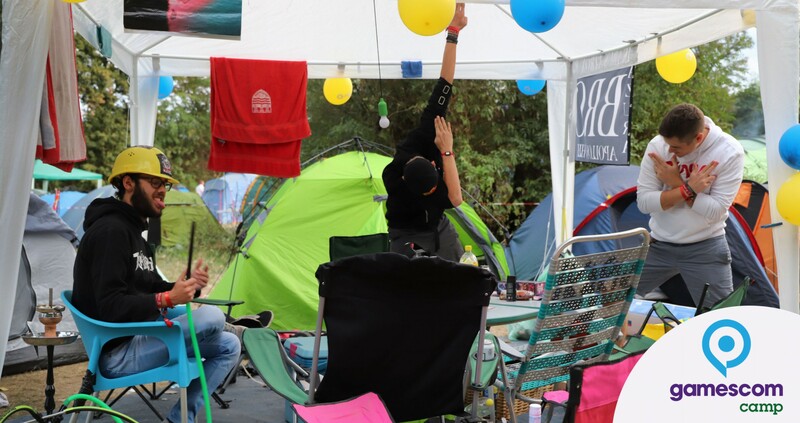 Non-compliance with any of these rules may result in the exercise of PollerWiesen's property rights and the Visitor's exclusion from the campsite as well as a ban on reentering the premises. 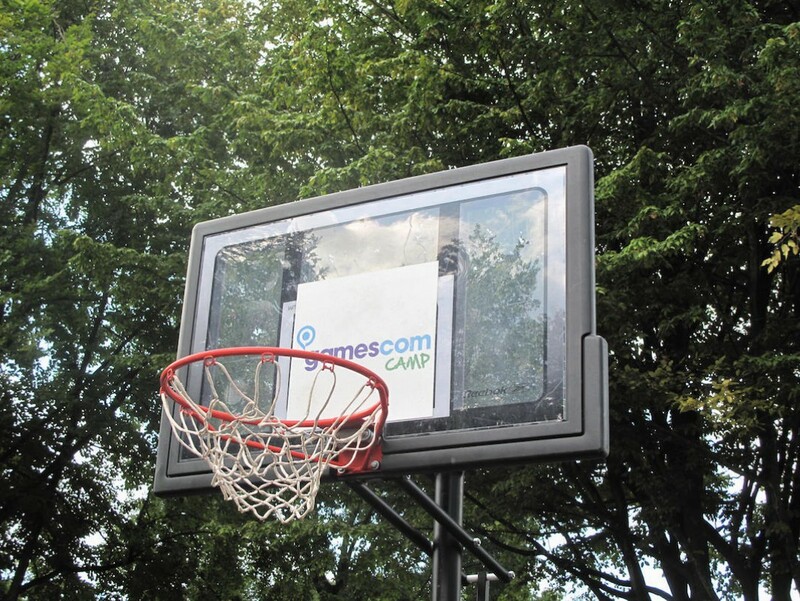 In case of a ban, the Visitor's gamescom Camp ticket is no longer valid. 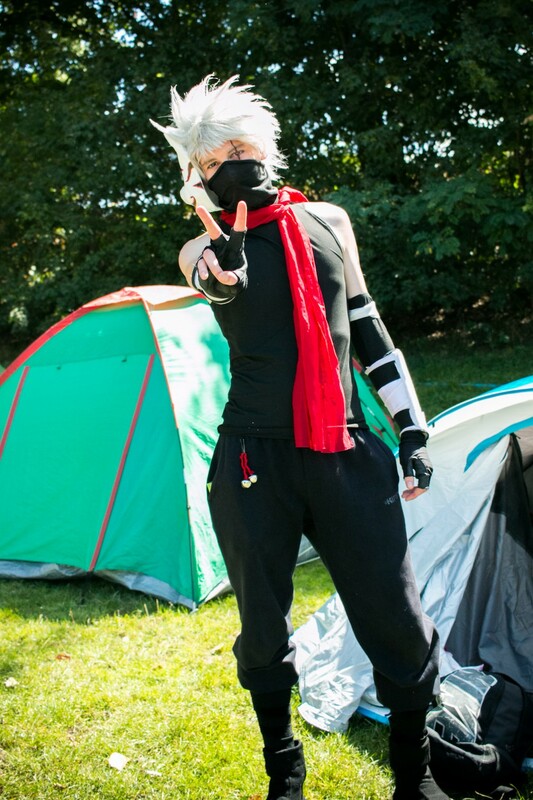 Also upon arrival at the Campsite, each Visitor has to pay a garbage deposit fee. 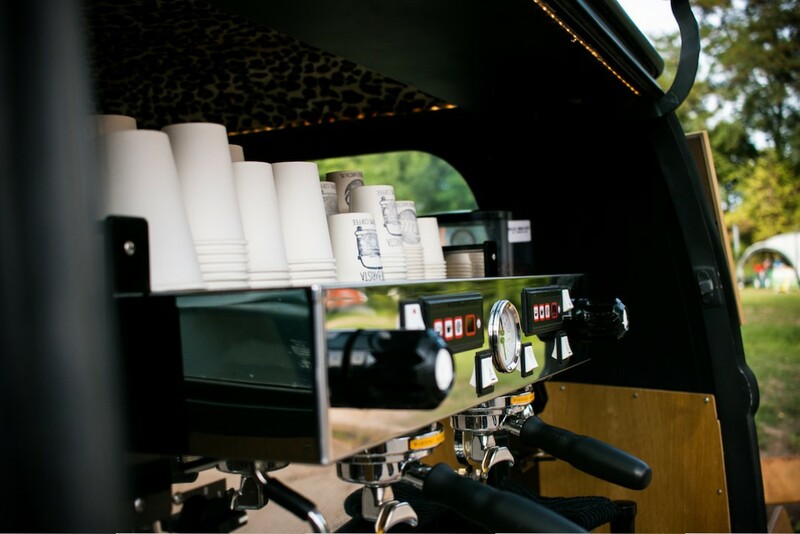 Before departure, after a thorough check of the Visitor's space or tent, this fee will either be reimbursed to the Visitor or kept to pay for any additional costs incurred by cleaning services. 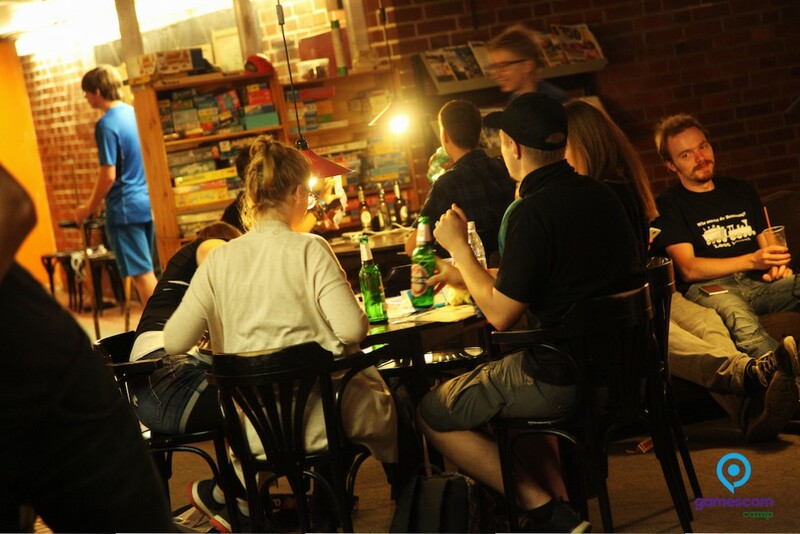 PollerWiesen has prepared a check-out schedule which is available at www.pollerwiesen.de. All Visitors departures must take place within the specified check-out times. 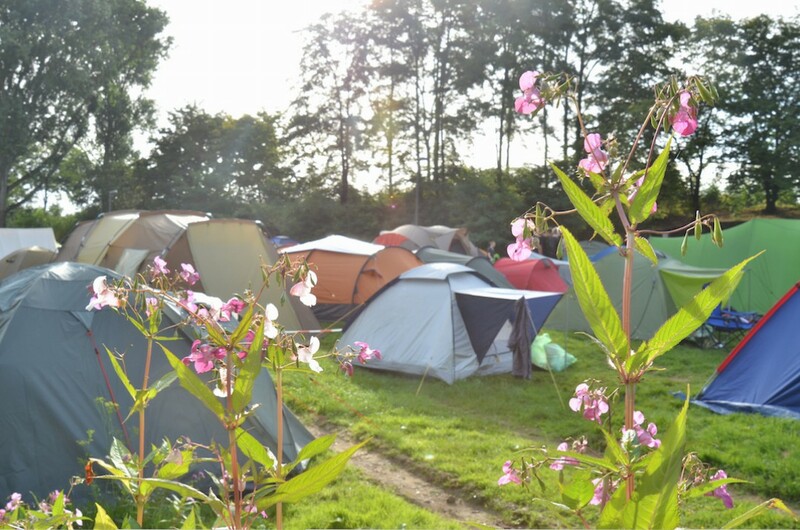 Camp tickets purchased by the Visitor may not be transferred to third parties and therefore must not be resold. 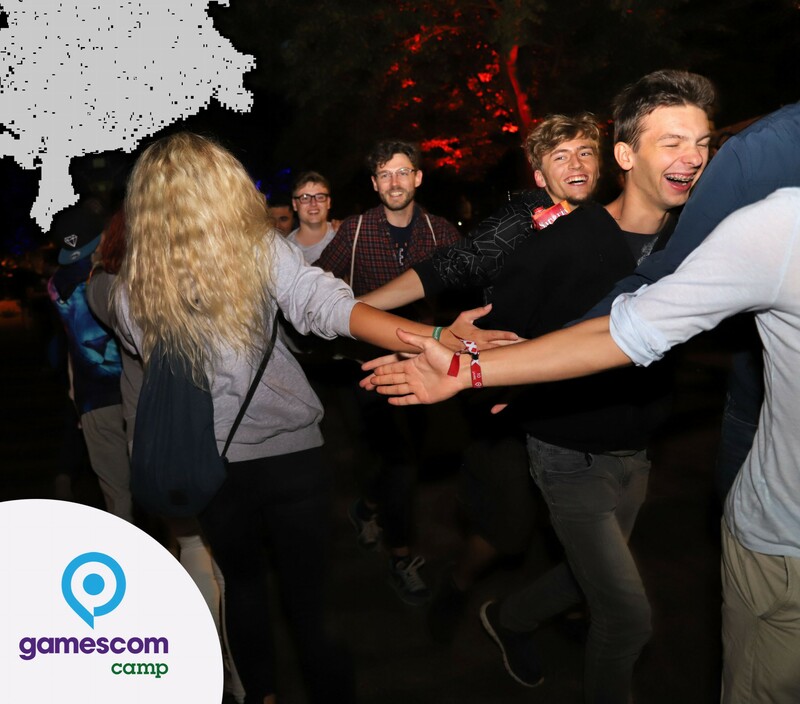 Any misuse or violation of the General Terms and Conditions of PollerWiesen will result in the Visitor's loss of access authorization to the gamescom Camp without refund or compensation of the ticket price. The Visitor's Camp ticket immediately loses its validity at the time any misuse and/or violation of the General Terms takes place. 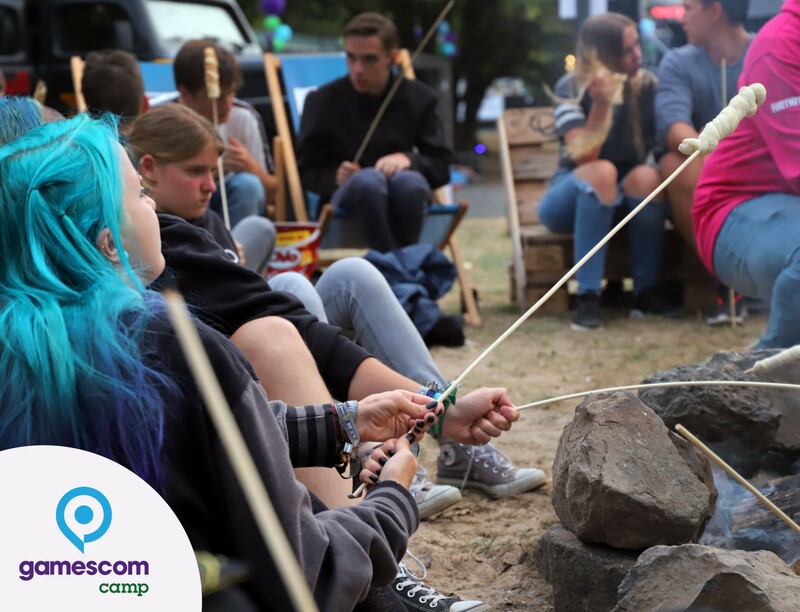 The Visitor agrees that throughout his/her stay at the gamescom Camp, he/she may be subject to audio- and video recordings which will be used by the organizer PollerWiesen to promote the gamescom Camp. For this purpose, the Visitors transfer to PollerWiesen free of charge, any and all proprietary rights of use, ancillary copyrights and any other rights in connection with such audio- and video recordings and thereby also grant PollerWiesen the exclusive, perpetual, worldwide, royalty free license to use and/or modify such recordings in any media. PollerWiesen reserves the right to pass on the transferred rights in whole or in part to third parties. 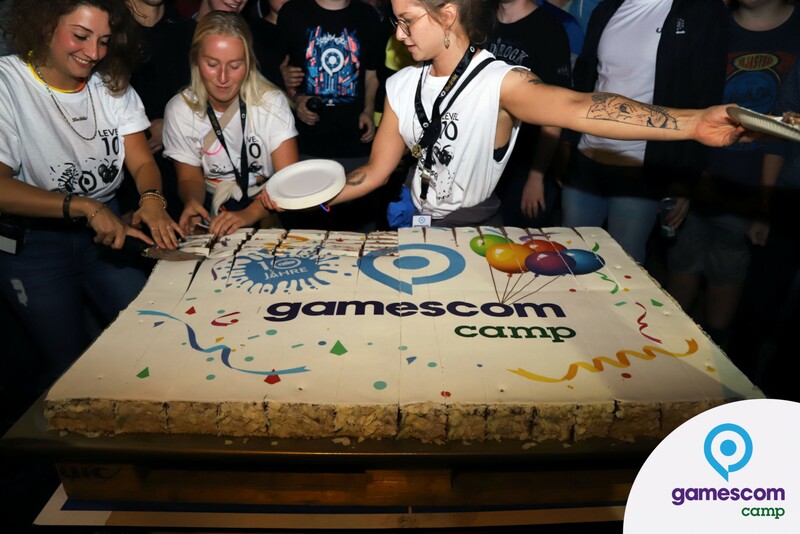 The content and services presented by PollerWiesen at www.gamescomcamp.de do not constitute an offer directed at the conclusion of a contract. 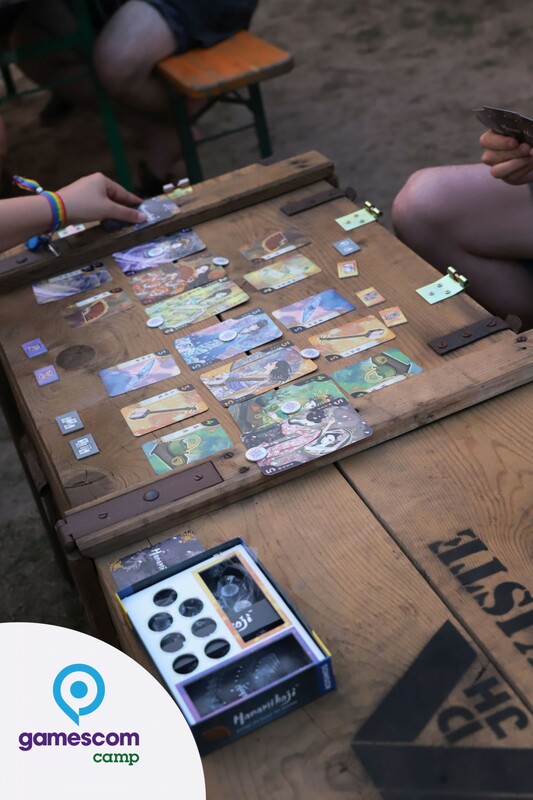 Instead, the Visitor makes a binding offer, by selecting one or more tickets and/or additional services on the website of ticketio or gamescomCamp and by clicking the order button after completing the order form with the information necessary for the purchase and by selecting the desired method of payment. The effective conclusion of a contract with PollerWiesen depends on the payment method selected by the Visitor: When paying with PayPal or credit card the contract becomes effective upon receipt of an order confirmation email from ticketio; in case of advance payment by bank transfer the contract becomes effective after full payment of the purchase price; in the case of direct debit the contract becomes effective upon receipt of an order confirmation email from ticketio. 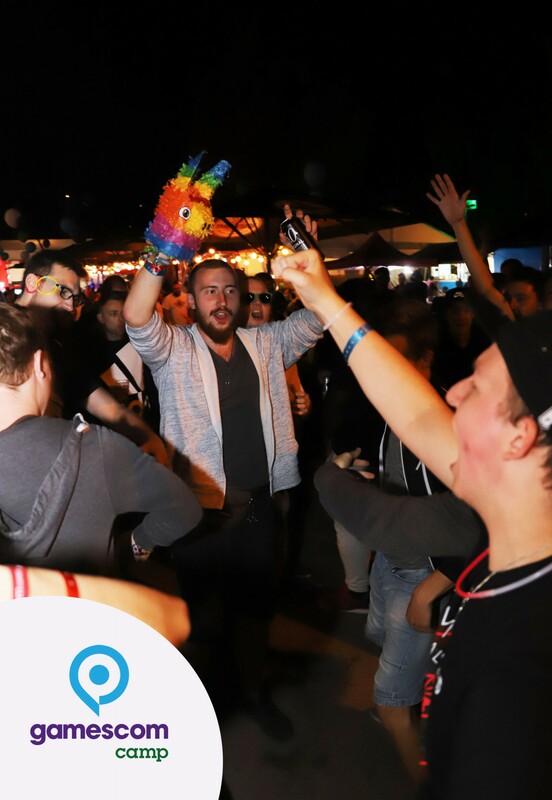 The effectiveness of the contract between PollerWiesen and the Visitor always depends on the availability and deliverability of the tickets ordered by the Visitor. If tickets of a certain category are no longer available, the conclusion of a contract with the Visitor may be refused. Additionally, in the event of good cause, PollerWiesen reserves the right to reject the conclusion of a contract with the Visitor at any time. 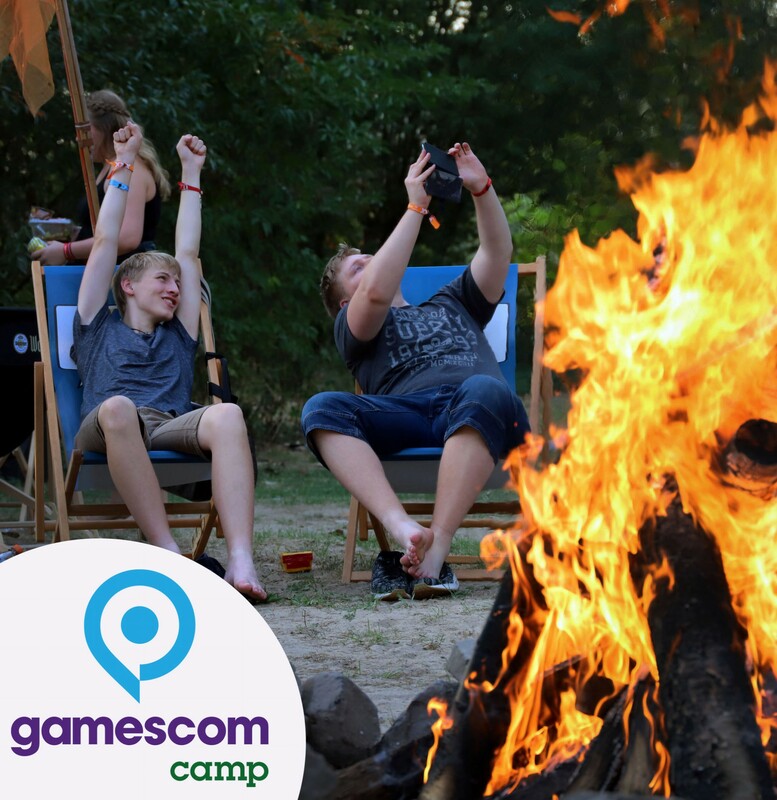 Ticket prices for the Camp and other services offered by PollerWiesen can be found on the website of gamescomCamp. All ticket prices are including VAT and presale fee. 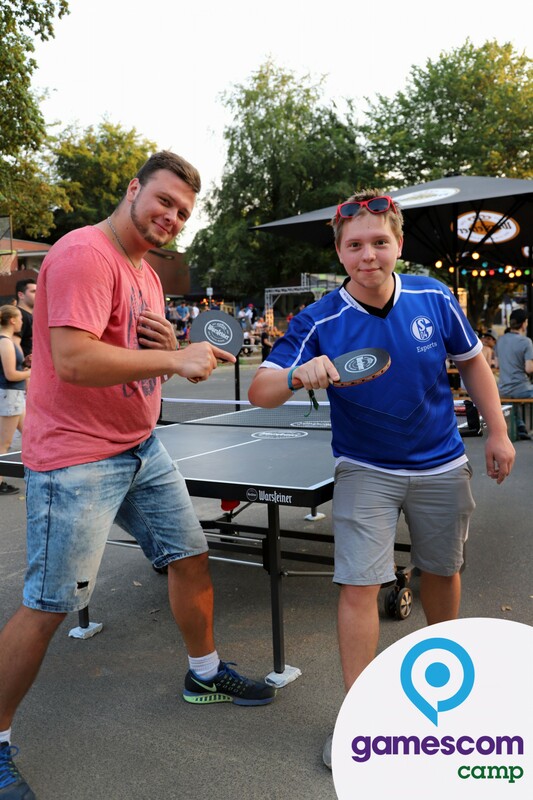 Not included are costs that may be charged by individual payment providers as well as the statutory culture tax (so-called "bed tax") imposed by the city of Cologne. All applicable costs payable by the Visitor are summarized at the end of the ordering process. The Visitor is not subject to any additional charges or hidden costs. 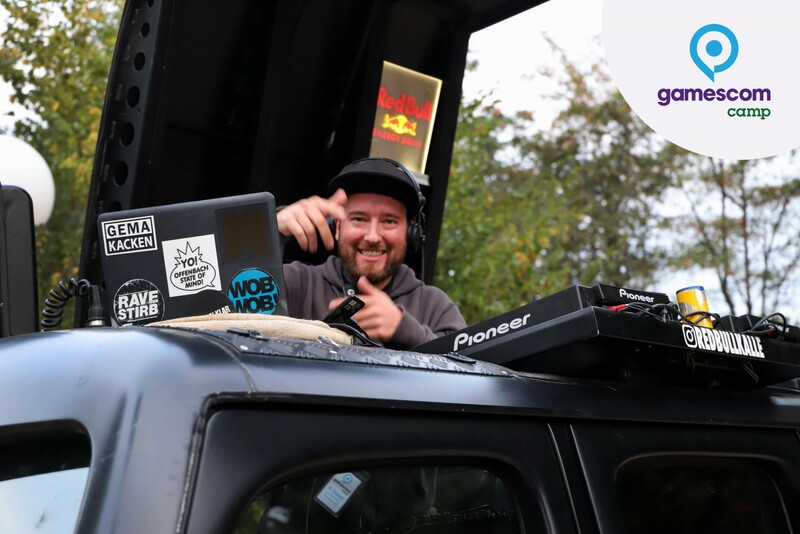 To pay for the tickets and optional services offered on ticketio, the Visitor may choose from various payment options, such as PayPal, credit card, bank transfer or direct debit. 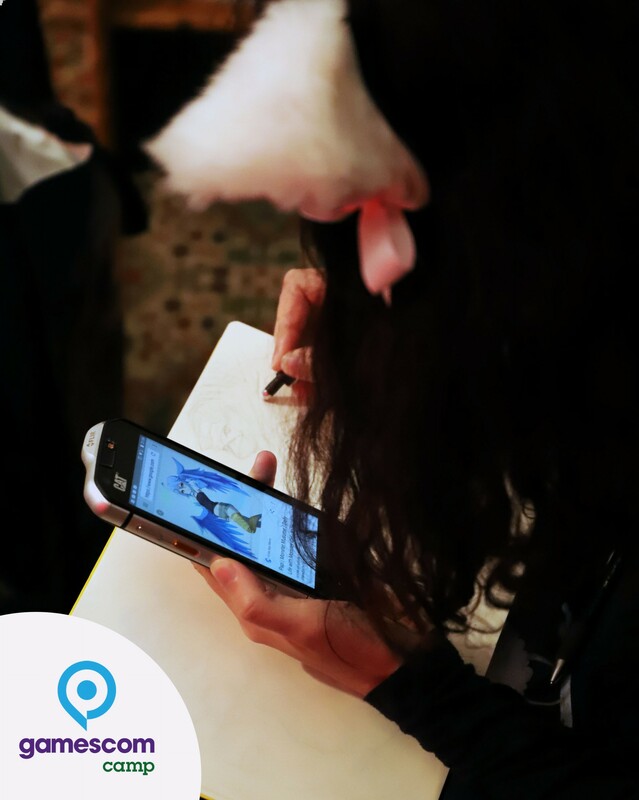 The Visitor may be subject to additional costs for the internet connection used for the ticket purchase by the respective internet service provider. The order confirmation email sent to the Visitor after the successful ticket purchase also contains an invoice. 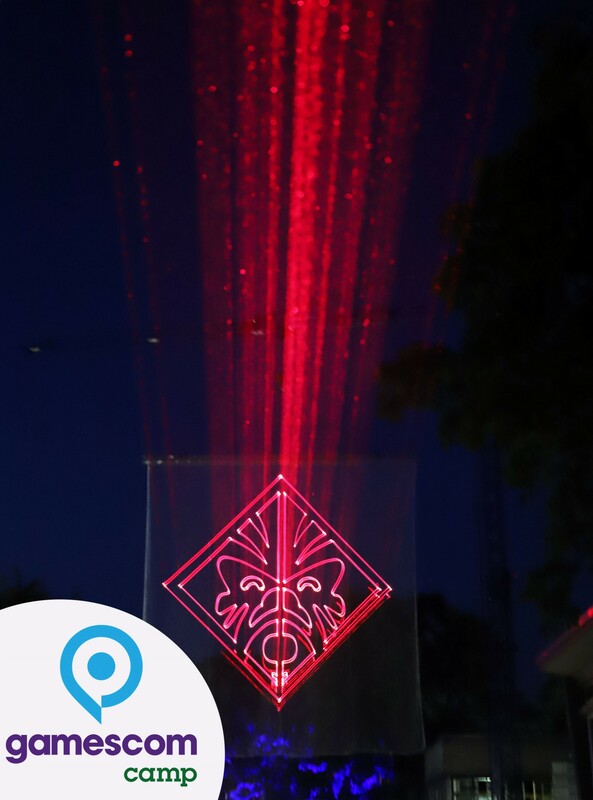 After full and successful payment of the purchase price, the Visitor receives an email at the email address he/she provided during the ordering process which contains a barcode. This email must be printed by the Visitor. 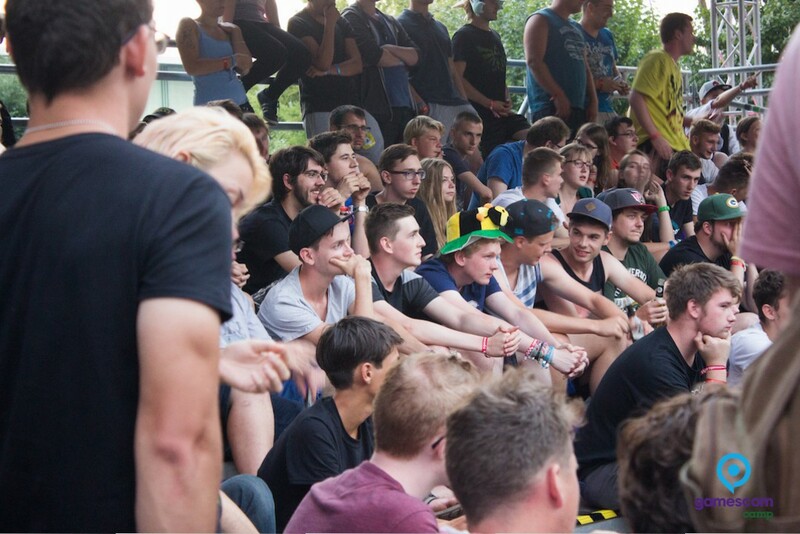 Tickets that have been issued incorrectly will be exchanged by PollerWiesen during the registration process at the Camp. 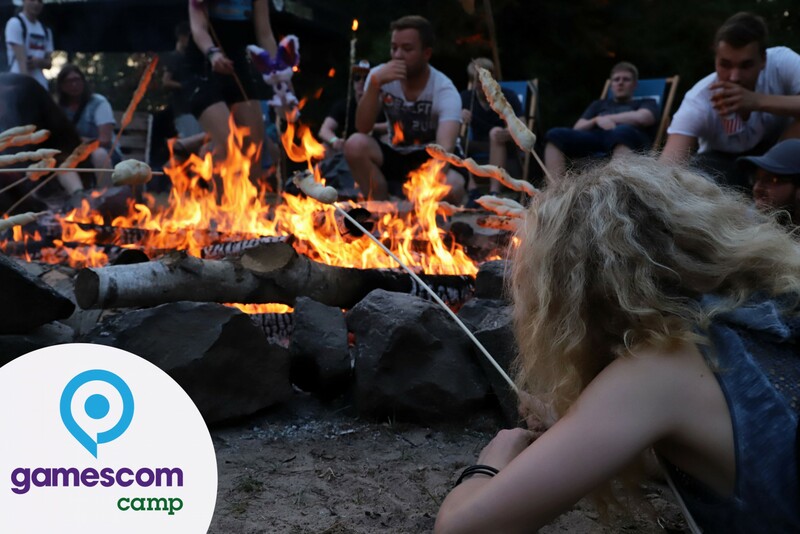 Camp tickets are generally excluded from the right of exchange and return. In the event of the ticket being lost, the Visitor shall have no right to a replacement. 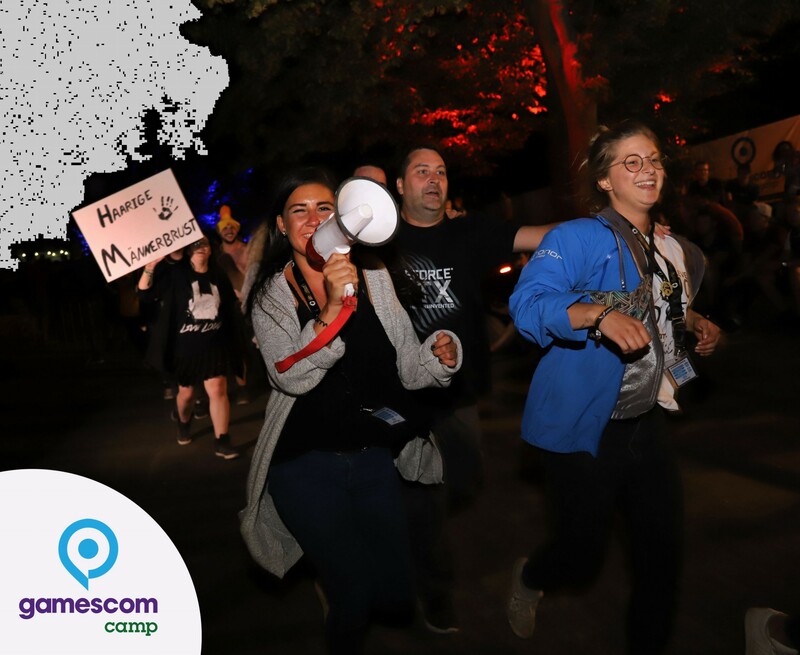 If the gamescom Camp is canceled, the German statutory provisions regarding the right of return apply. 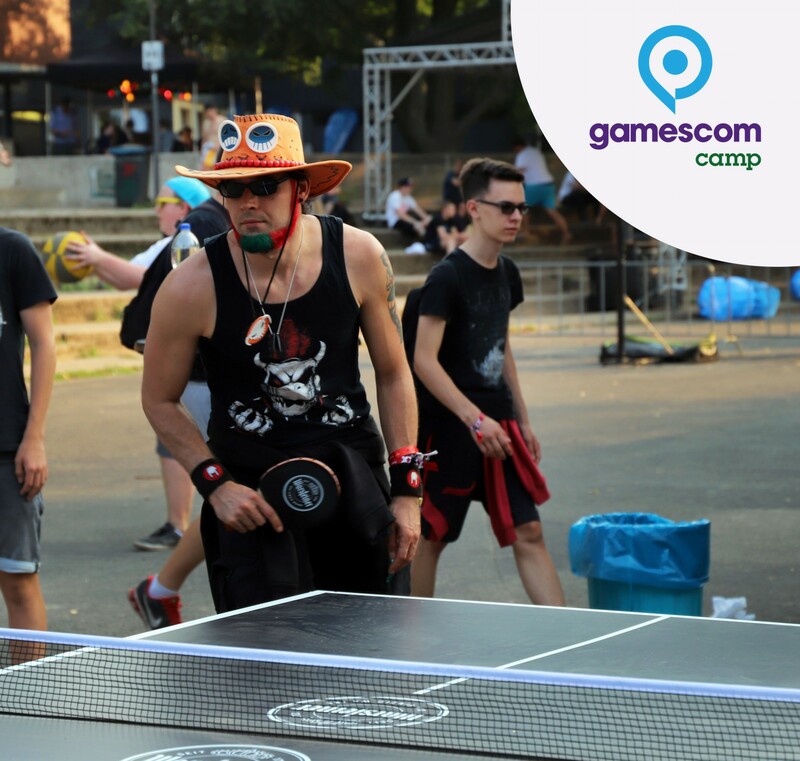 In the context of the internet-based offer at www.gamescomcamp.de, PollerWiesen provides services in the field of leisure activities within a certain period of time. According to § 312b, para. 3, no. 6 German Civil Code (BGB), the contracts to be concluded with PollerWiesen are therefore not to be considered distance selling contracts. The cancellation of a contract or the return of tickets pursuant to § 312 BGB shall be excluded. The Visitor may only exercise his/her right to offset if counter-claims are undisputed by PollerWiesen or have been established by law. The Visitor's retention right shall only be valid if the counterclaim is based on the same contract. 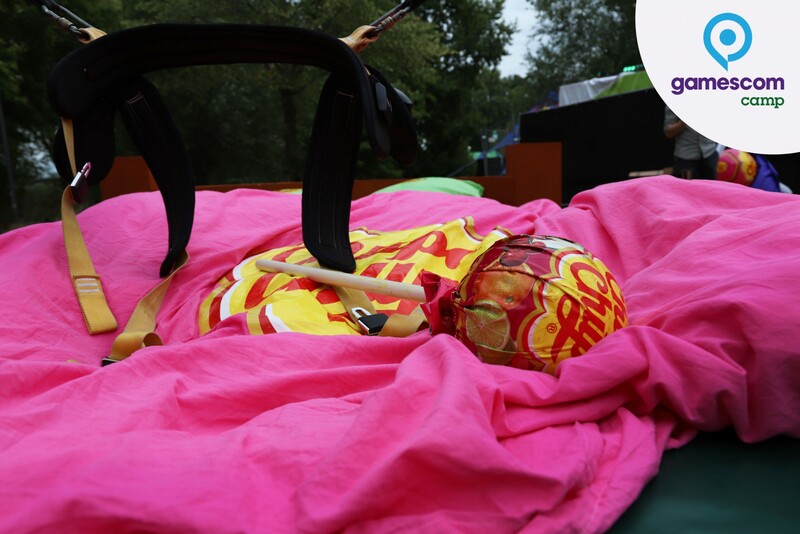 The Visitor uses the services offered at www.gamescomcamp.de at his/her own risk. 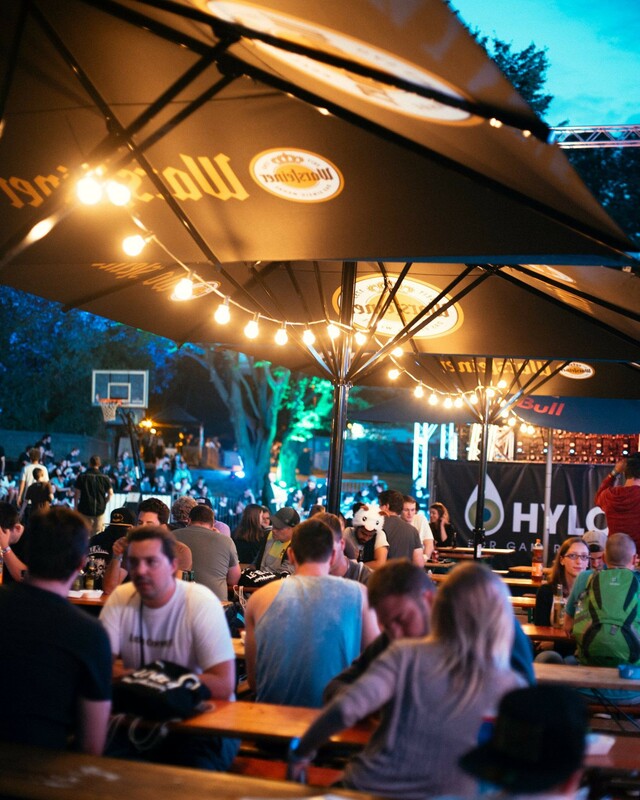 PollerWiesen does not assume any liability for the correctness of the number of tickets that are purchased online nor the correctness of the data provided by the Visitor during the online ordering process. 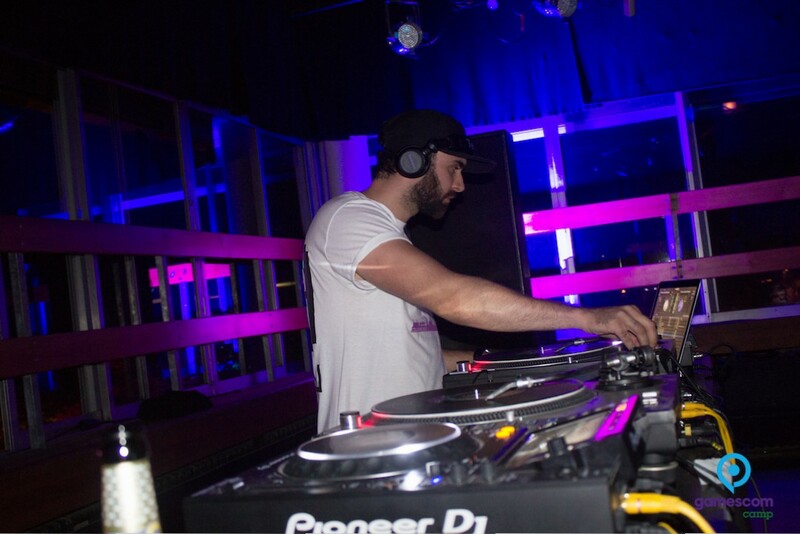 Furthermore, PollerWiesen cannot be held liable for false ticket orders and/or the provision of false- and/or stolen information of third parties. PollerWiesen's liability for the breach of contractual duties shall be limited to wrongful intent and gross negligence. In case of mild negligence, PollerWiesen may only be held liable for the violation of material contractual obligations. In this case, the liability of PollerWiesen shall be limited to the amount of damages typically foreseeable for this type of contract on the day of the conclusion of the contract. 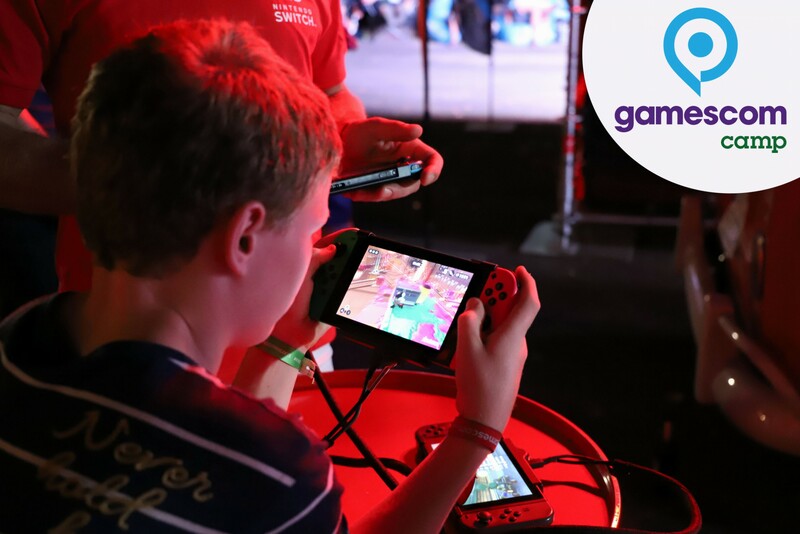 The liability for injury to life, body and health, according to the Product Liability Law and the assumption of a guarantee or fraudulent concealment of defects related to the services offered at www.gamescomcamp.de remains unaffected. 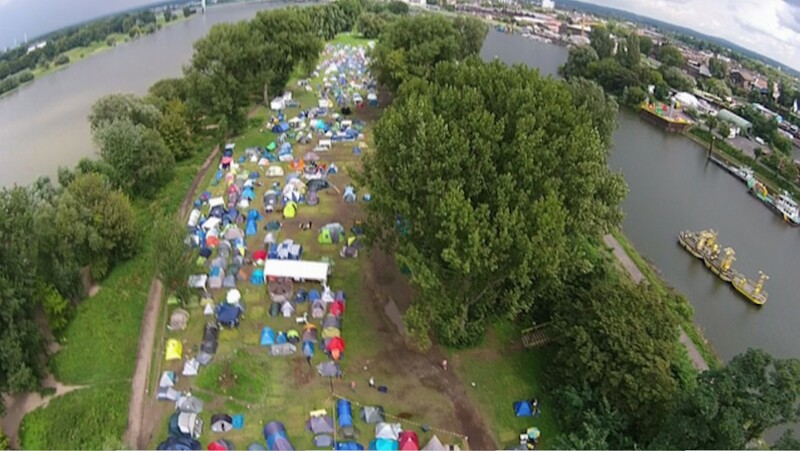 PollerWiesen does not assume any liability for damages (in particular damages to persons and goods) culpably caused by the Visitor during his stay at the Camp. 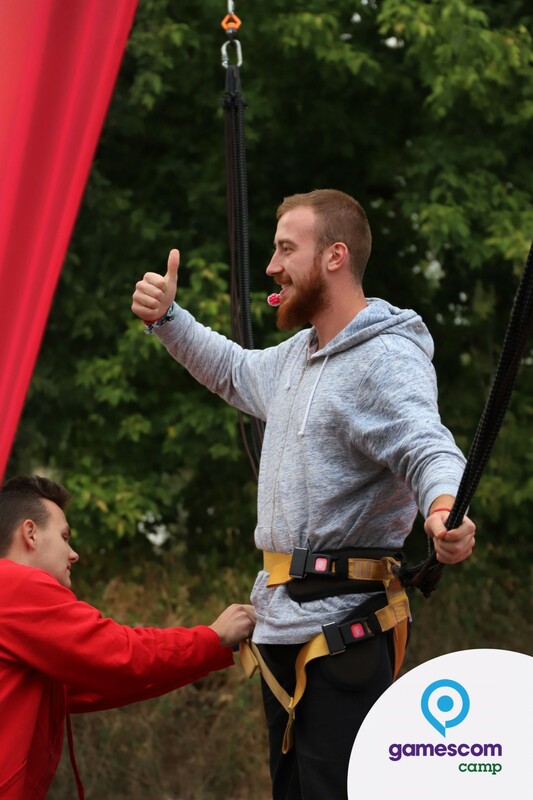 In this connection, the Visitor hereby indemnifies and holds PollerWiesen harmless from and against any unauthorized use of third parties and from any expenses and legal costs that may arise in this respect. 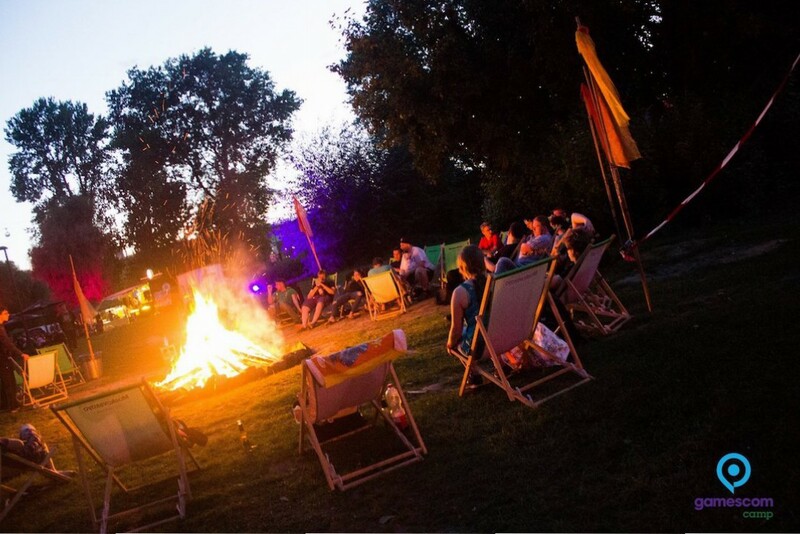 PollerWiesen shall not be liable for personal injury of the Visitor which he/she might incur at his/her own fault during his/her stay at the Camp, particularly by participating in the Camp activities offered by PollerWiesen. 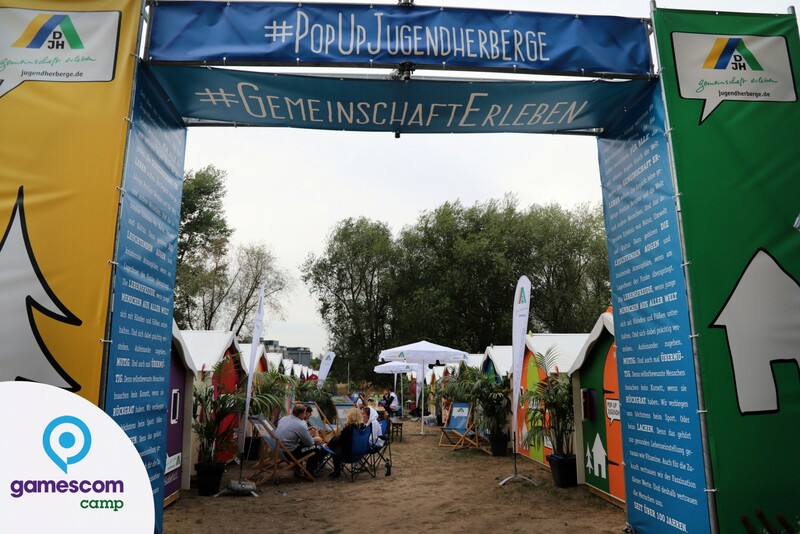 PollerWiesen does not assume any liability for damages and/or loss of property that was brought to the Camp by the Visitor to be used during the duration of his/her stay. 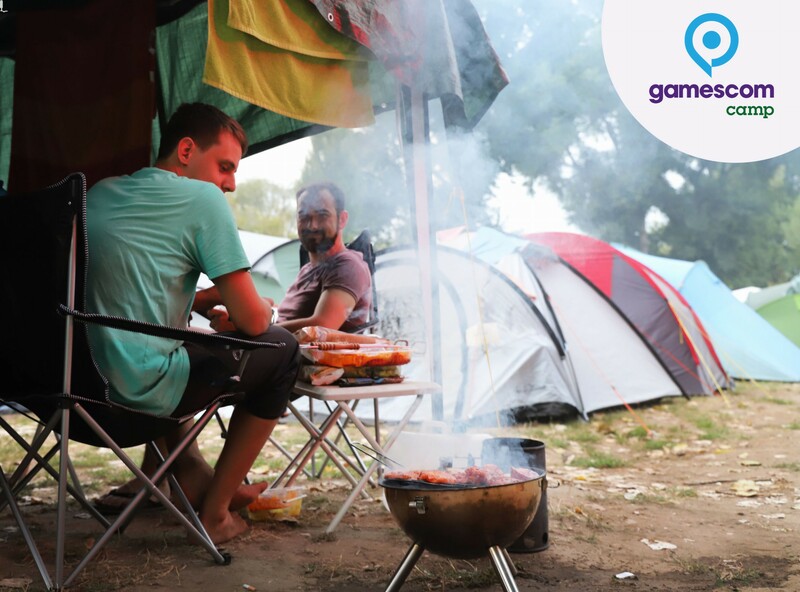 Any liability for property that was left and/or forgotten at the Camp after departure is also excluded. 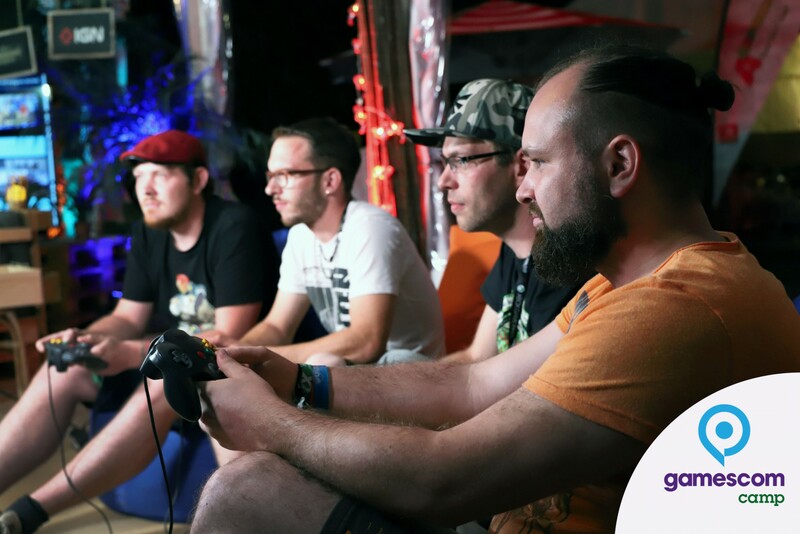 PollerWiesen makes every effort to ensure that their services offered at www.gamescomcamp.de and www.ticketio.de are permanently and fully available to Visitors. However, PollerWiesen does not assume any liability for the permanent usability and accessibility of the services offered, transmission delays, transmission errors and/or server failures as well as the related constraints caused by such. It is important to note that, due to necessary maintenance activities, the entire website and/or certain services may be temporarily unavailable. PollerWiesen expressly reserves the right to discontinue the offered services in whole or in part at any time without notice and/or to restrict their availability. 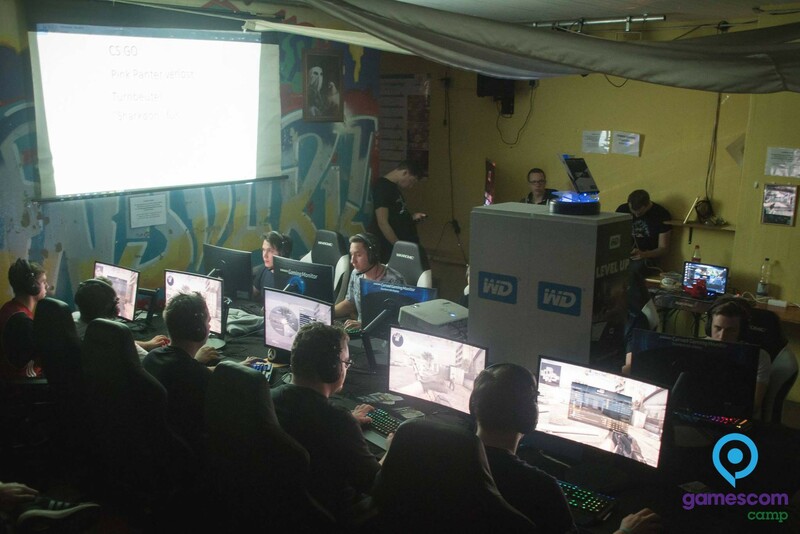 The use of the services offered at www.gamescomcamp.de is subject to the privacy statement of PollerWiesen which can be accessed from every page of the domain www.gamescomcamp.de. The Visitor expressly agrees to receive legal declarations of PollerWiesen via email. An email is considered received if it is available and saved to the inbox of the Visitor or to the inbox of his/her internet provider. PollerWiesen reserves the right to change or amend these General Terms and Conditions at any time with future effect. To the extent relevant for the contractual relationship with PollerWiesen, the Visitor shall be informed about any material changes to these Terms and Conditions via email at the email address provided by him/her during the registration process. In order for the changes to apply to the existing contractual relationship, the Visitor will be asked to accept the new Terms and Conditions by clicking a confirmation link at the end of such email. 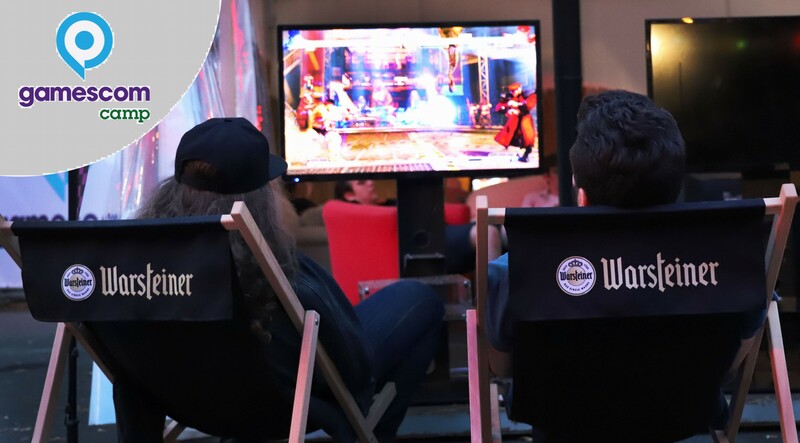 The Visitor agrees to be informed about news and changes regarding the services offered at www.gamescomcamp.de via newsletter, and hereby expressly accepts to receive such newsletters via email at the email address provided by him/her during the registration process. The Visitor has the option, to unsubscribe from the newsletter at any time by clicking the link at the bottom of each newsletter. In case any of these Terms and Conditions proves invalid and/or incomplete, the validity of the other terms and conditions shall remain unaffected. The invalid clause shall be replaced by a legally permitted provision which best coincides with the intent of the invalid provision. The same applies to any contractual gaps. The place of jurisdiction for all disputes arising out of or in connection with these General Terms and Conditions shall be governed by the laws of the Federal Republic of Germany. If the Visitor is a merchant, a legal entity under public law or a public fund, the exclusive place of jurisdiction shall be Cologne, Germany. The same jurisdiction applies if the Visitor has no general jurisdiction in Germany or if his/her domicile or permanent residence is unknown at the time of action. The laws of the Federal Republic of Germany apply. UN Sales Law (CISG) shall be excluded. In case of any differences between the German and the English version of these General Terms and Conditions, or in cases of doubt, the German version shall prevail. 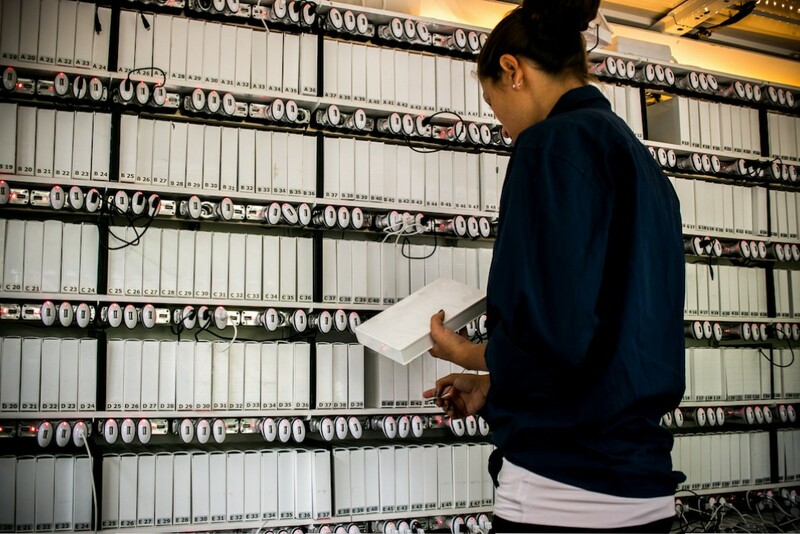 You always have the right to request information about your stored data, its origin, its recipients, and the purpose of its collection at no charge. You also have the right to request that it be corrected, blocked, or deleted. 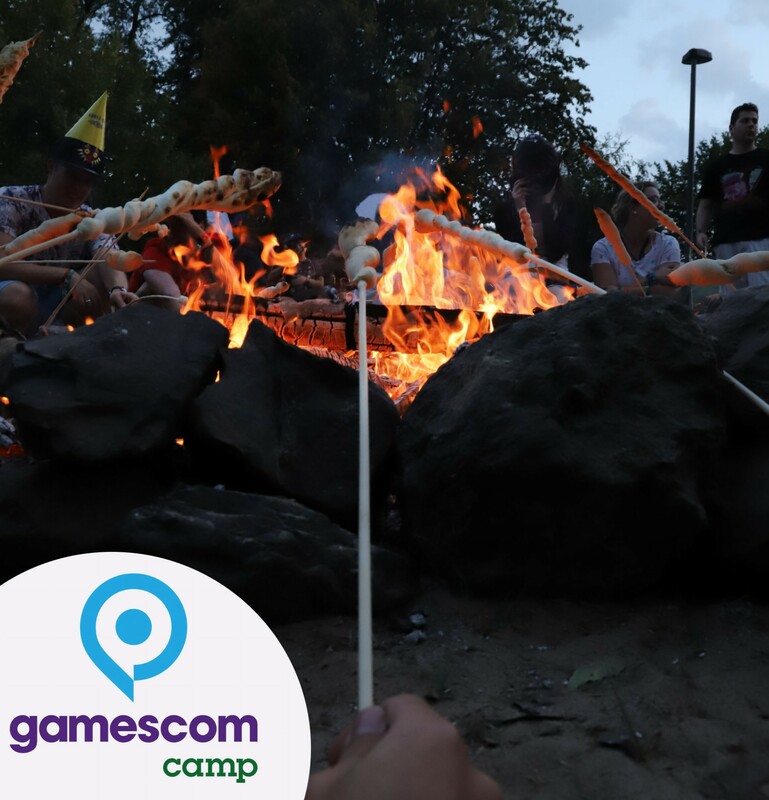 You can contact us at any time using datenschutz @ gamescomcamp.com or the address given in the legal notice if you have further questions about the issue of privacy and data protection. 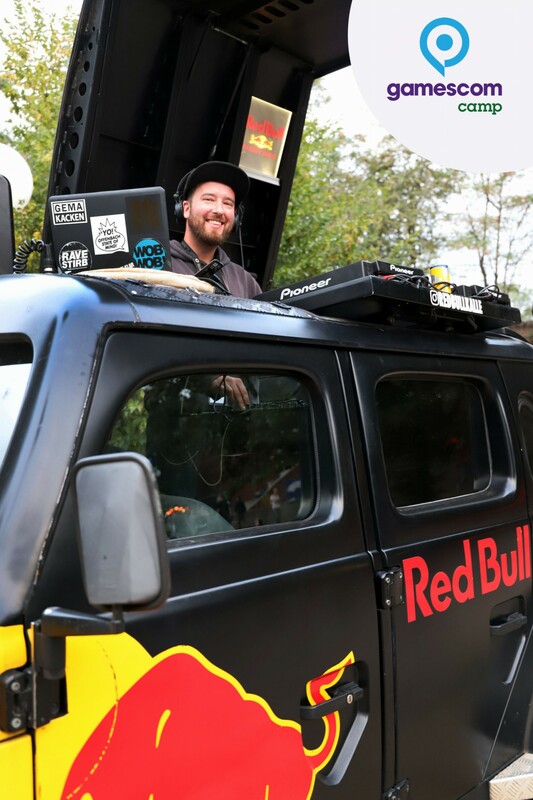 You may also, of course, file a complaint with the competent regulatory authorities. 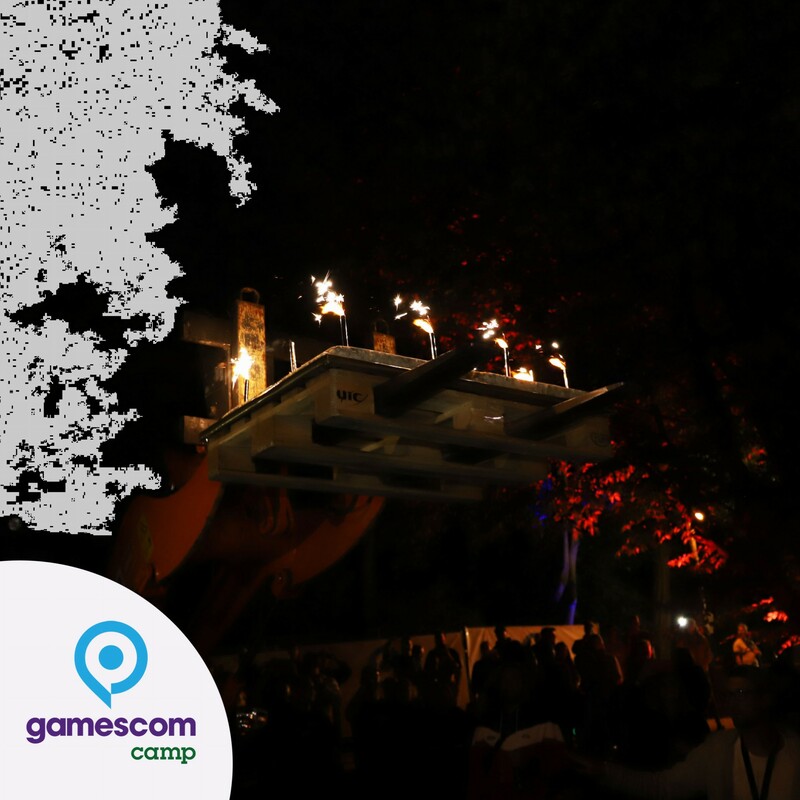 By subscribing to our newsletter you confirm in the future to be informed about events of gamescomCamp and partner events. 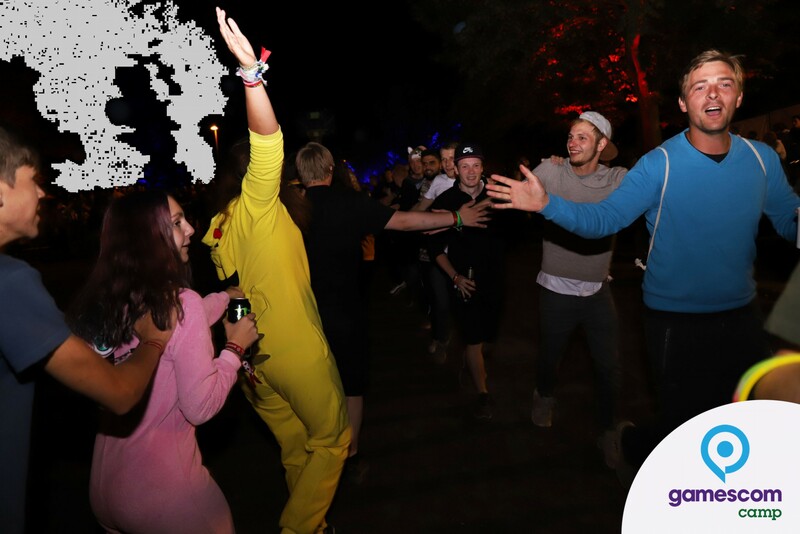 If you receive information about current or future events from our company without having previously registered on our website for advertising services, this is done with your ticket purchaser data specified in a ticket purchase to carry out pre-contractual measures in accordance with Art. 6 para. 1 p. 1 lit. 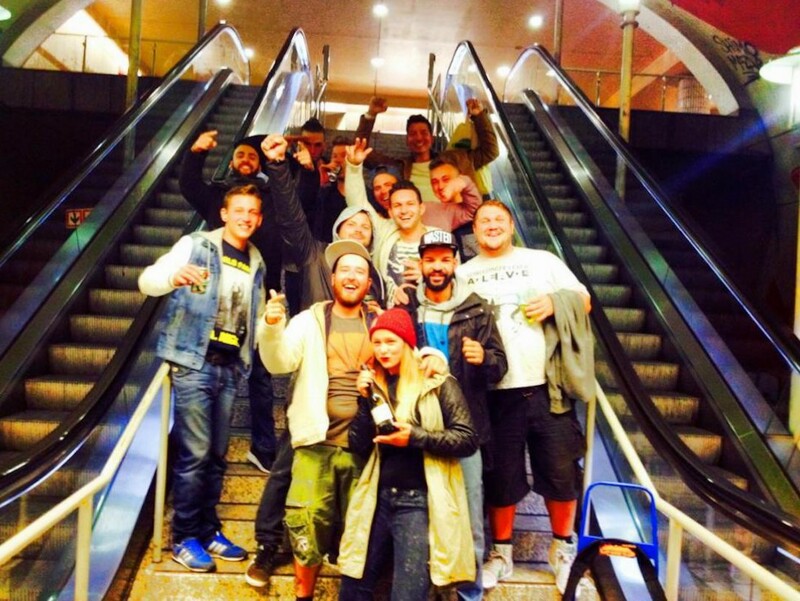 b DSGVO and / or on the basis of a balance of interests pursuant to Art. 6 para. 1 lit. f DSGVO. The starting point for the decision to make a decision is Recital 47 (ErwGr.) 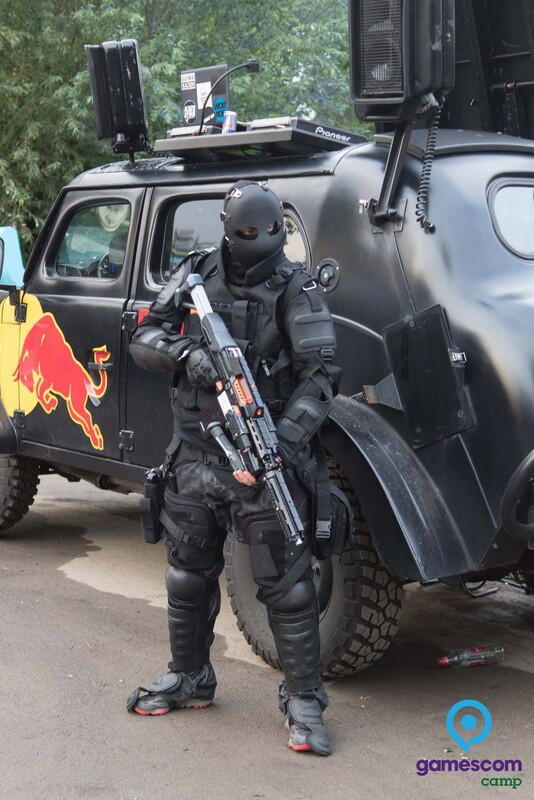 DSGVO. 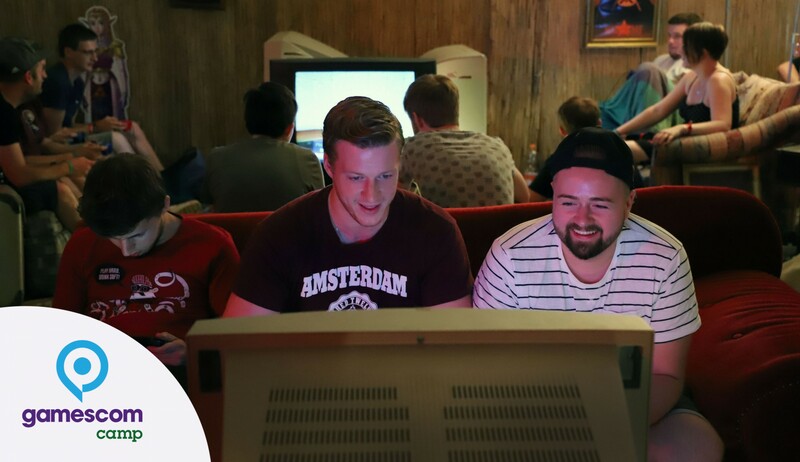 Please find all info regarding the gamesomCamp here. If you have any further questions please contact us. 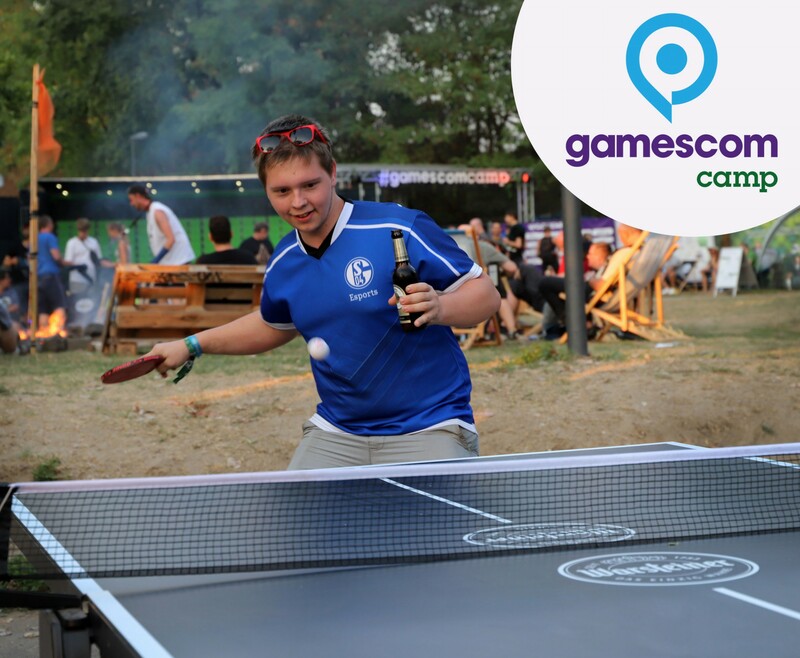 The gamescomCamp isn’t only a convenient and inexpensive place to sleep for visitors of the gamescom. 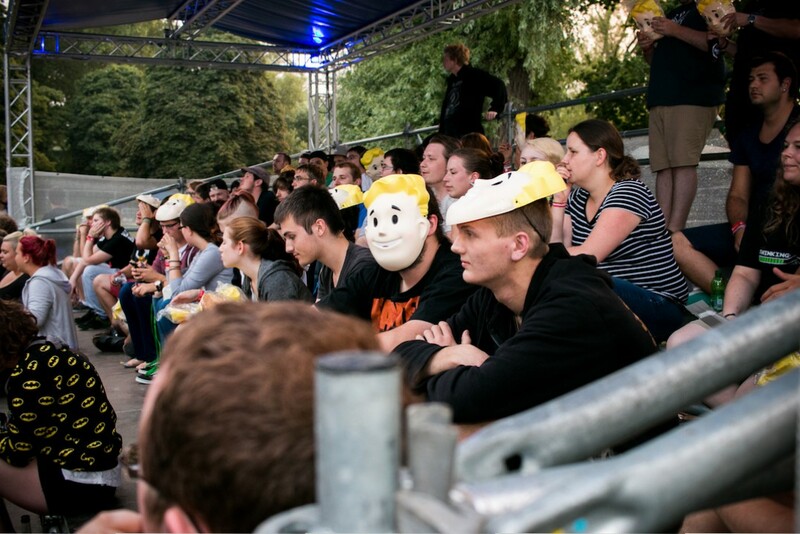 It’s also Europe’s largest camping for gaming fans, a meeting point for like-minded people to meet in real life. 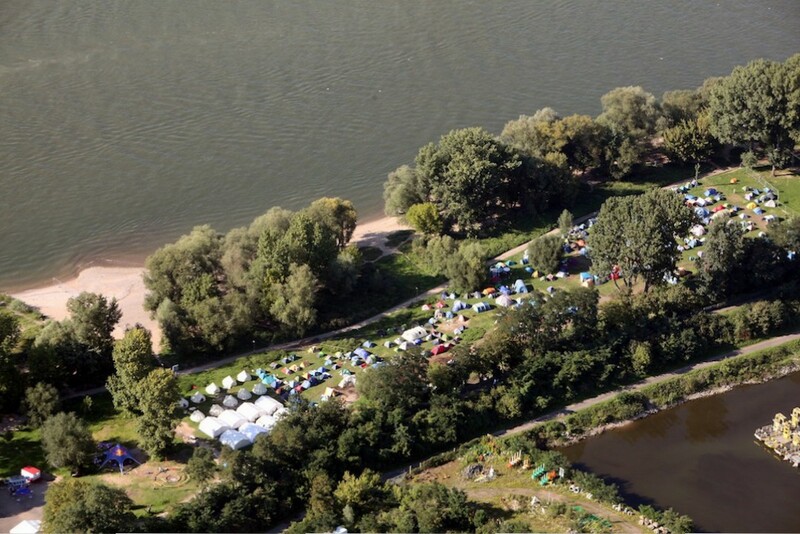 In walking distance from the fairground Kölnmesse, the Jugendpark is located directly at the Rhine River on a promontory and with it’s lush green lawn and old trees it’s the ideal natural reservoir to cool down from the sometimes hectic day-to-day at the fair. 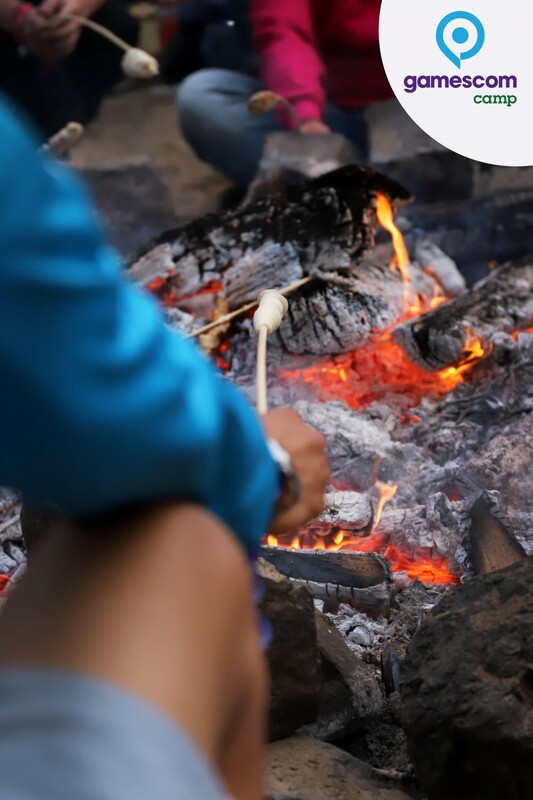 Whether you prefer to hang out at the camp fire, the free wifi tent, or at billard in the cafe: there’s something to do for everyone. 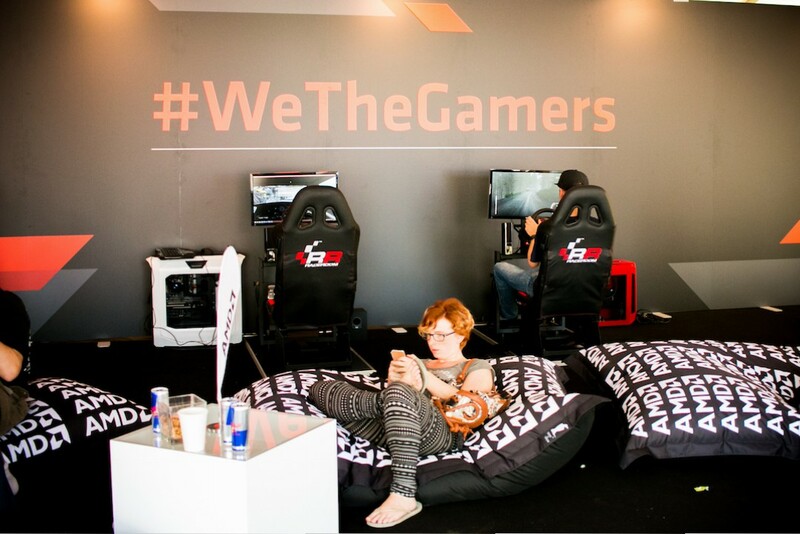 In 2016 we expect around 3500 gamers, that stay for up to 10.000 overnight stays, from all over the world in the time between Aug 20th-26nd. 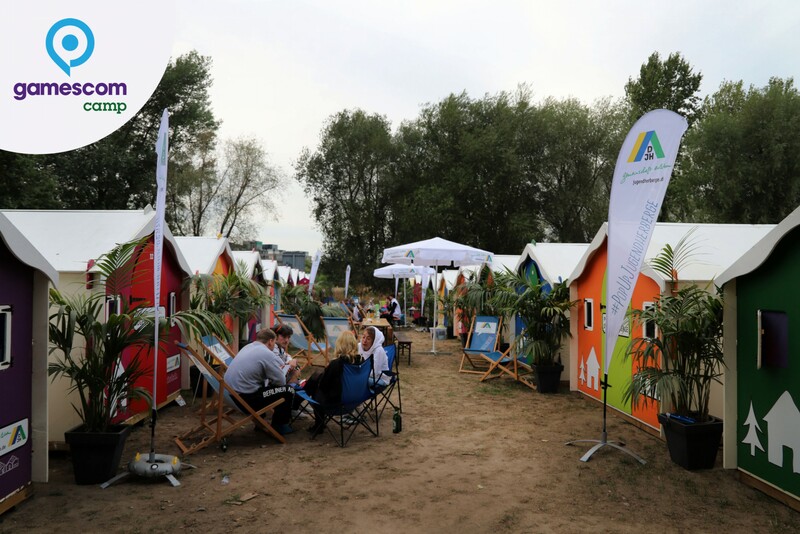 The concept of the camp is consequently optimizied to fit the guests needs for relaxation and leisure. 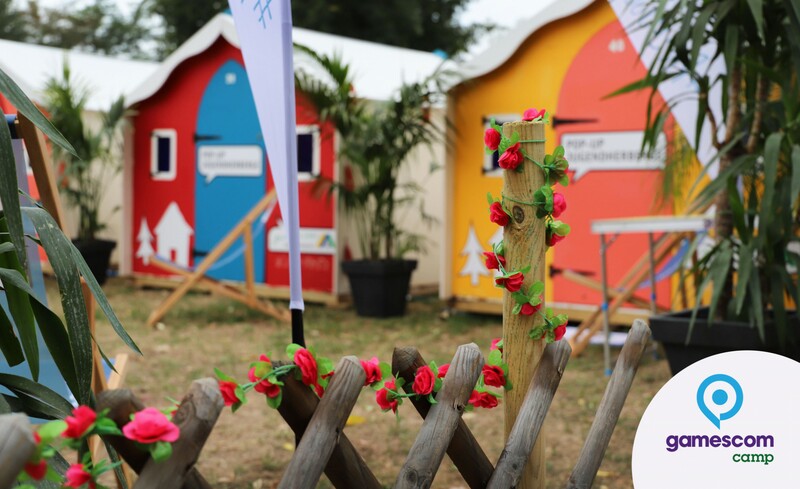 The camp is a peaceful spot in contrast to the hectic fairground. 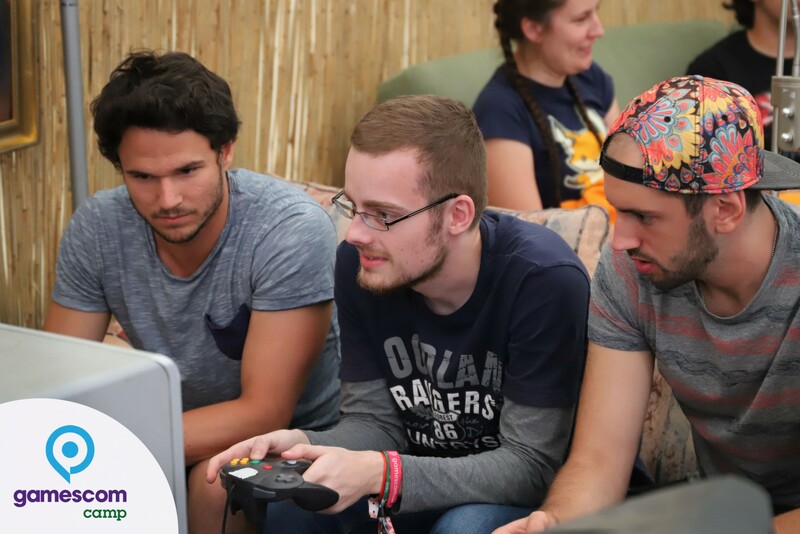 The personal contact is in the spotlight here and the gamescomCamp team is fully integrated in the leisure acivities of the gaming community. We only allow broadcasting and interviews from Thursday Aug 6th und Saturday August 8th when the camp is filled with life. 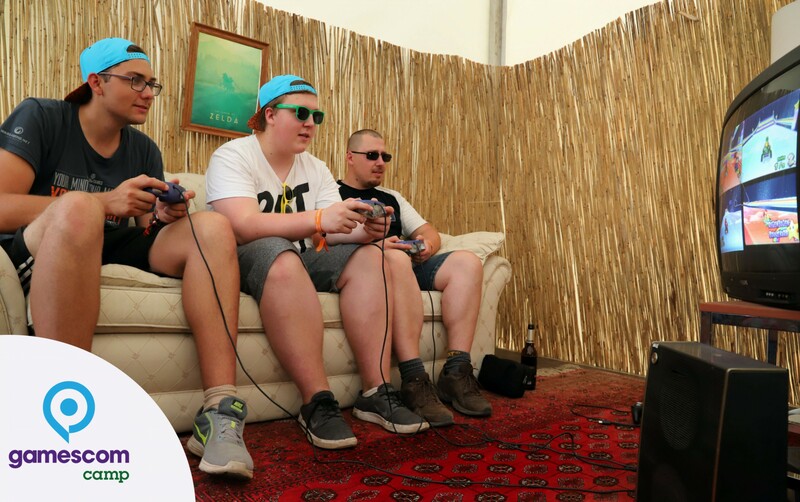 95% of the gaming fans are at the fair during daytime, so we suggest to either come in the morning between 8-10h or in the afternoon from 17h. 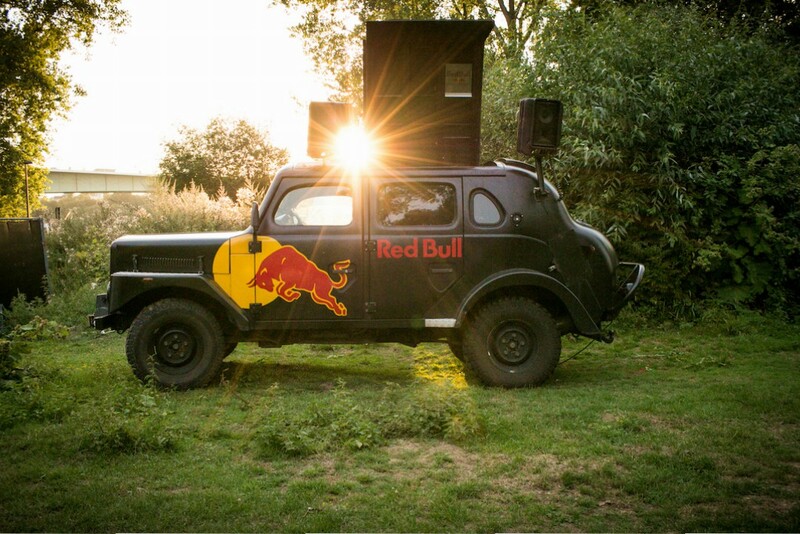 The best vibe is during sunset until 23h. 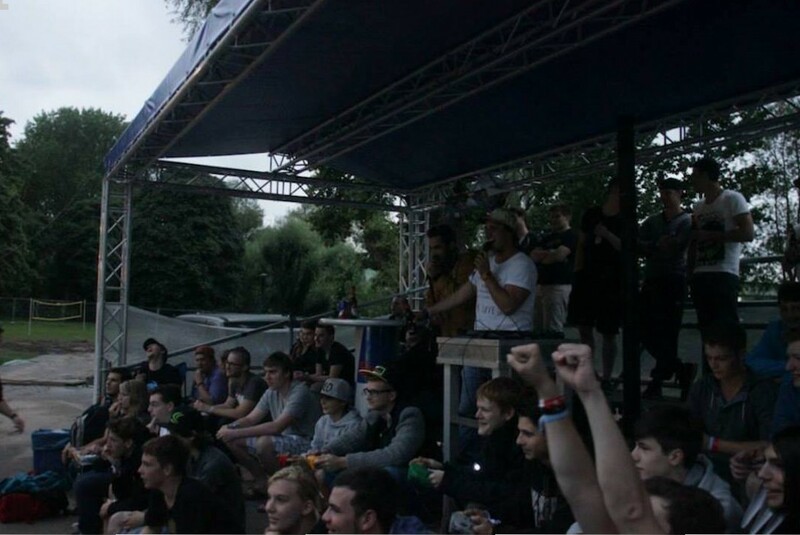 In the past we had some bad experiences with some media that portrayed the gaming community in a unfair and false way. 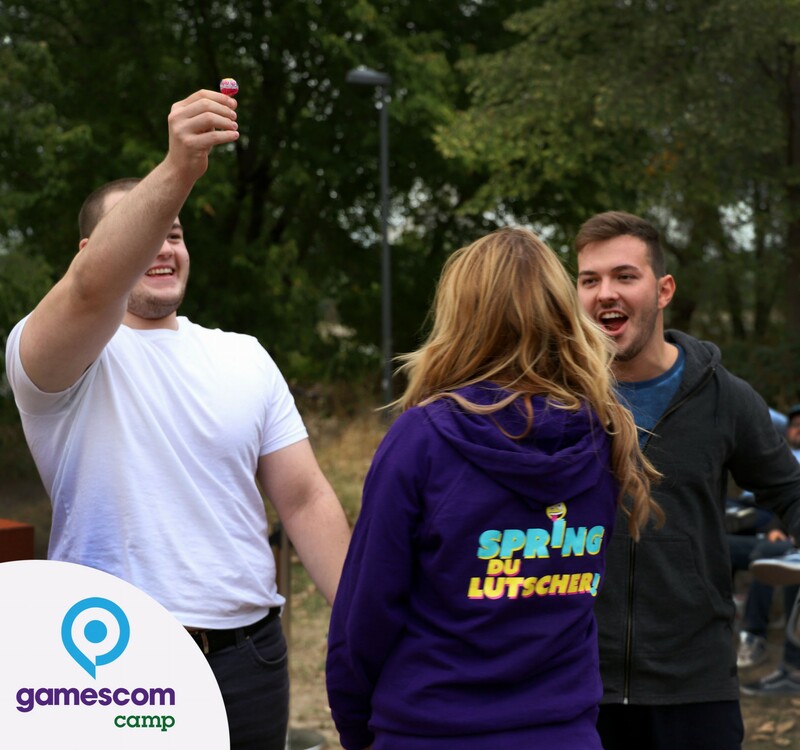 Therefore we only allow interviews and broadcasting with a strict agreement in advance and only in company of a gamescomCamp team member. Feel free to get in touch with us and please provide the following info: contact person, concept, type of media/publication. 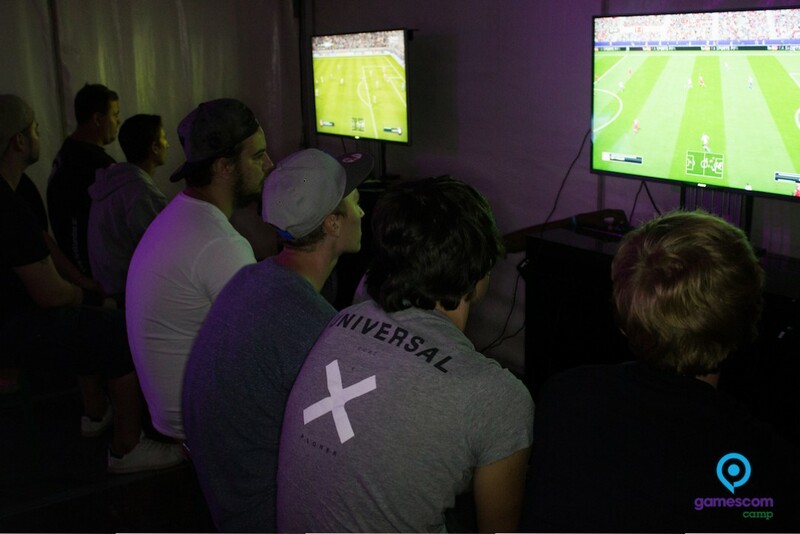 We are open for all different kinds of media cooperations. 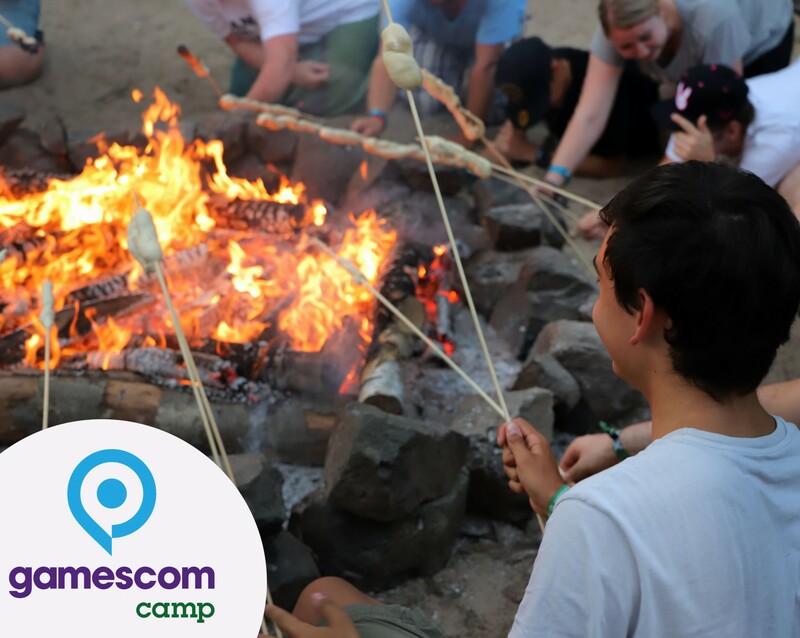 If you want to write about our camp or want to get in touch with us about anything else, feel free to contact us!